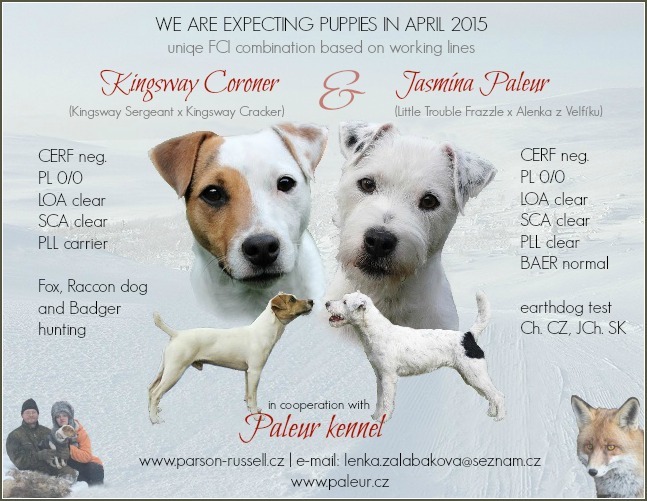 As all previous litters in Paleur kennel, this combination is focused on breeding standard, healthly working dogs with good terier character. 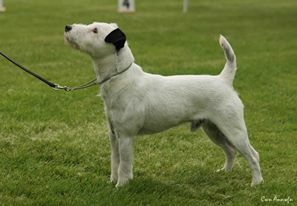 Kingsway Coroner “Kessu” is a miracle under FCI for us and gives us possibility to get excellent working lines to our breed! 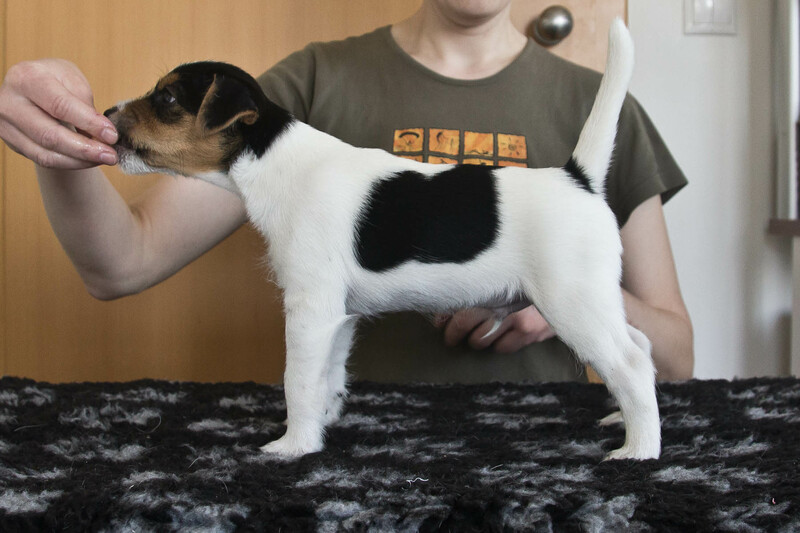 12 weeks and more and more active pups, still loving to play with Jasmina, enjoying people and dogs, learning new things. 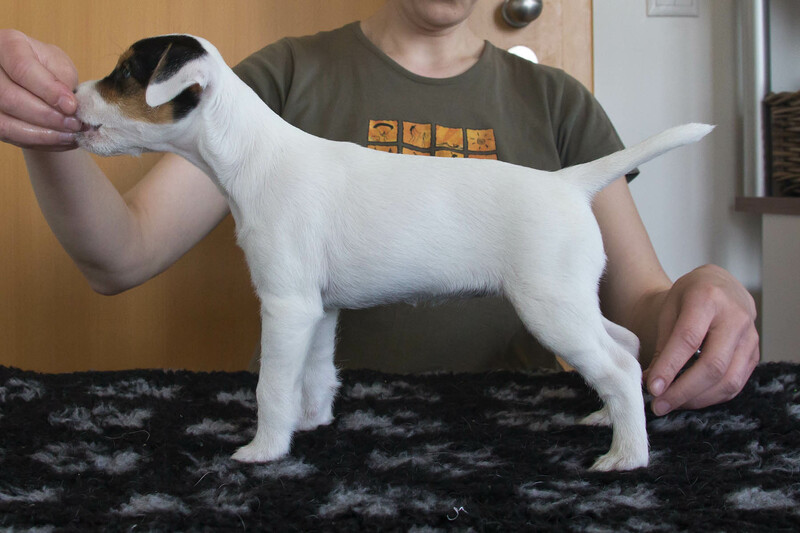 11 weeks – girls are doing great and have lot of fun and socialization. 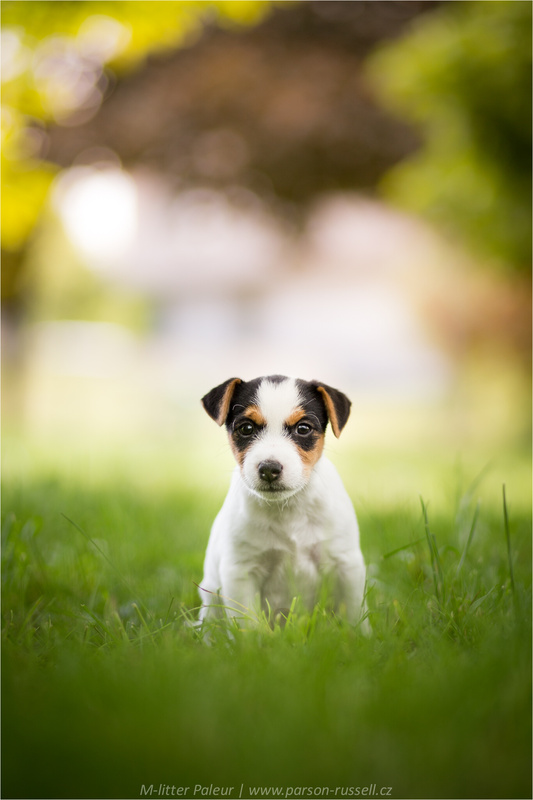 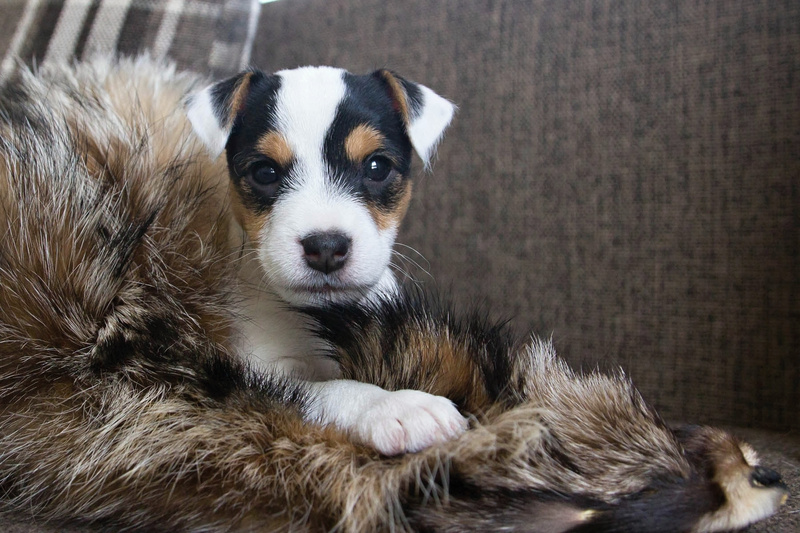 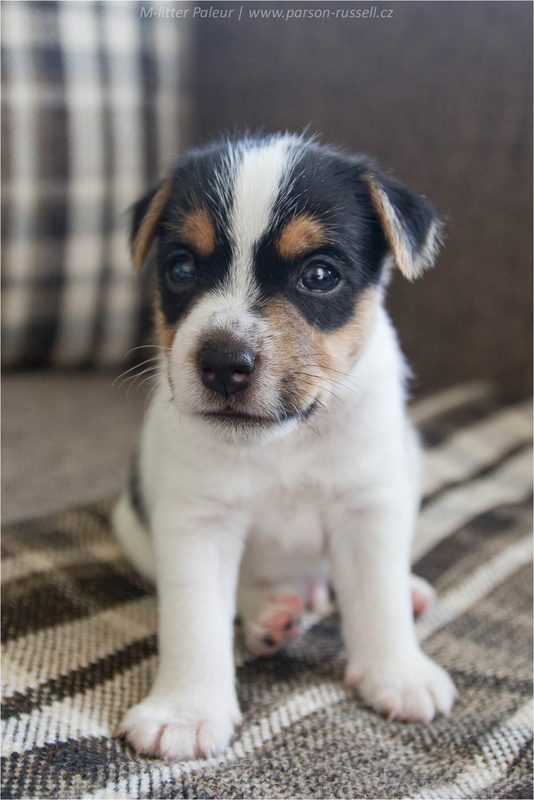 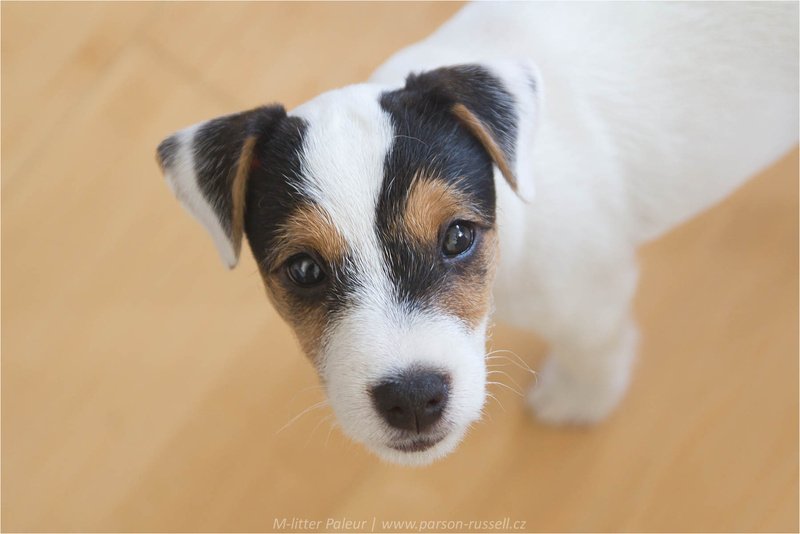 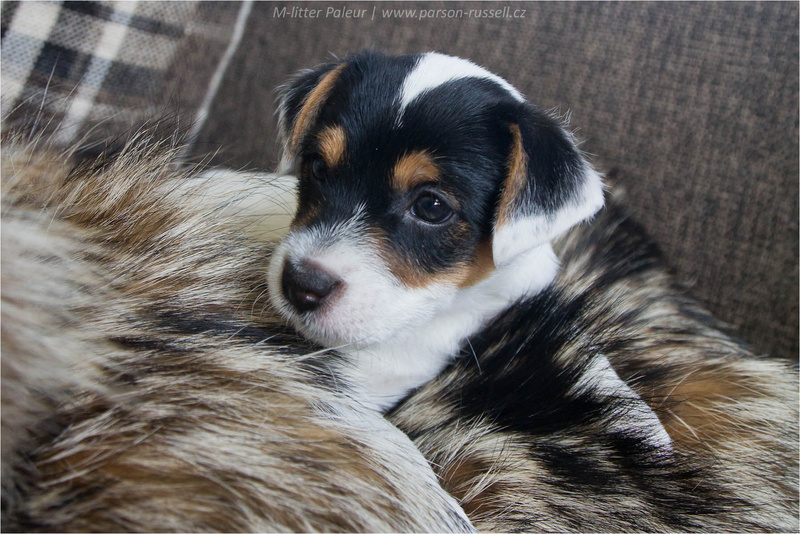 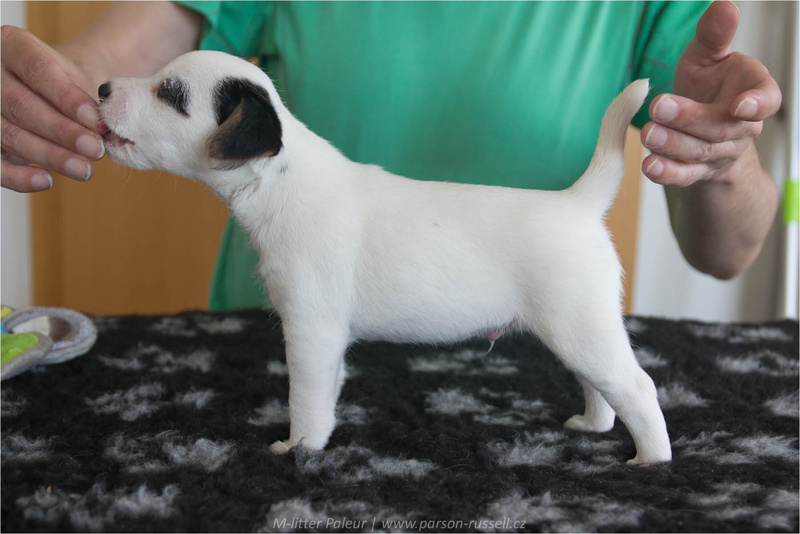 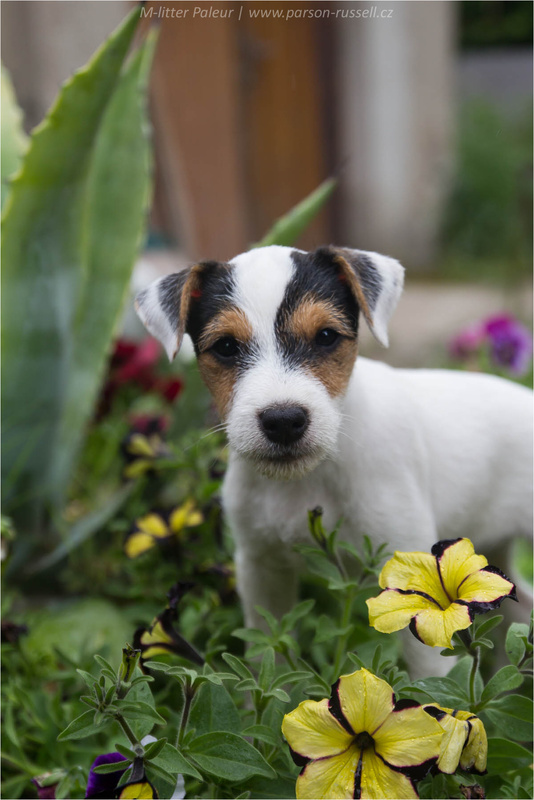 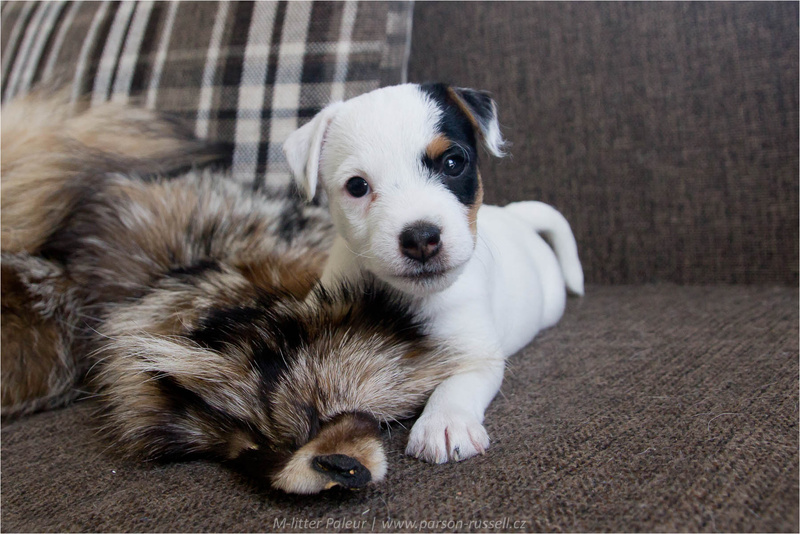 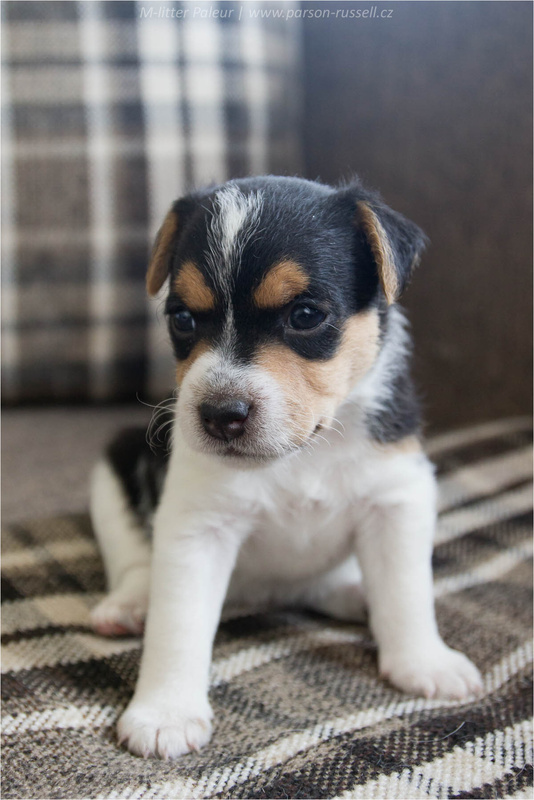 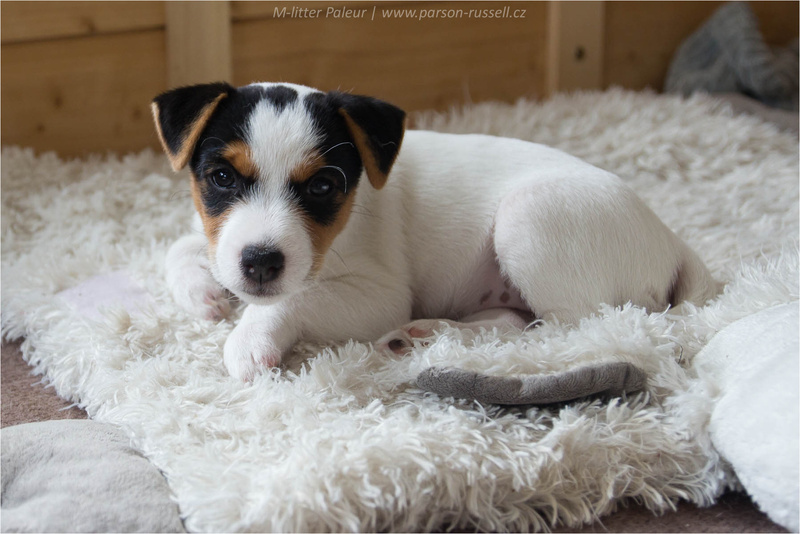 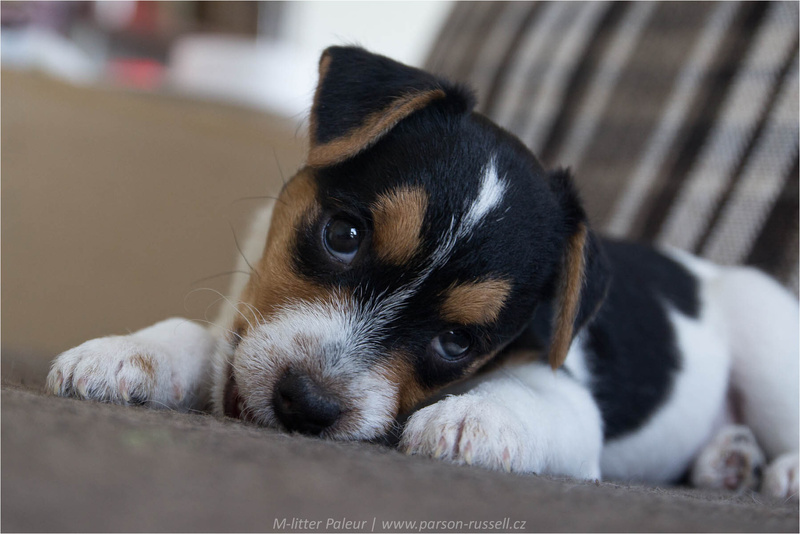 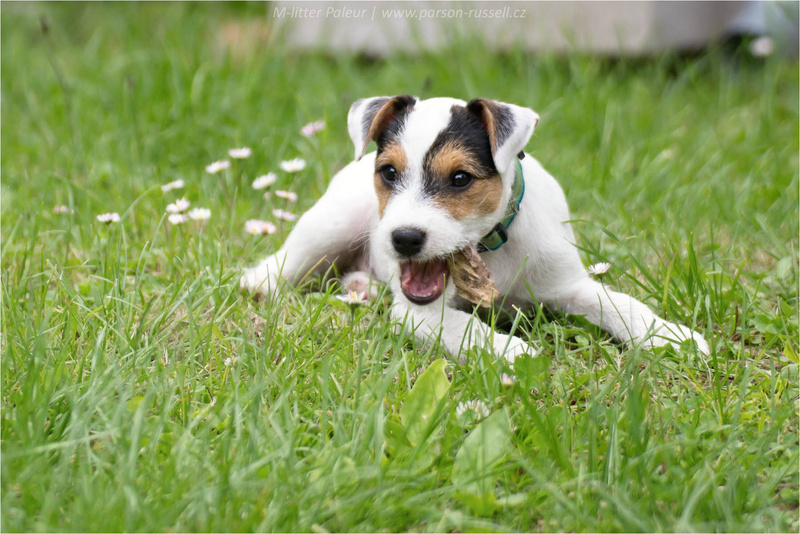 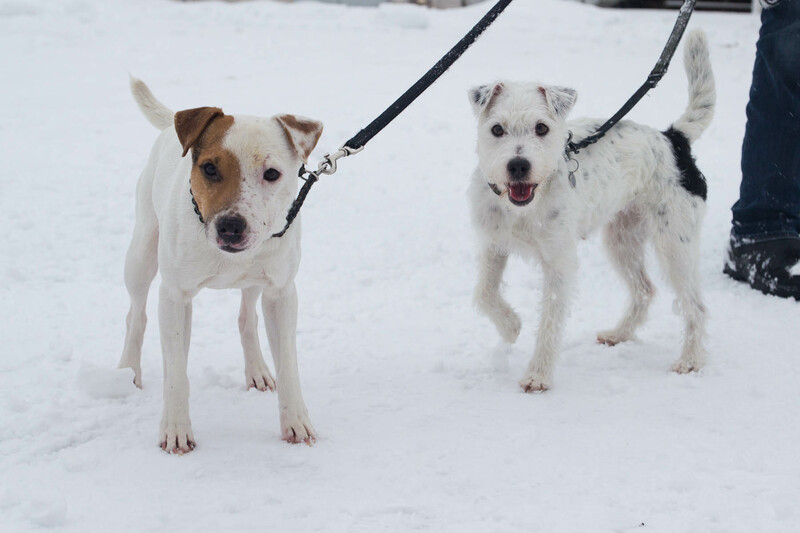 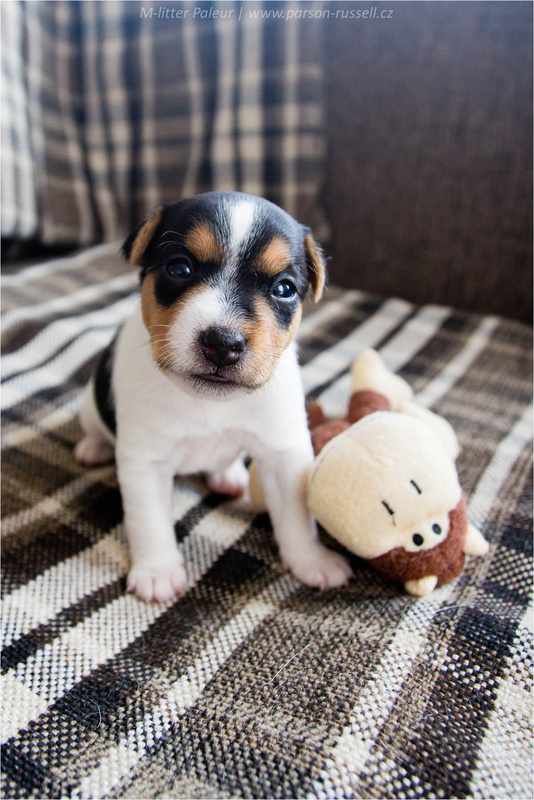 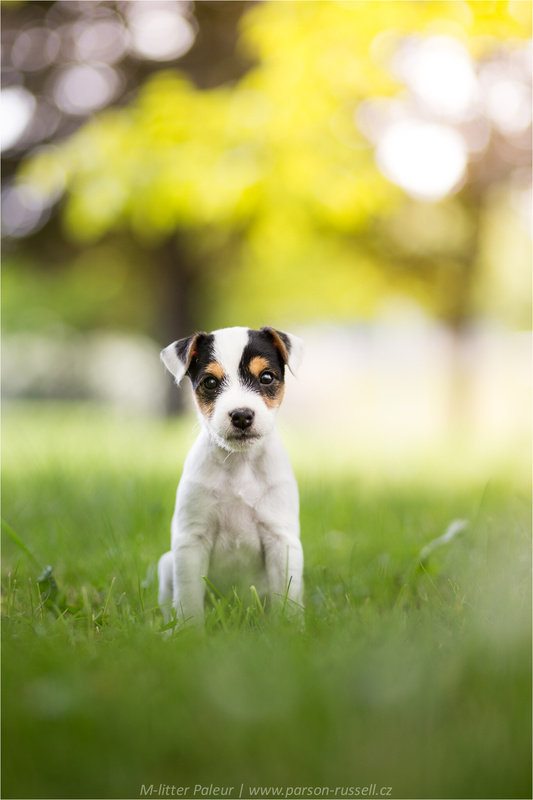 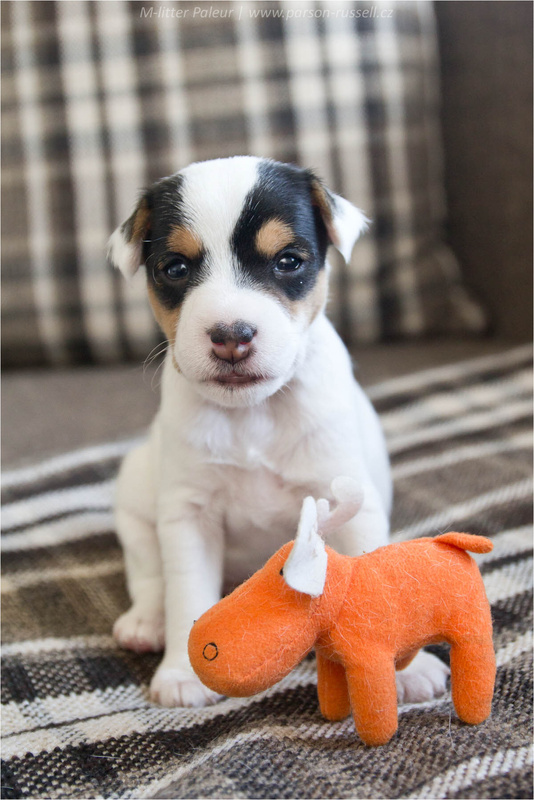 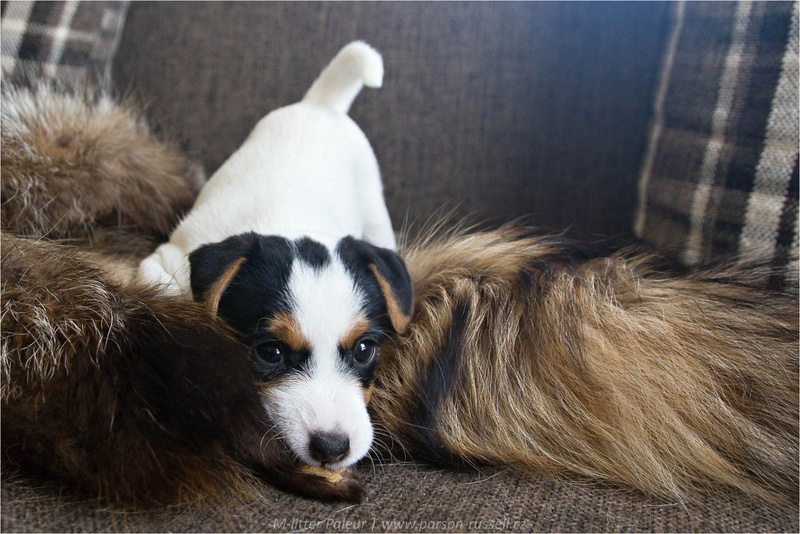 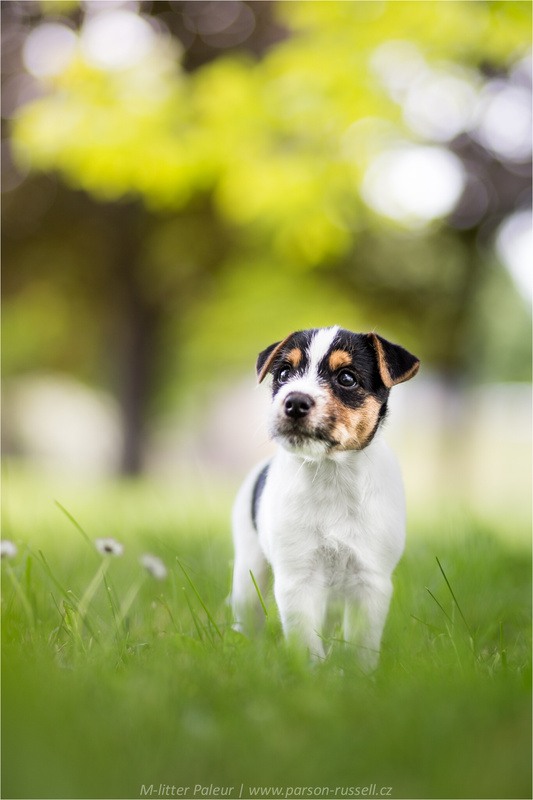 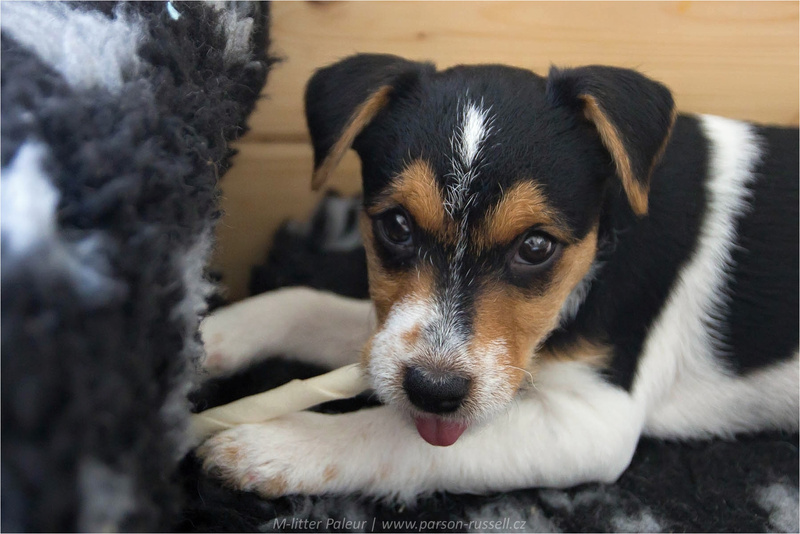 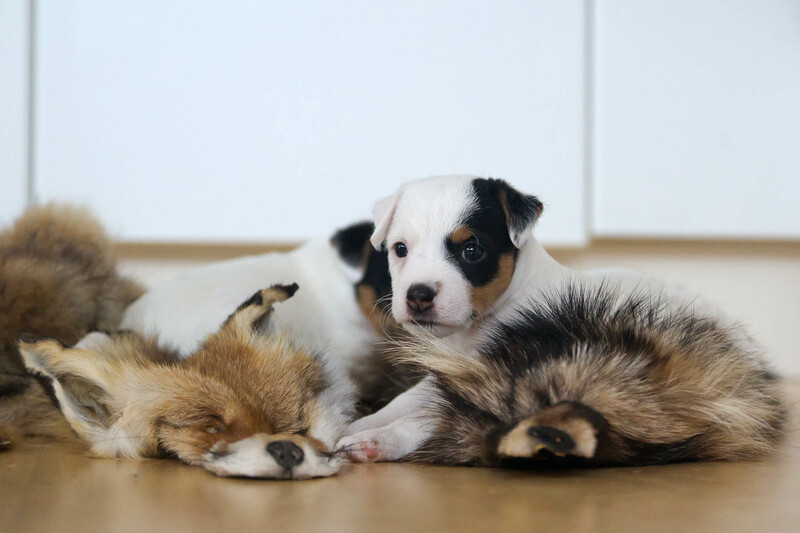 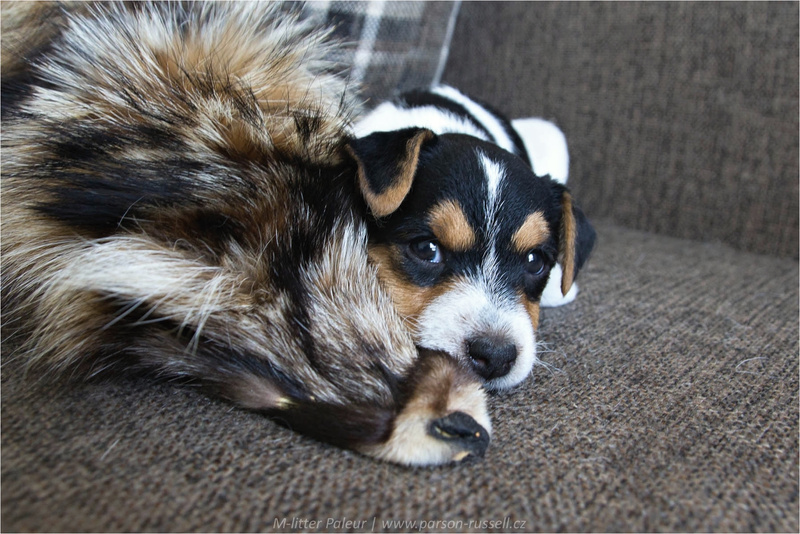 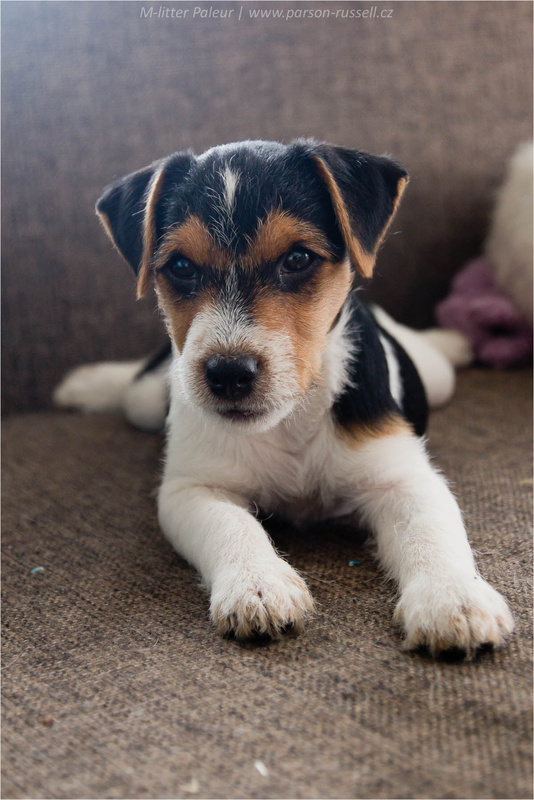 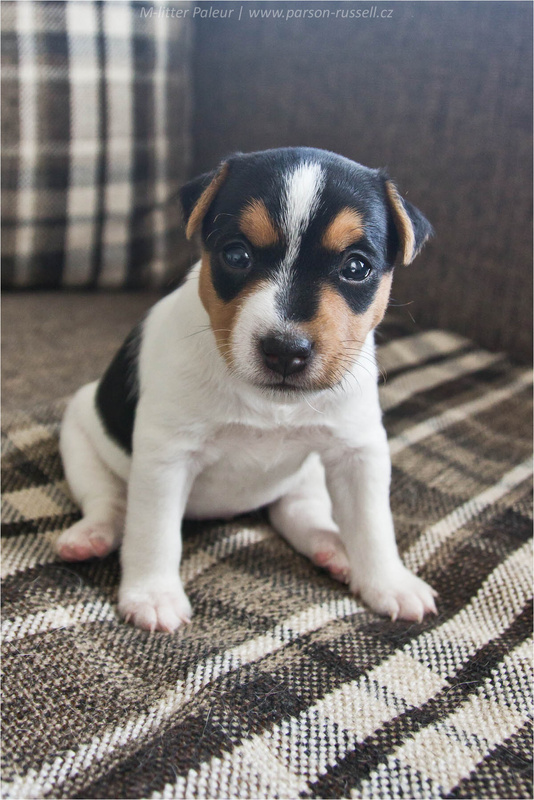 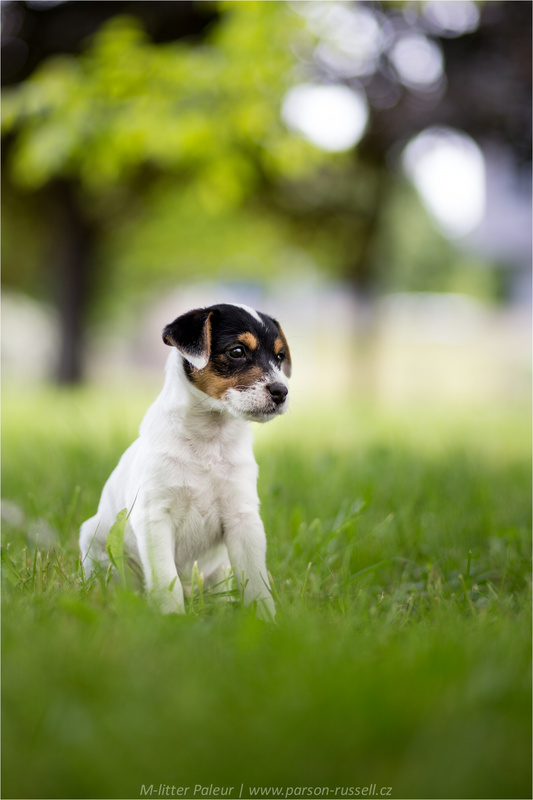 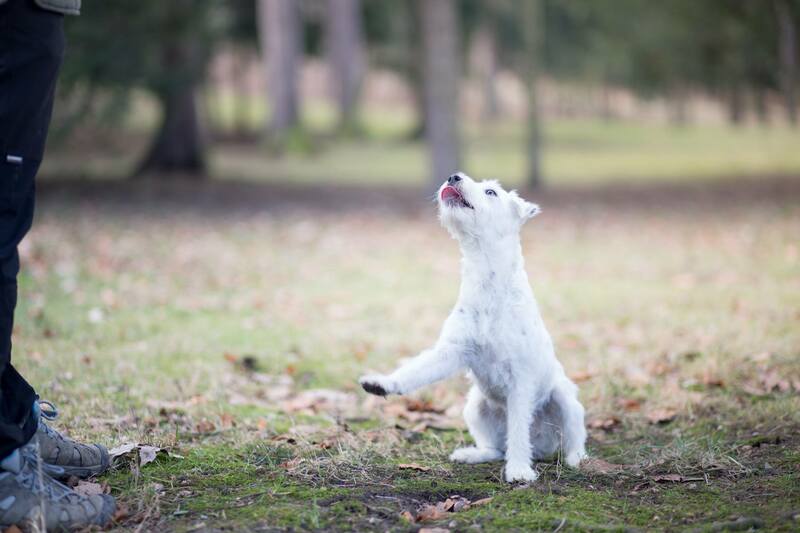 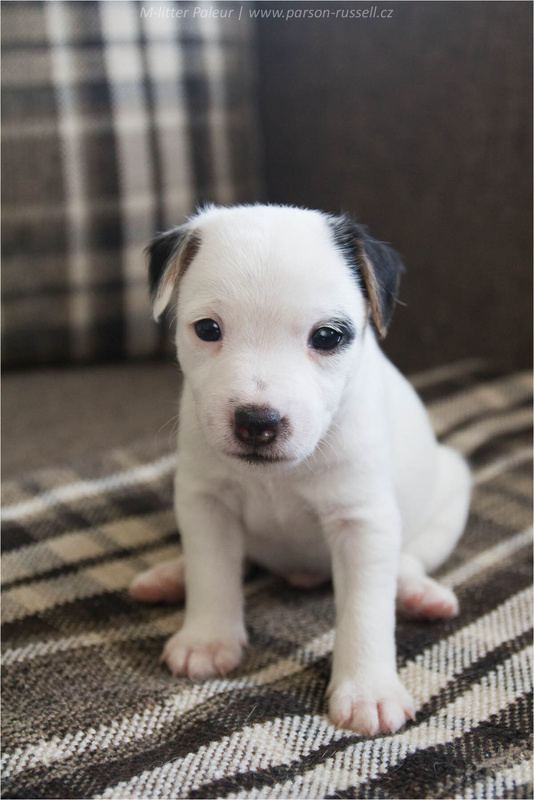 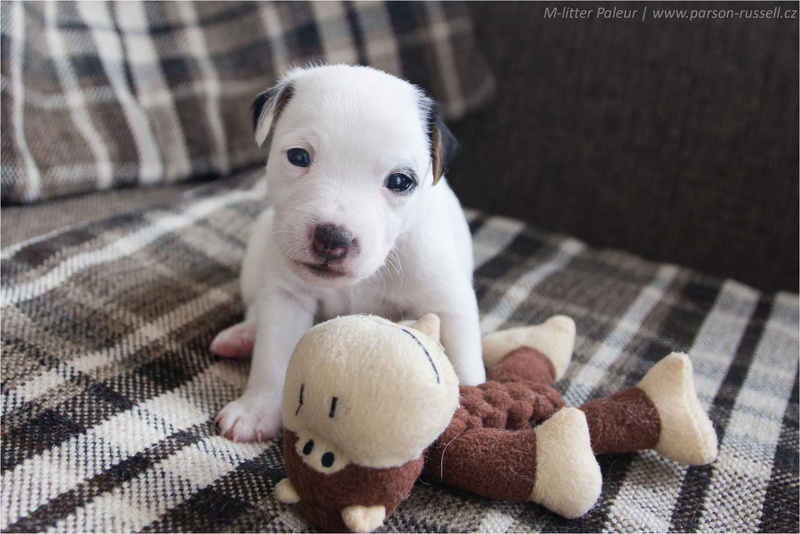 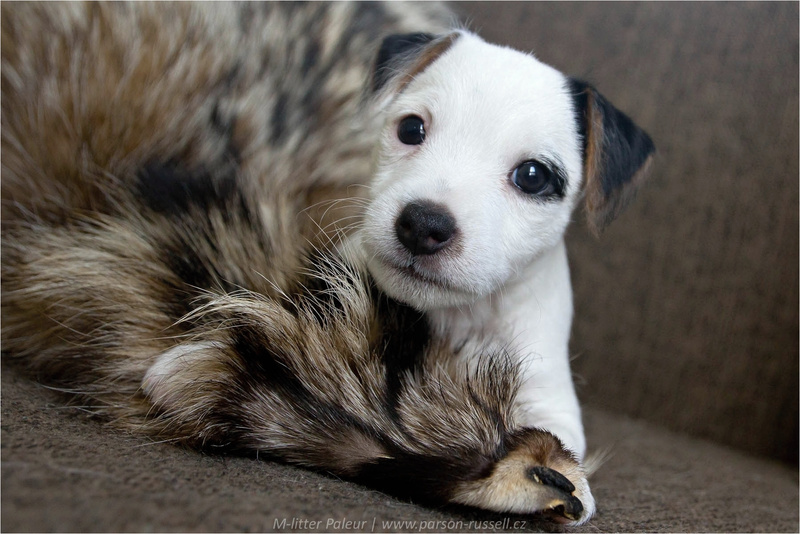 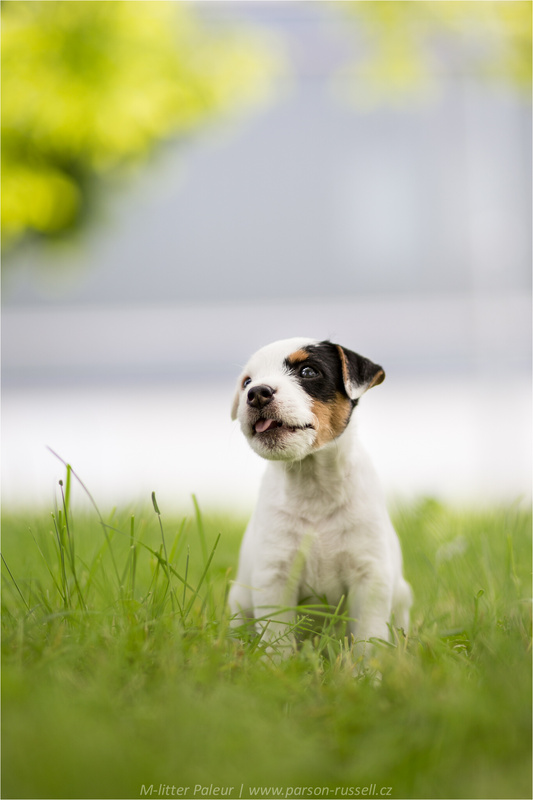 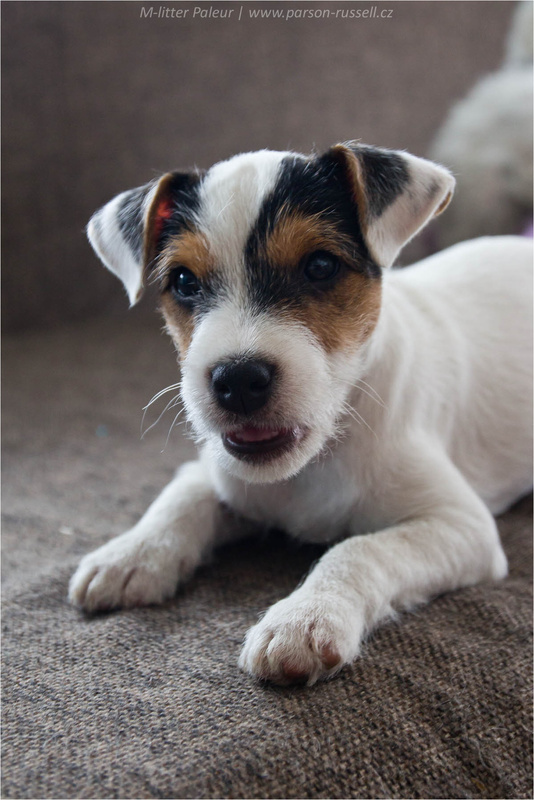 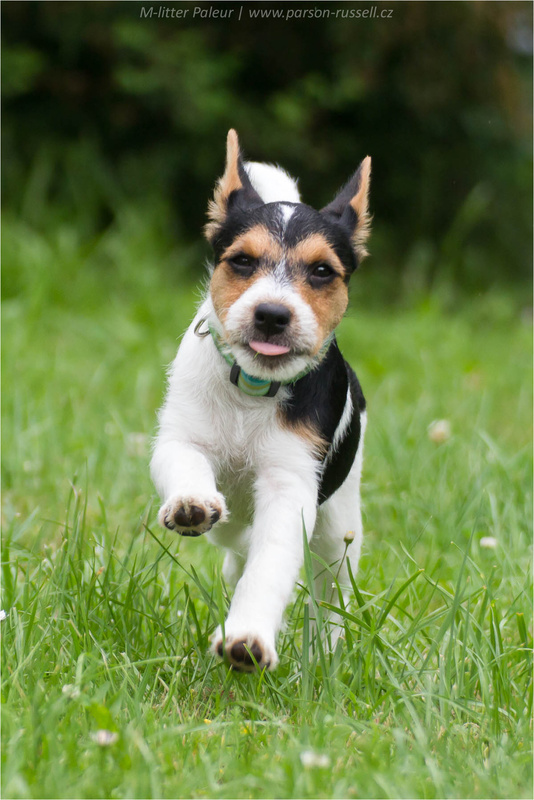 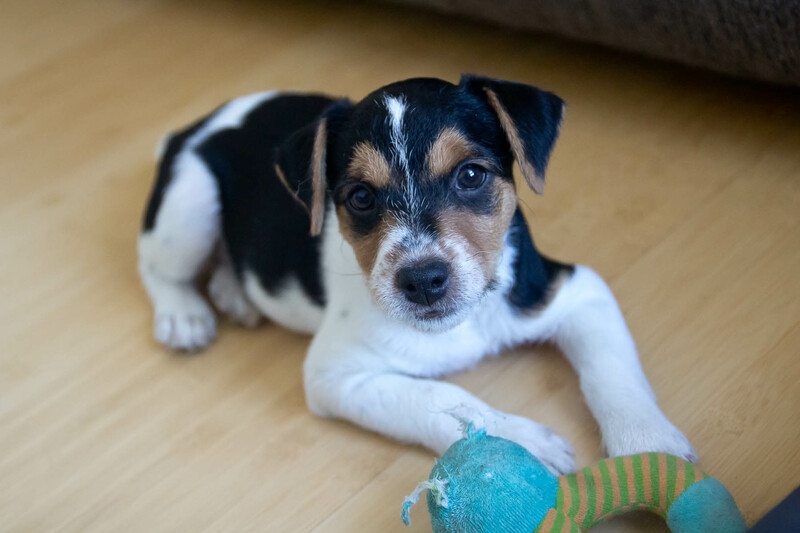 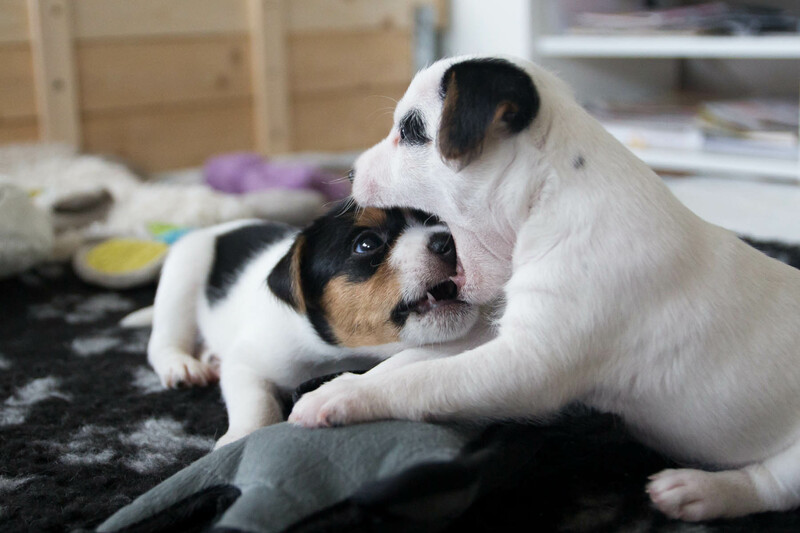 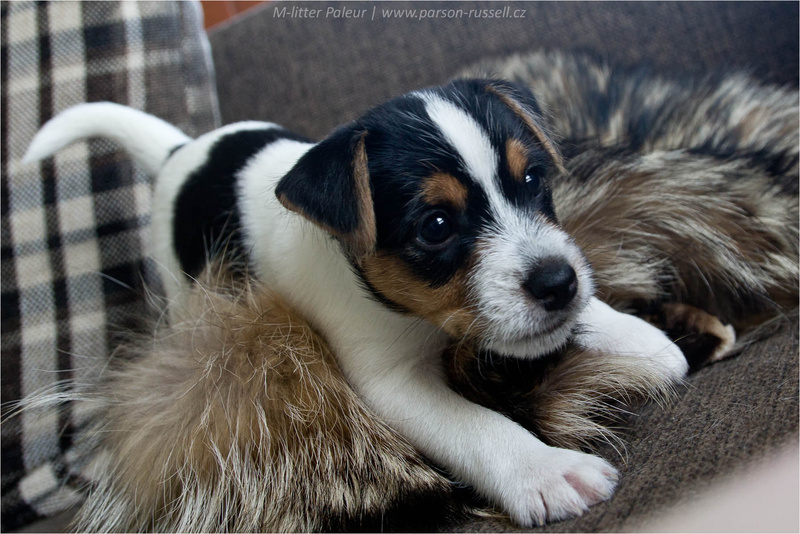 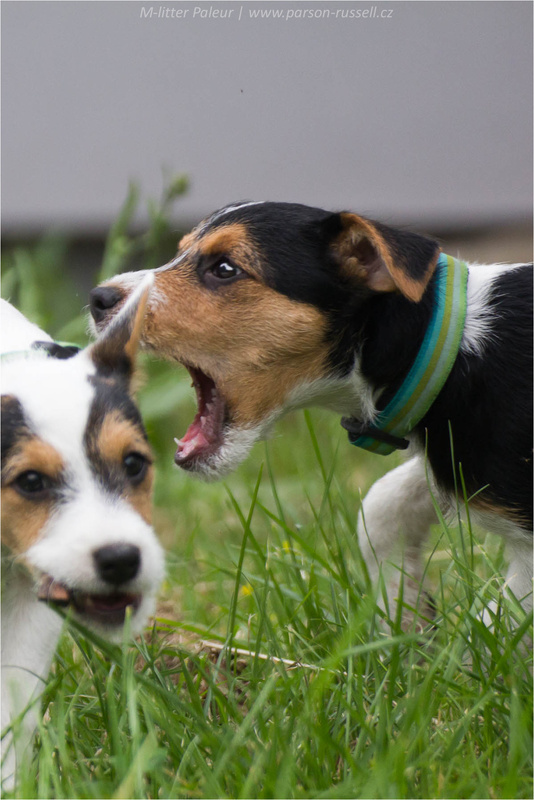 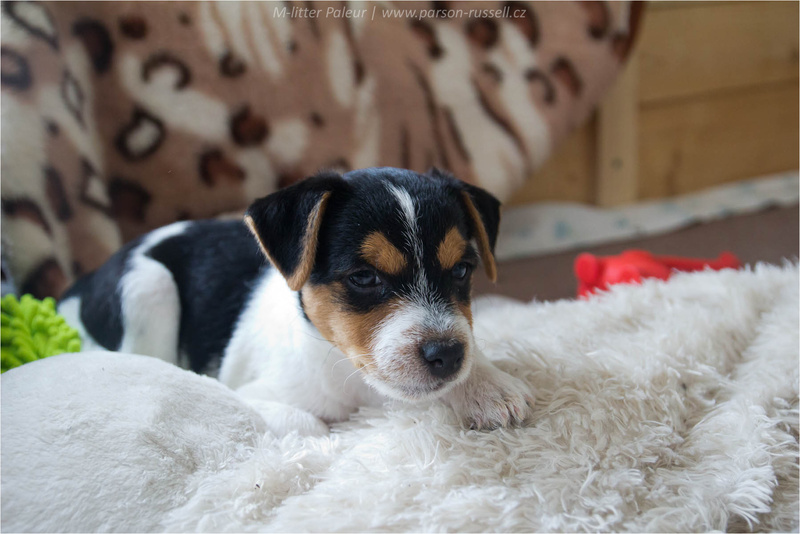 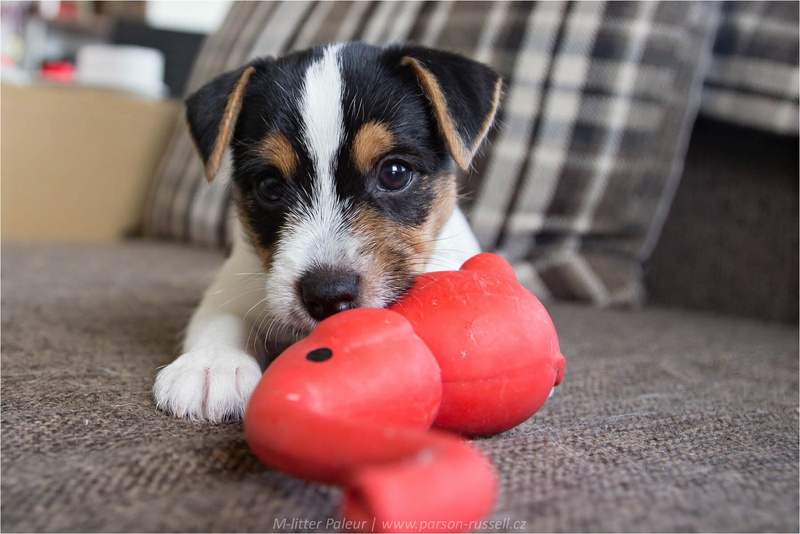 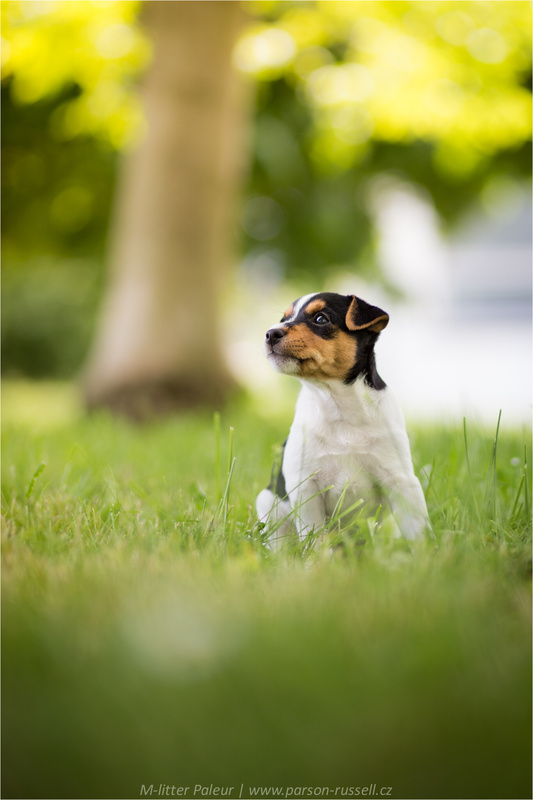 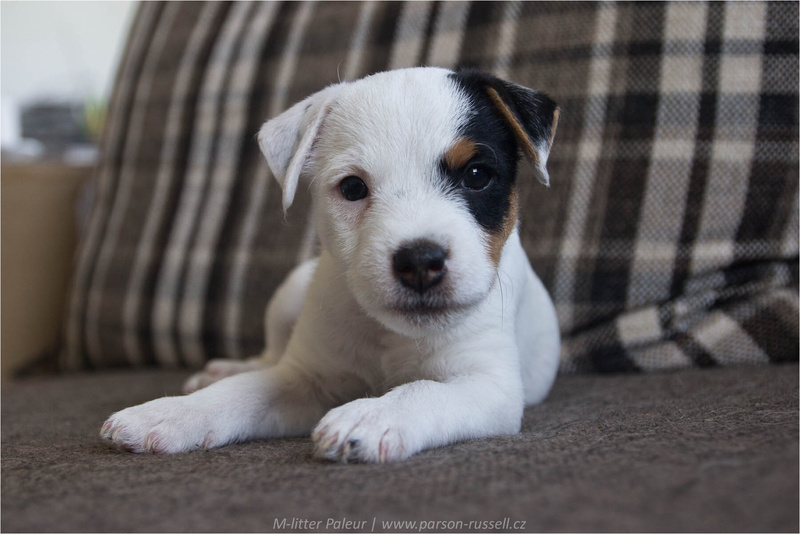 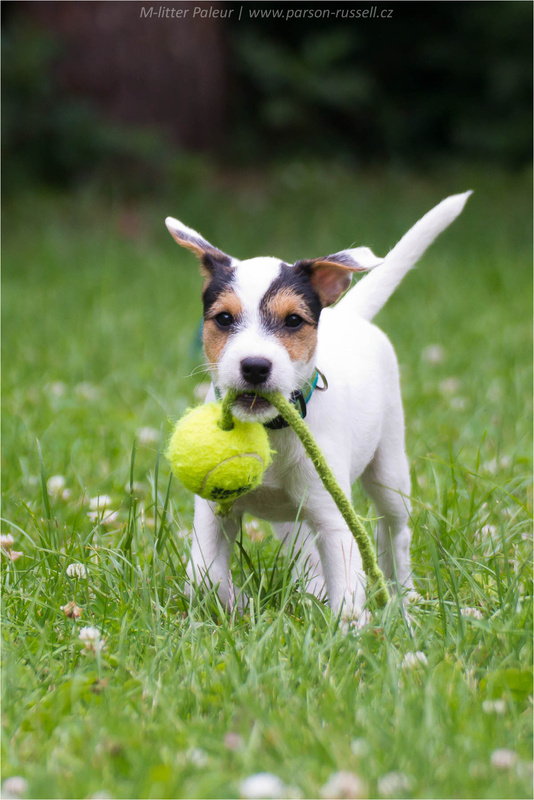 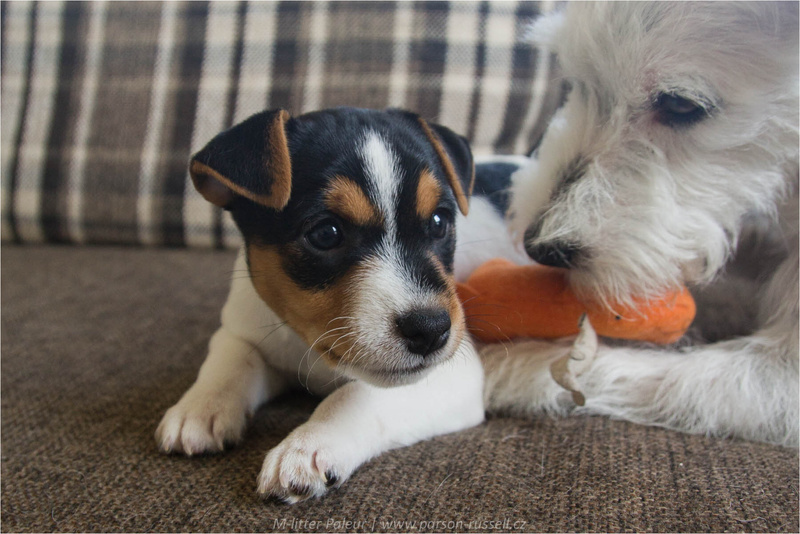 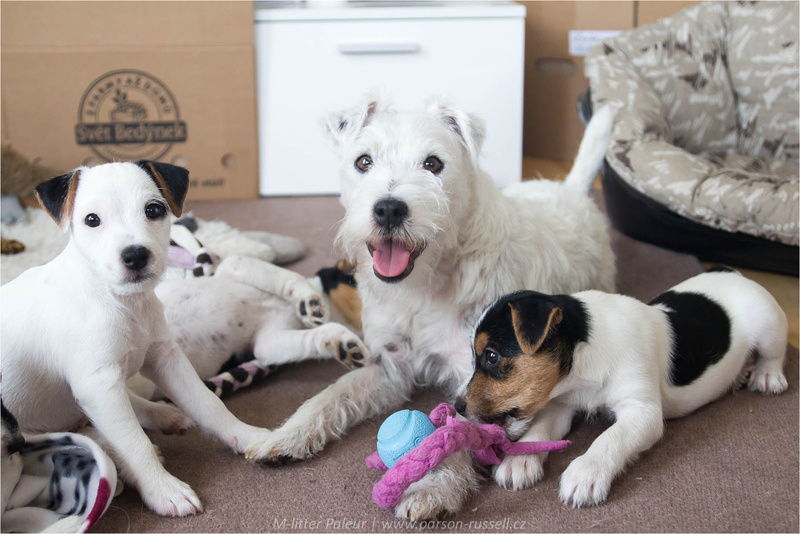 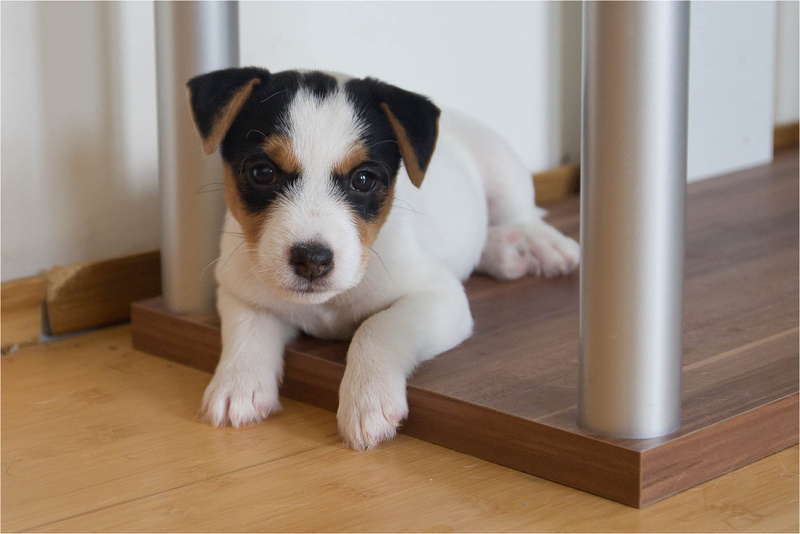 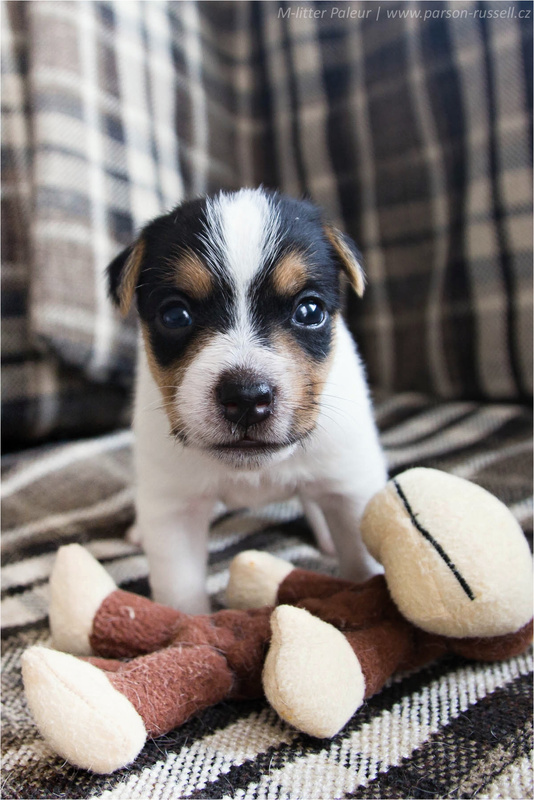 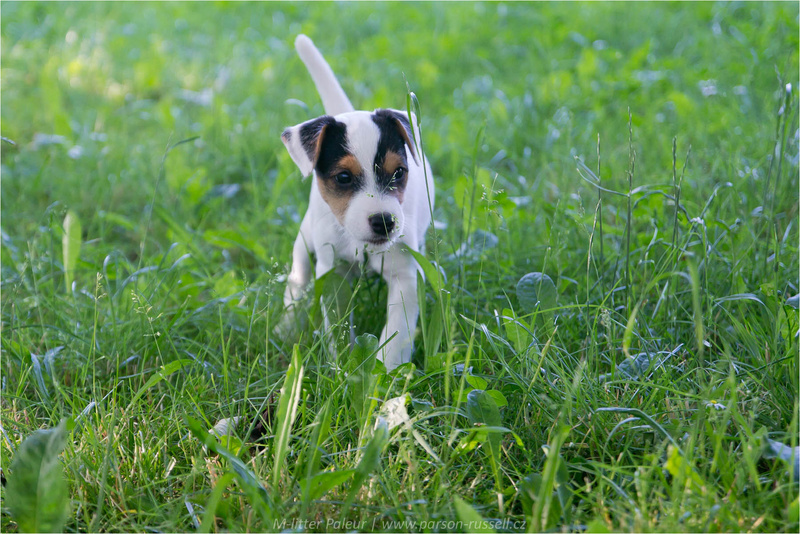 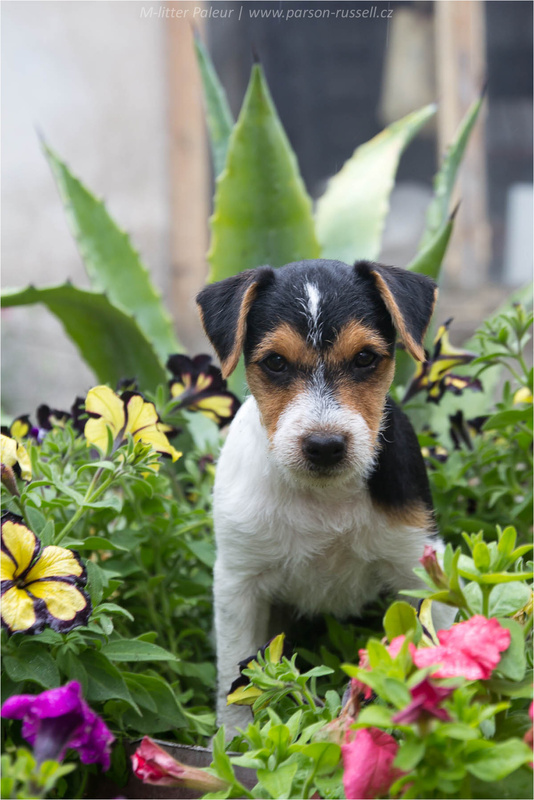 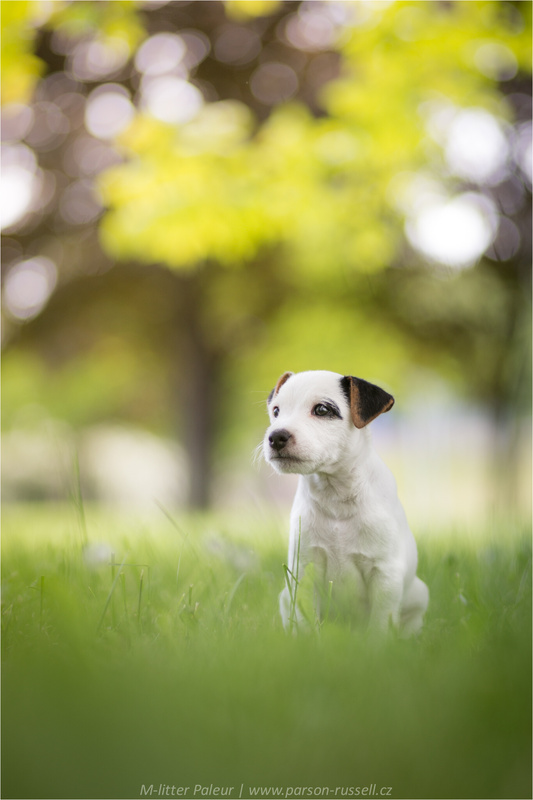 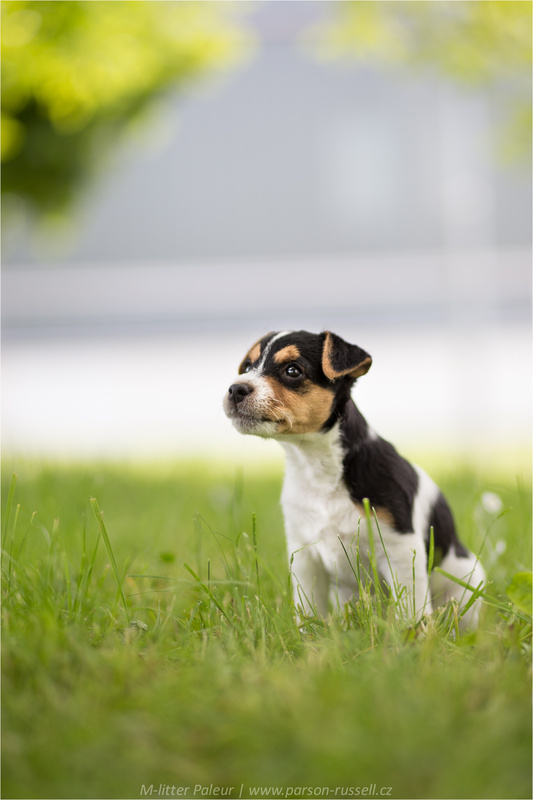 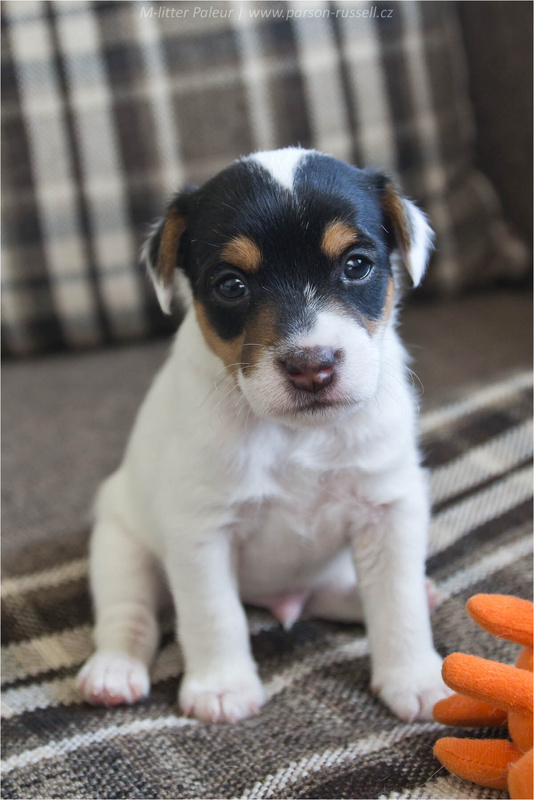 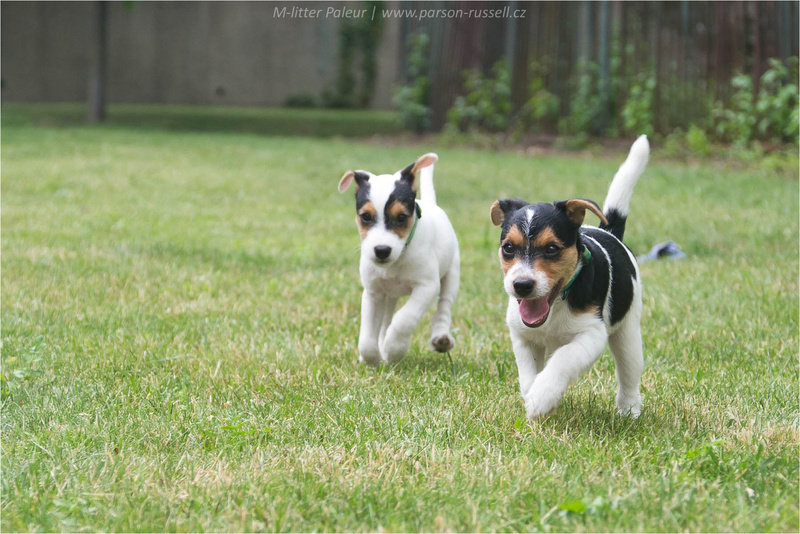 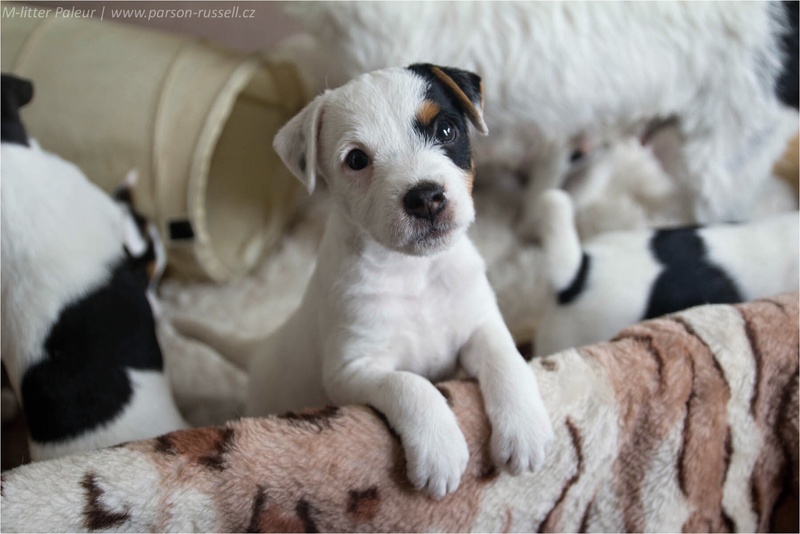 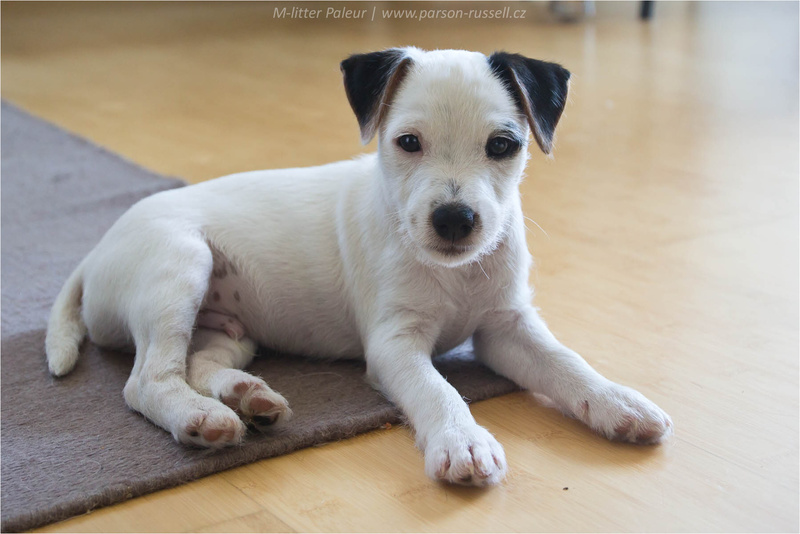 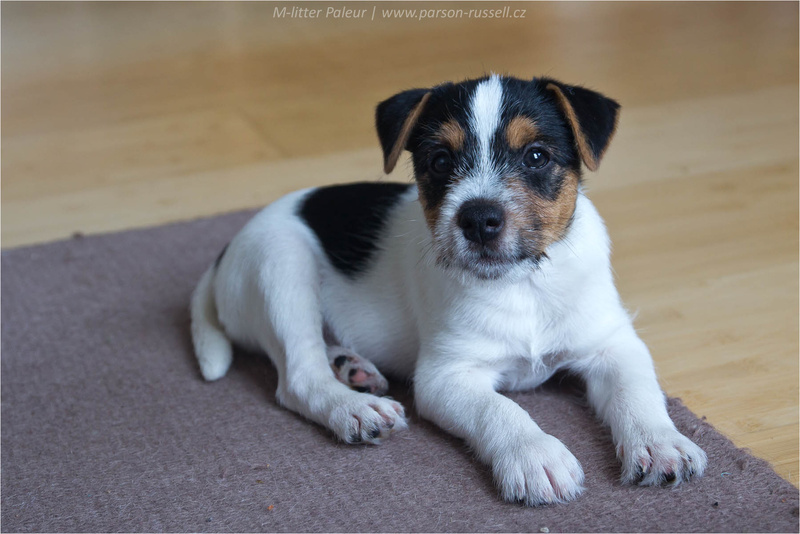 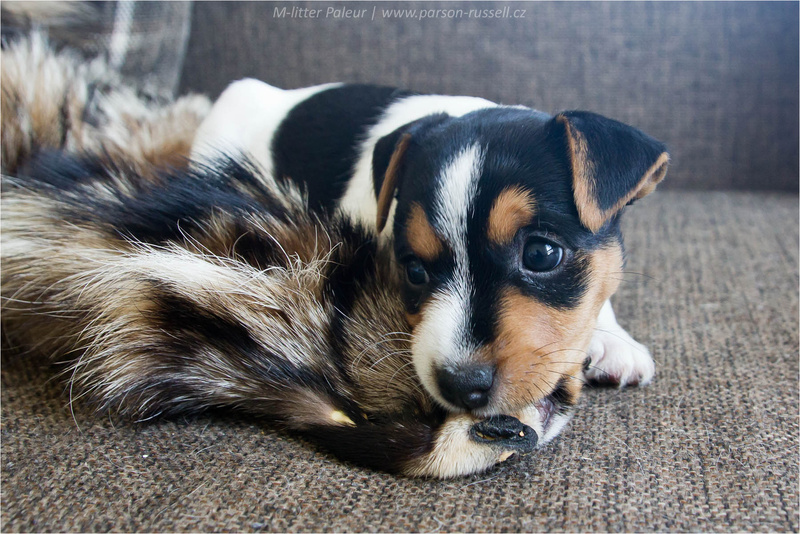 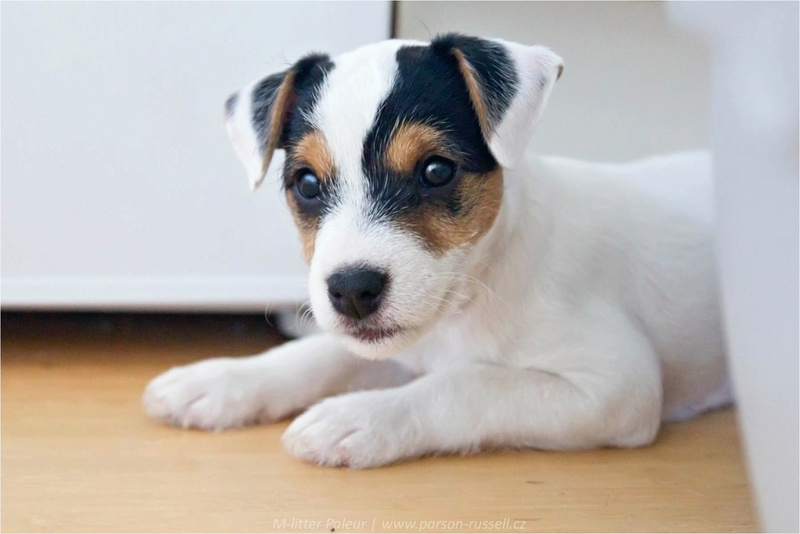 10 weeks – we received very nice news from pups new homes. 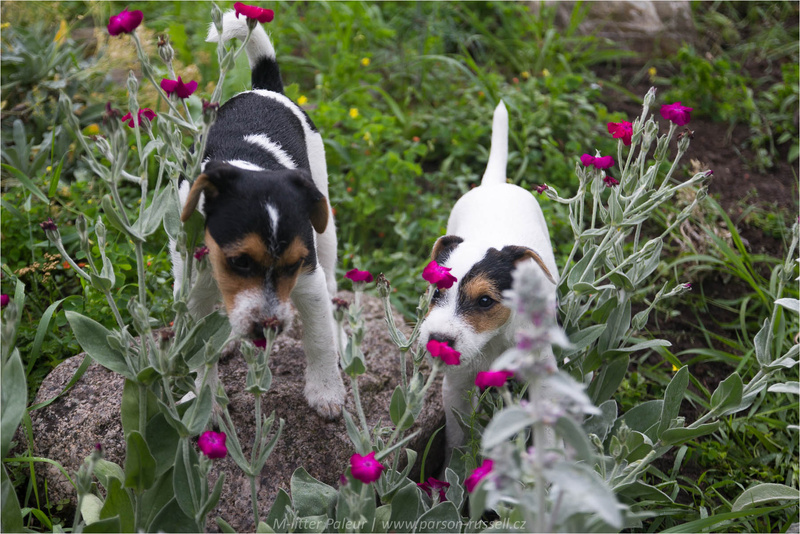 Due to export rules in Germany and Sweden 2 girls staying with us for next few weeks – Mylly and Mei. 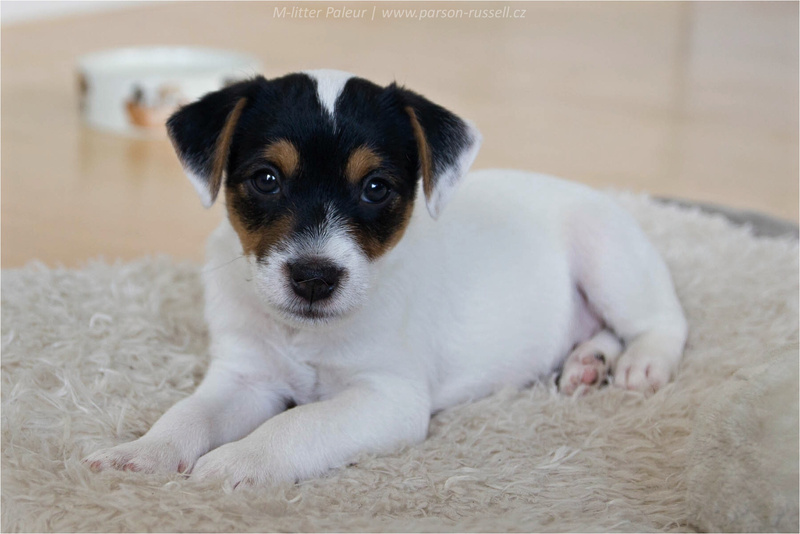 Girls are eagerly expected at their new homes and nowdays I am enjoying them here. 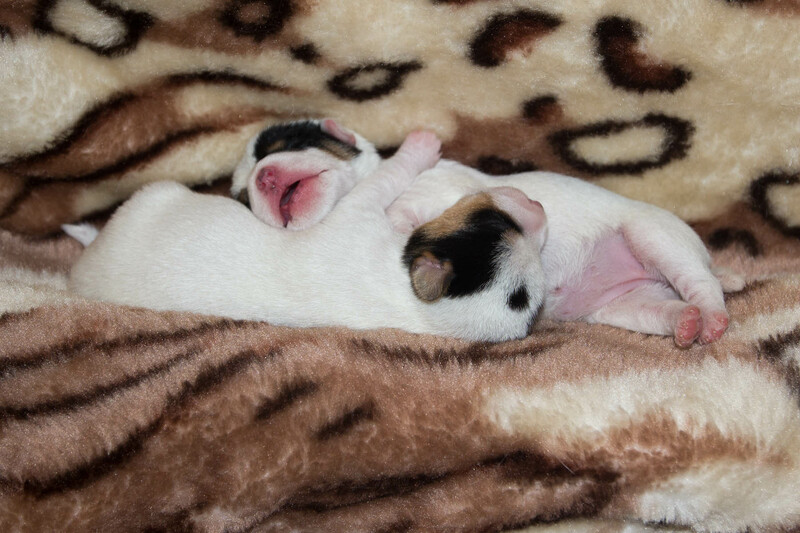 Quite hard week behind us, many administration and exporting 2 puppies. 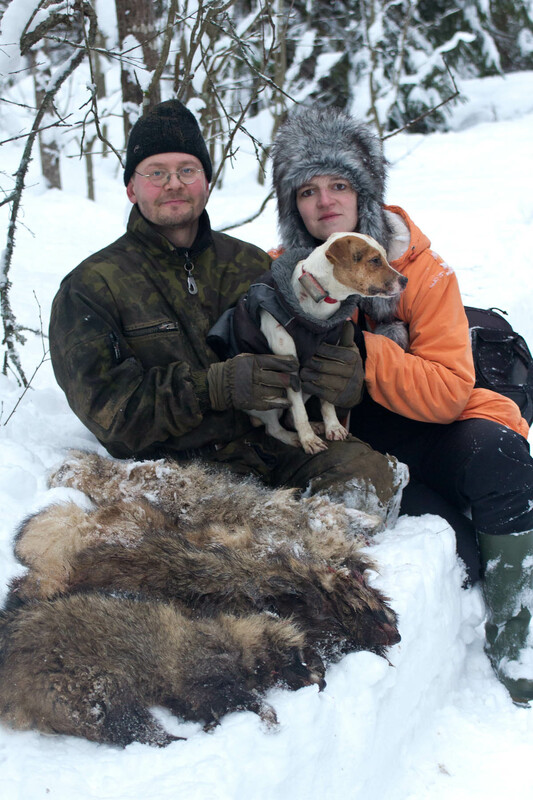 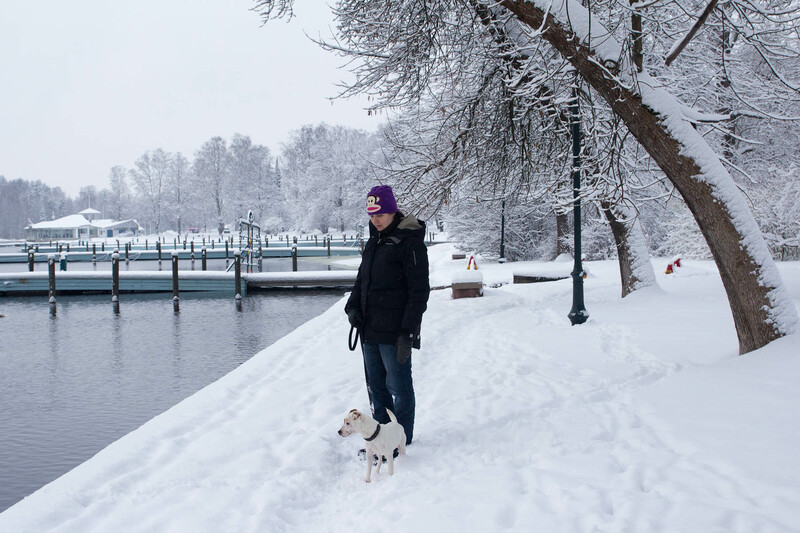 Mitch – living at Slovakia and should be hunting dog. 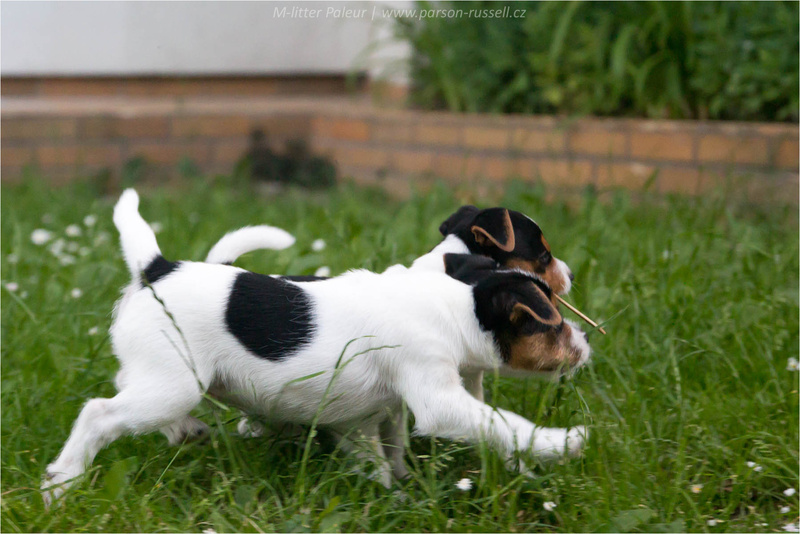 9 weeks and 2 other puppies left us to have great advanture with their new families. 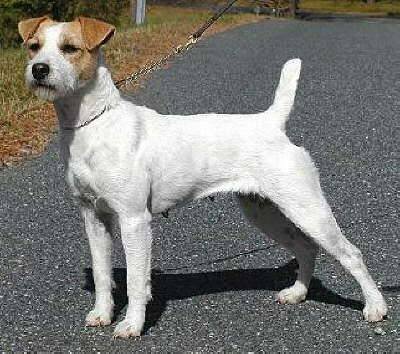 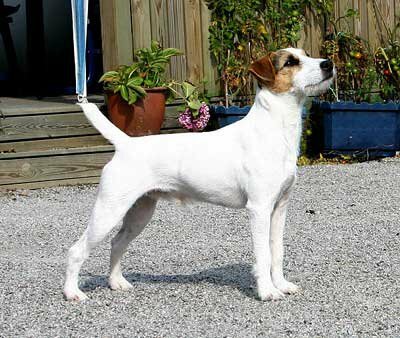 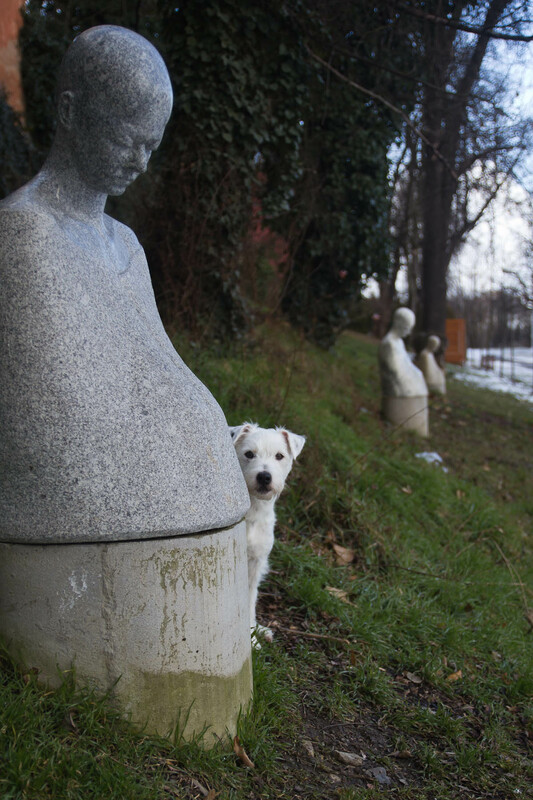 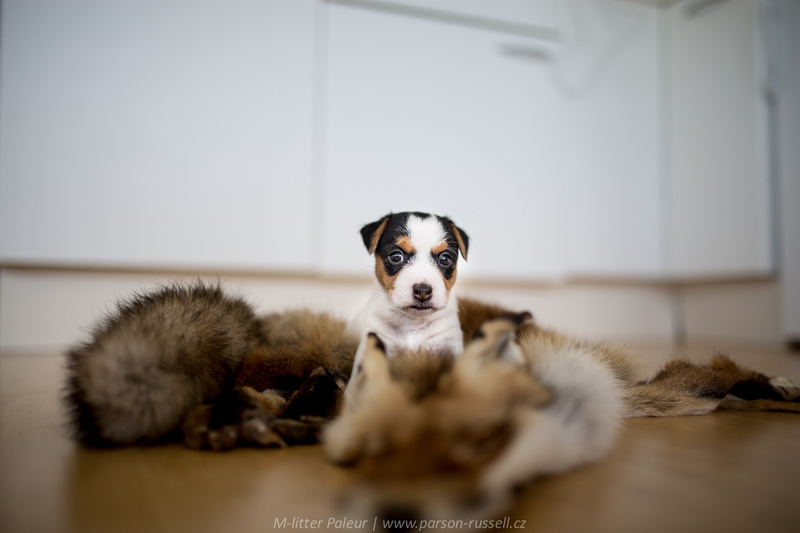 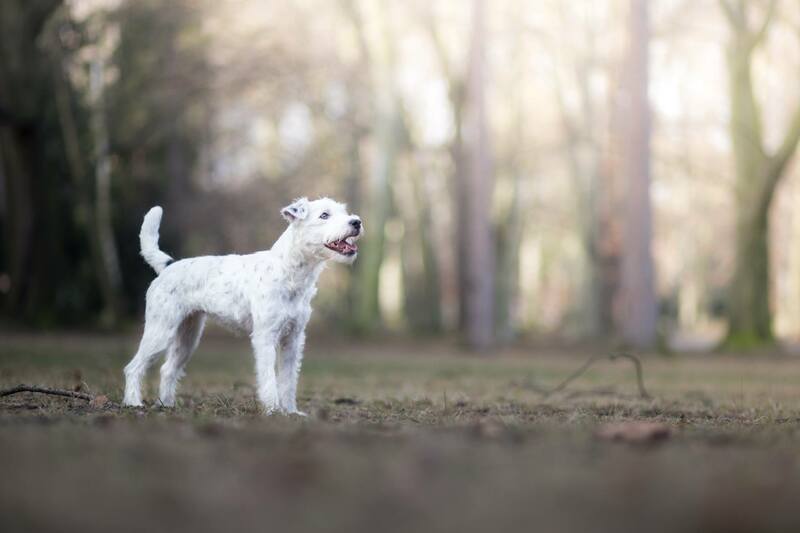 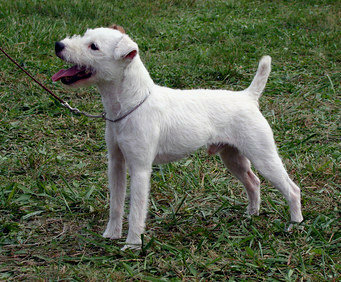 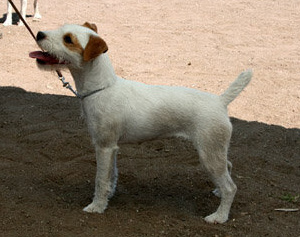 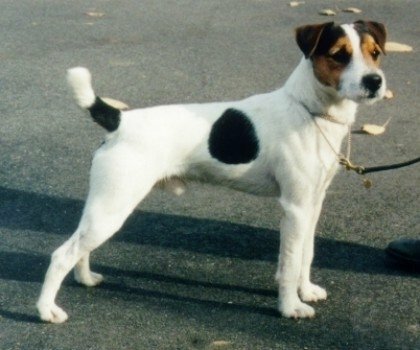 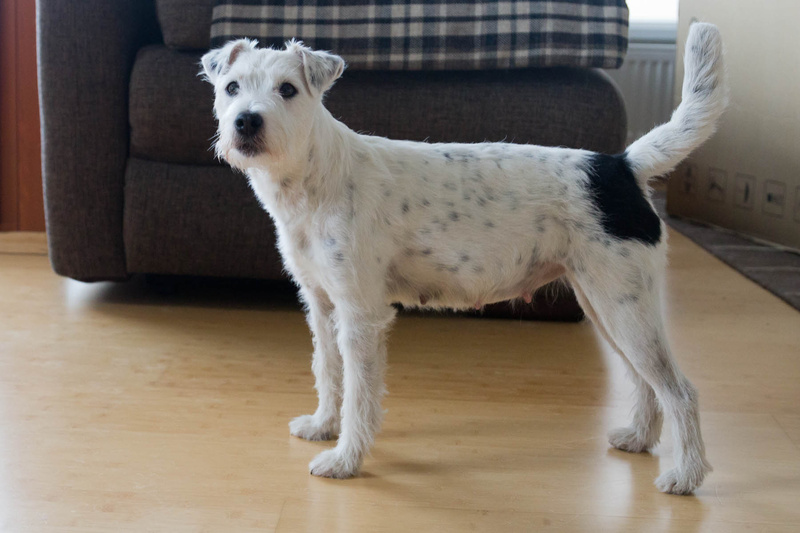 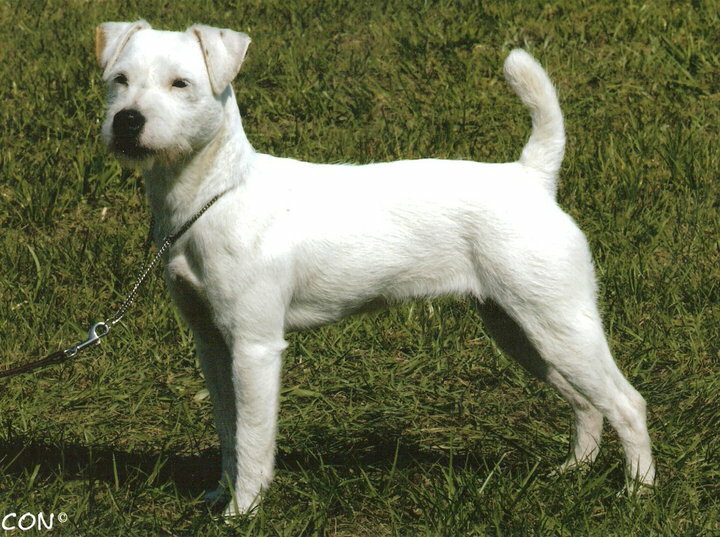 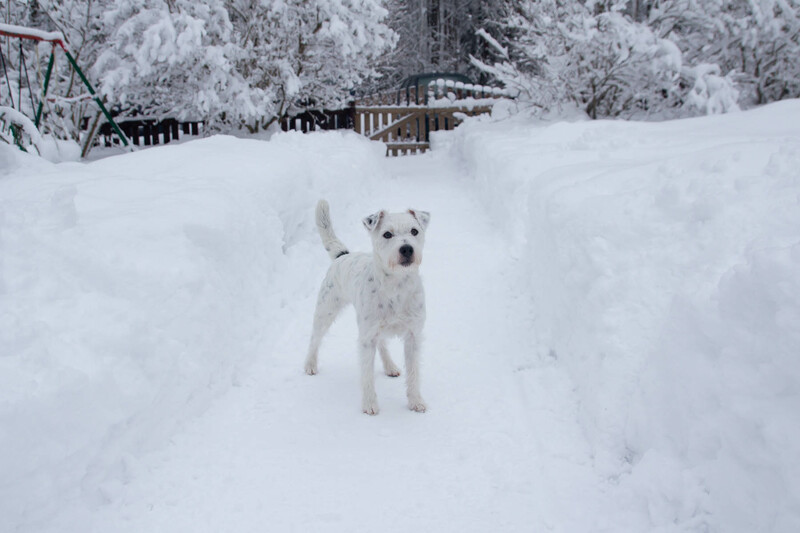 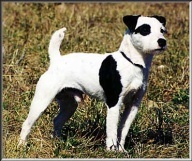 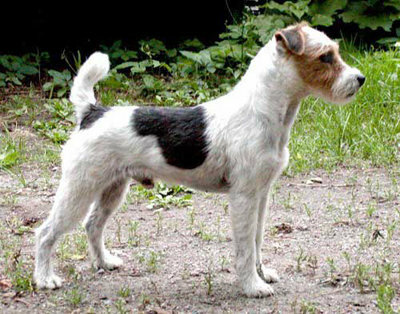 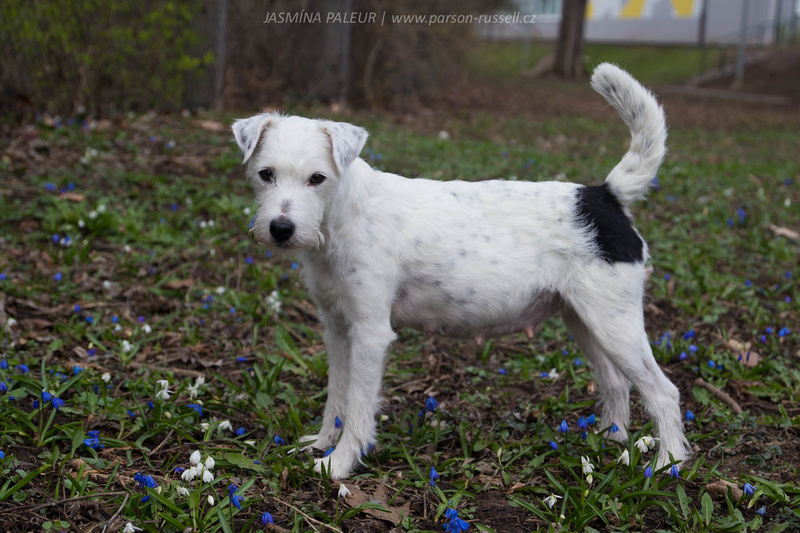 Miina – staying at CZ and is supposed to be hunting dog. 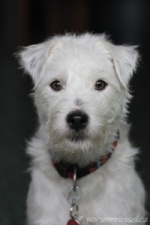 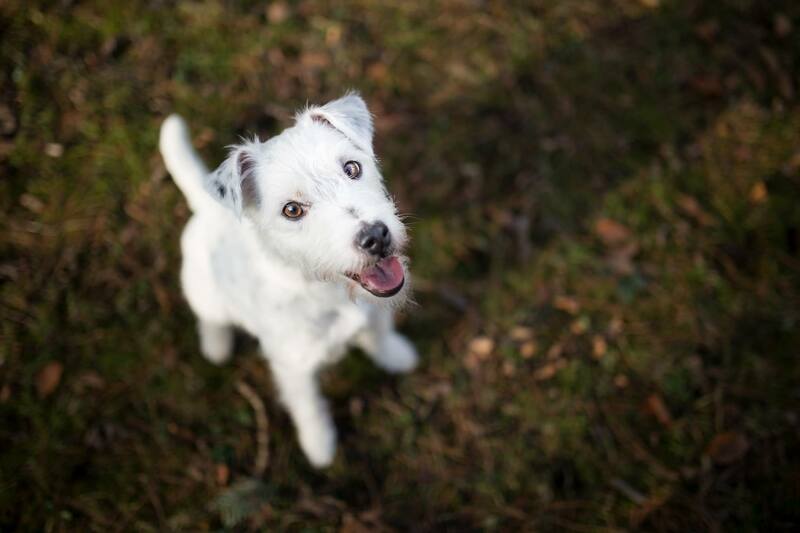 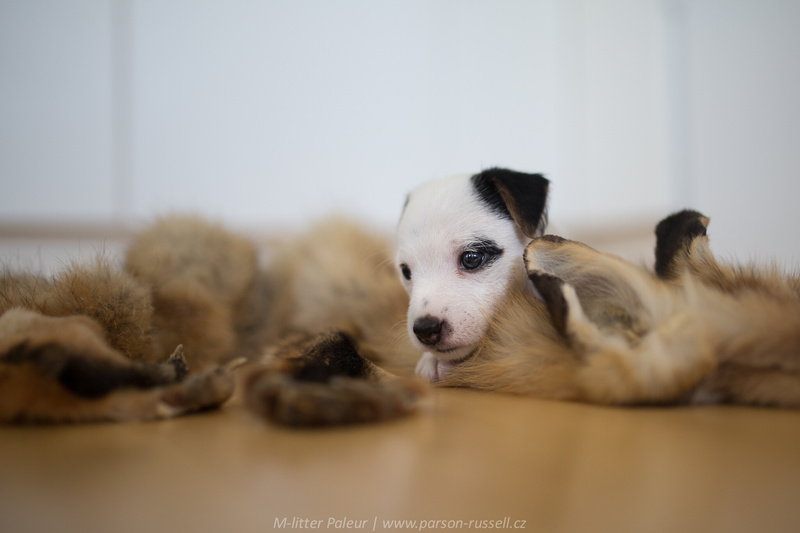 Merkii – our little devil with angel look staying at CZ and is supposed to do rescue-people training. 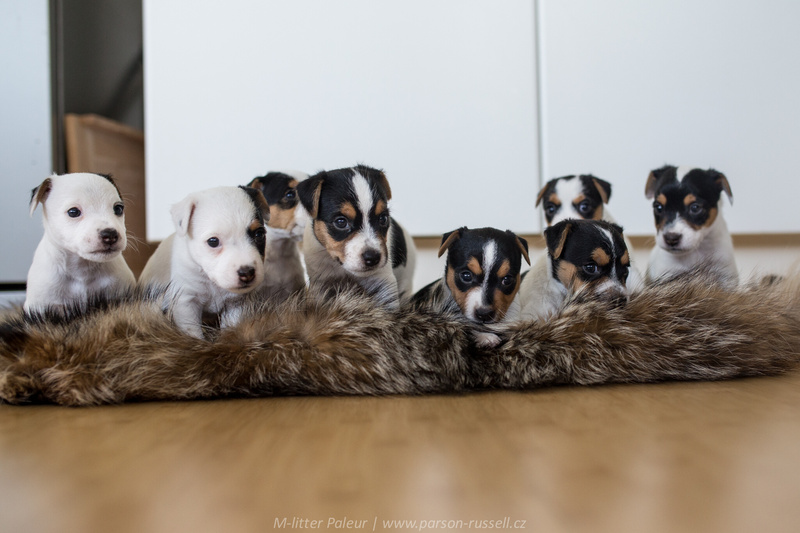 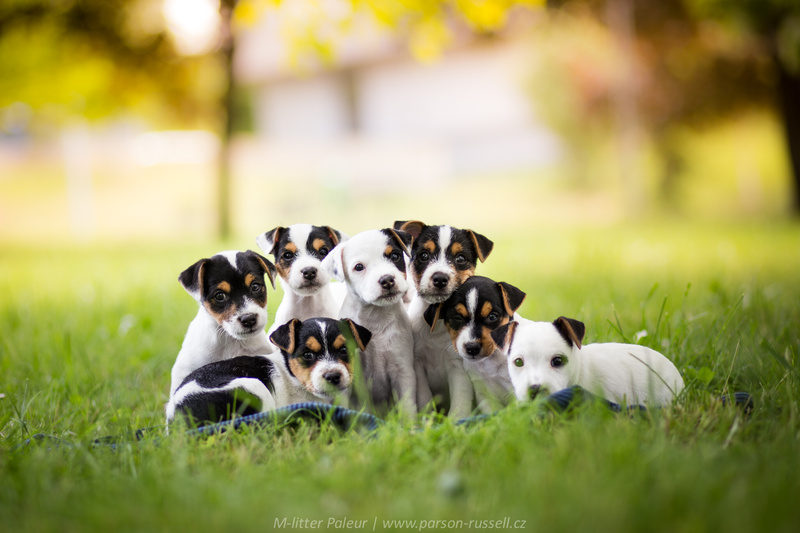 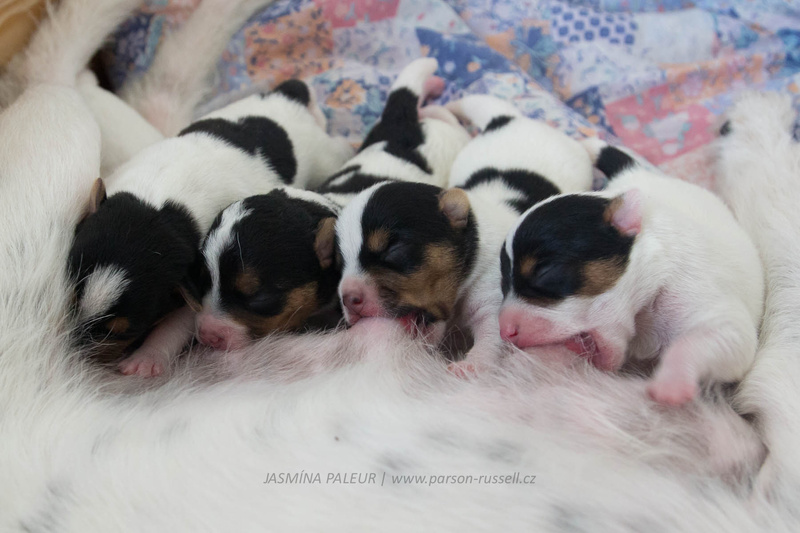 Very special litter, I am really proud of Jasmina and all pups that are living here in harmony and doing really great. 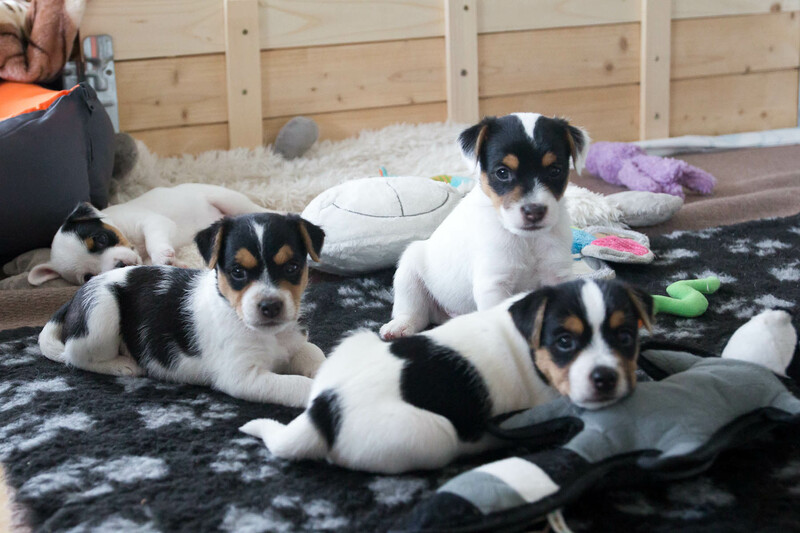 Little bit strange time as everything is prepared and puppies are slowly moving to their new homes. 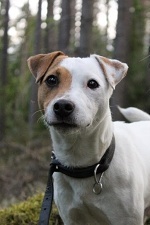 Our male Mysty left us first and according to first news, he has no problem with changing home. 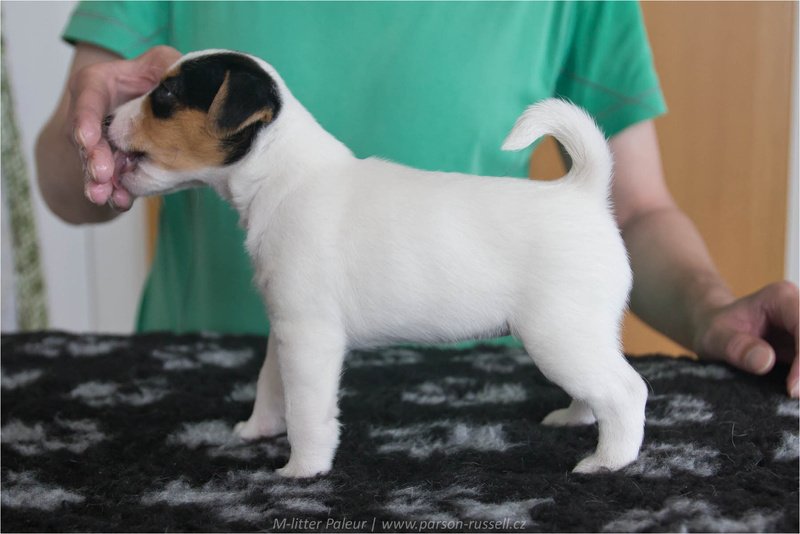 Good luck my little boy. 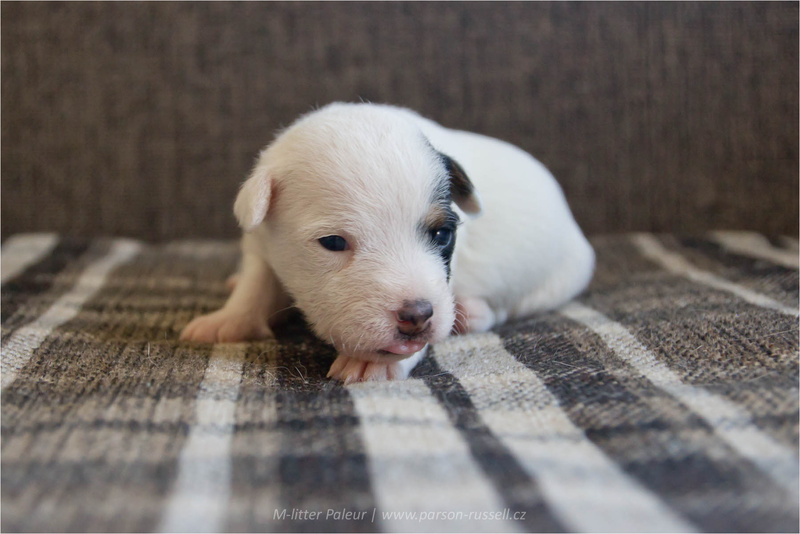 Mini Me left us to live with half-bro Lancelot from Jasmina´s first litter. 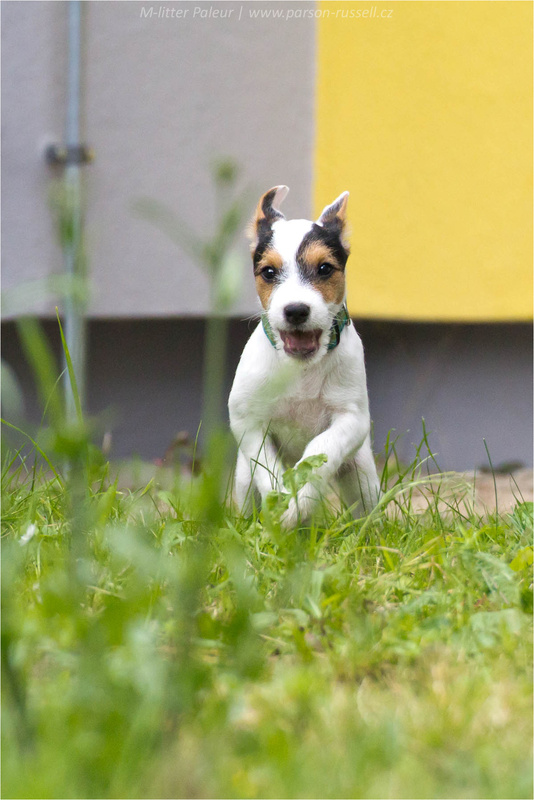 She is supposed to do agility with her owner so hopefully we can see her at some sport events. 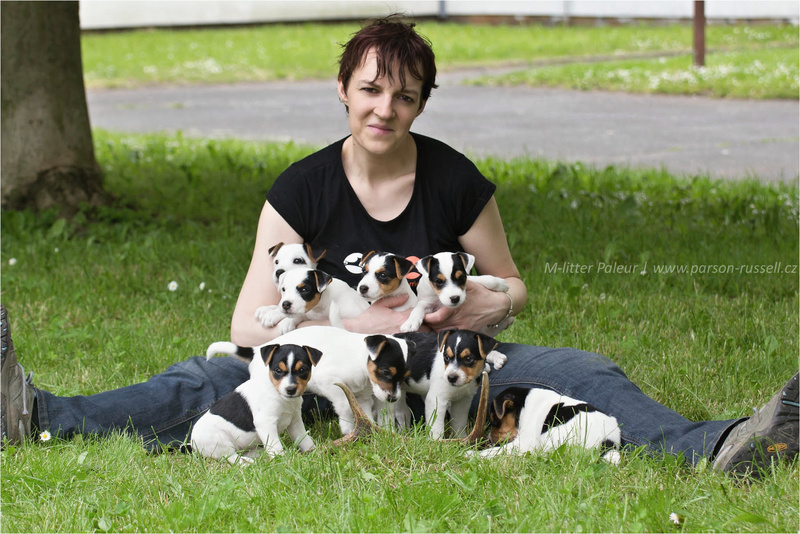 Pups are microchipped and got their names: Merkii, Mystique Man, Mitch, Miina, Mylly, Mayra, Mini Me, Majestic Mei. 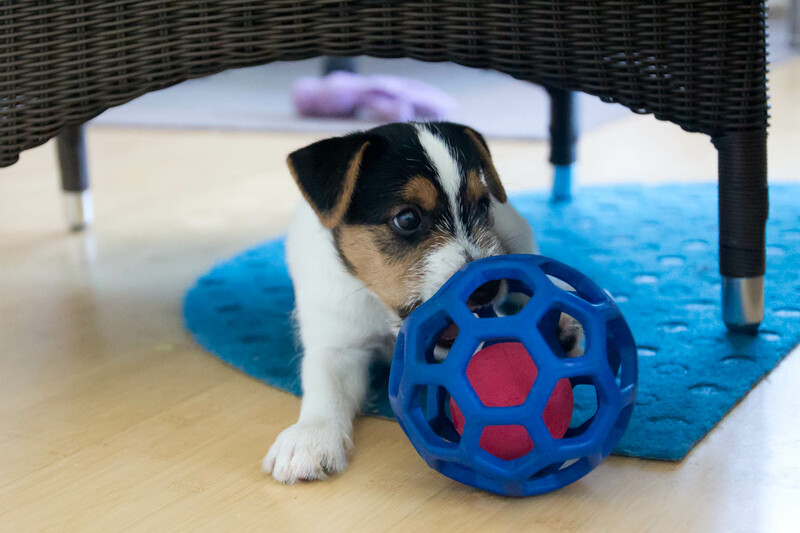 5 weeks and many social plays…. 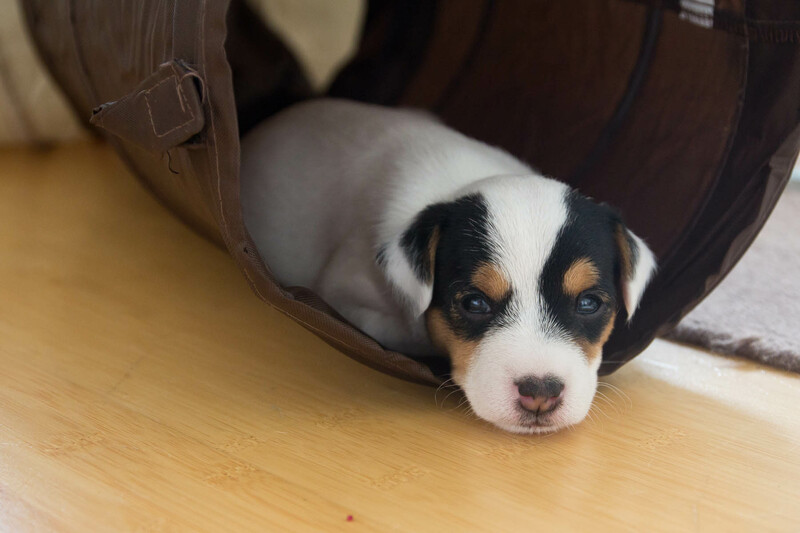 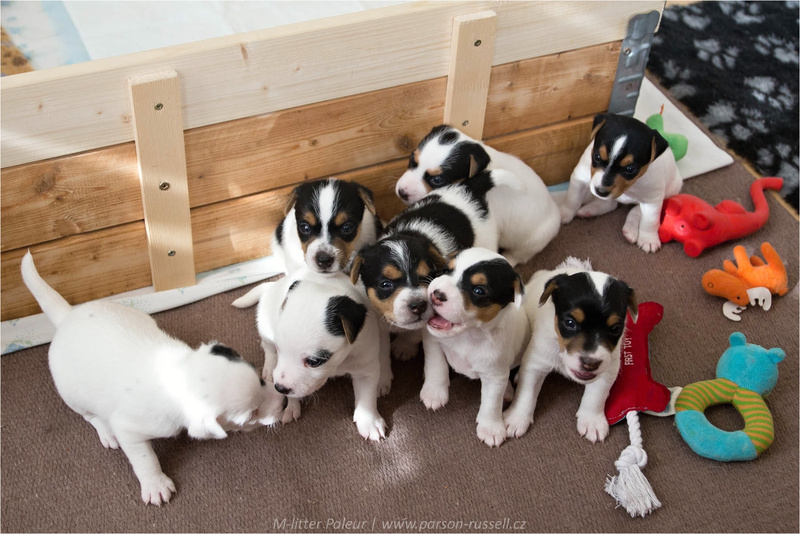 4 weeks – pups are exploring the world behind the whelping box, many visitors here. 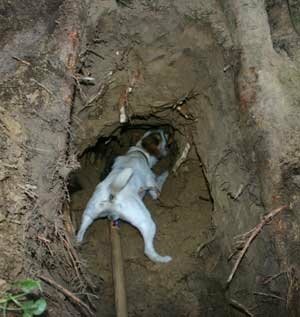 Next week behind us. 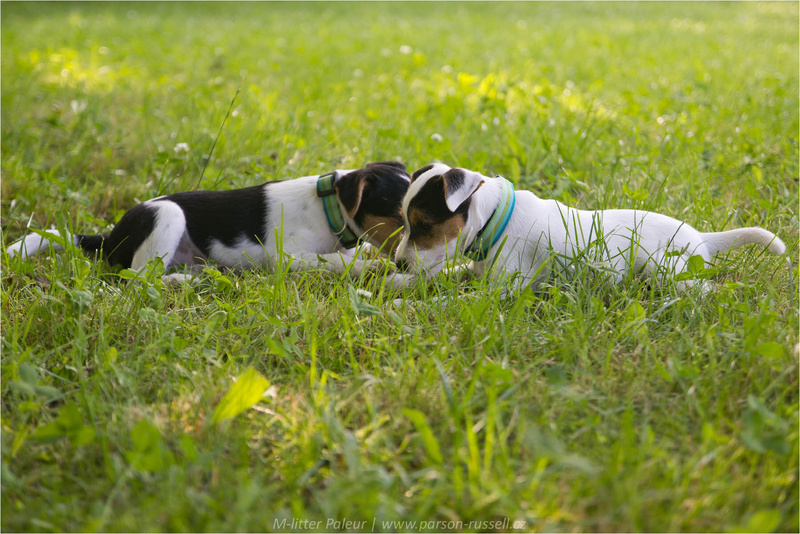 Pups starting to be curios and using their noses. 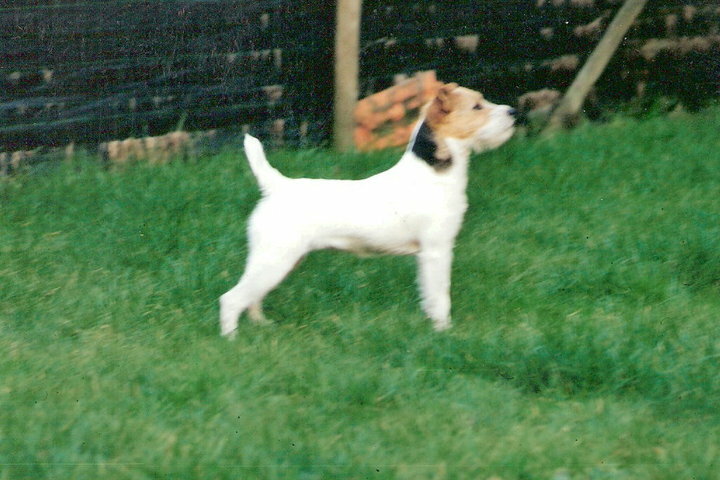 Especially female no 2 is very active. 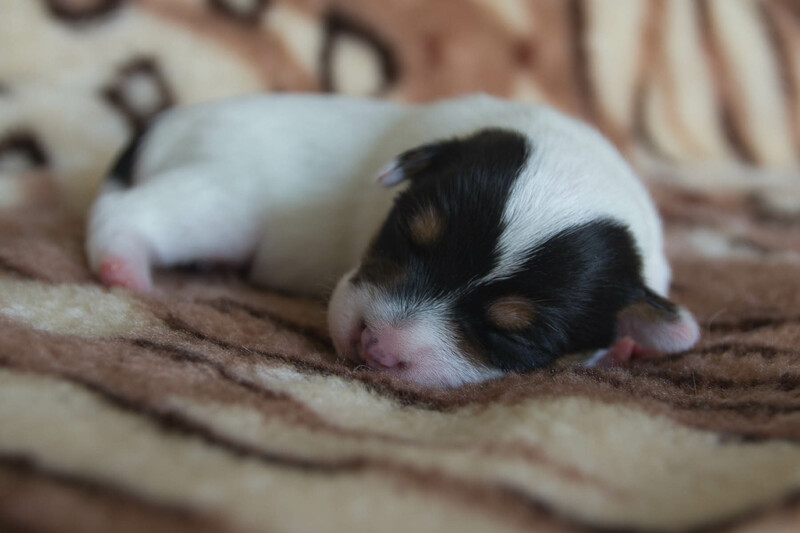 More time of playing but still sleeping a lot. 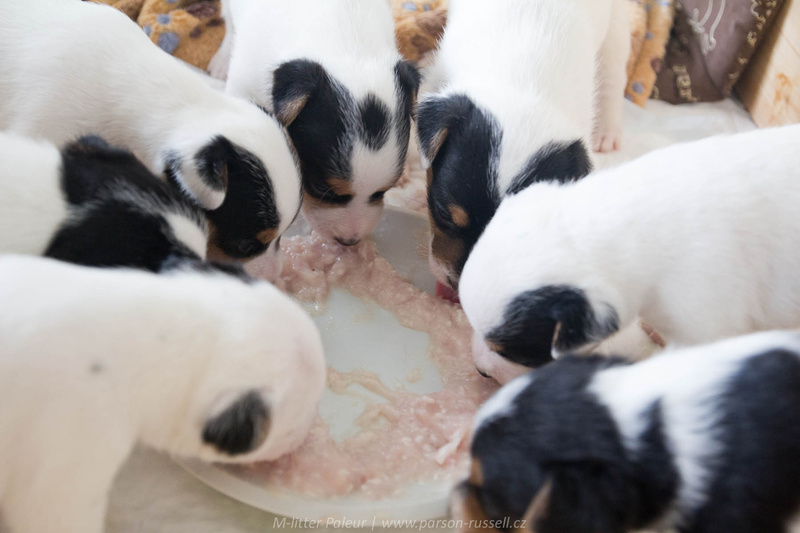 Jasmina has enough milk but I offered some meat and pups enjoyed it. 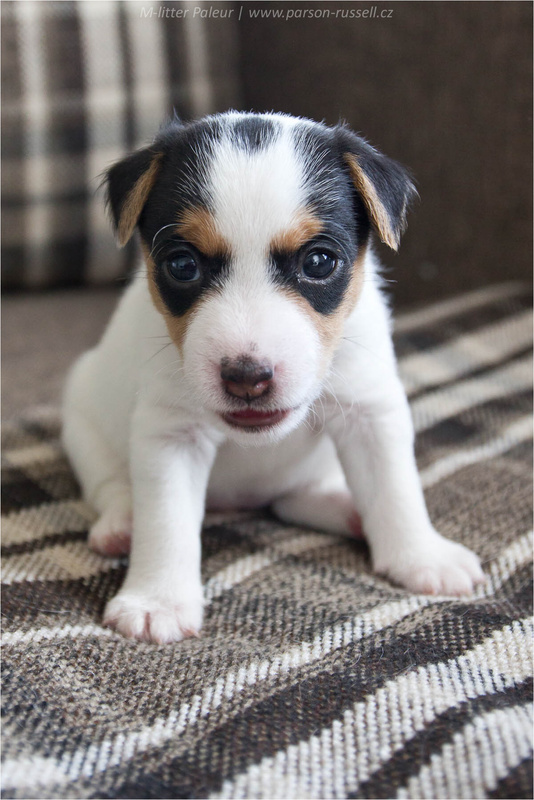 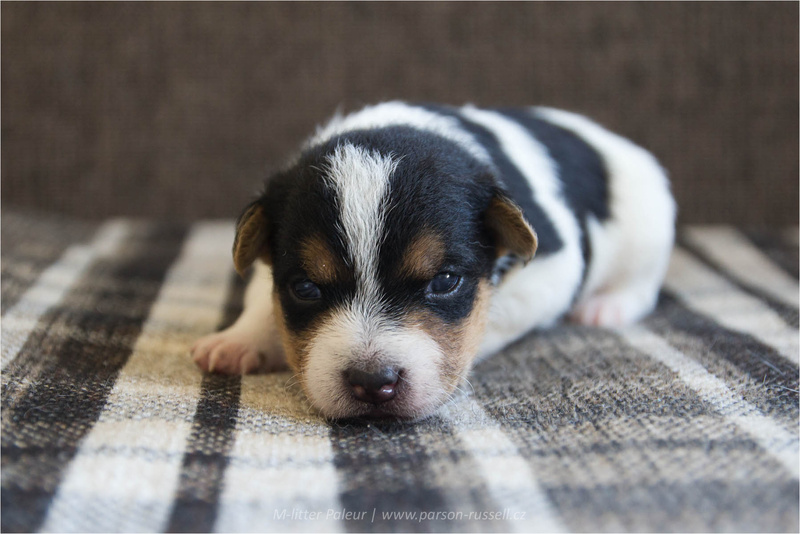 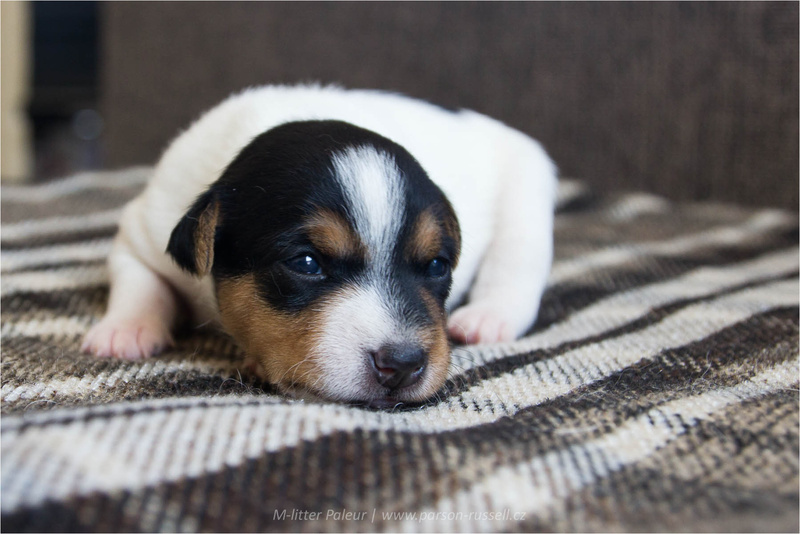 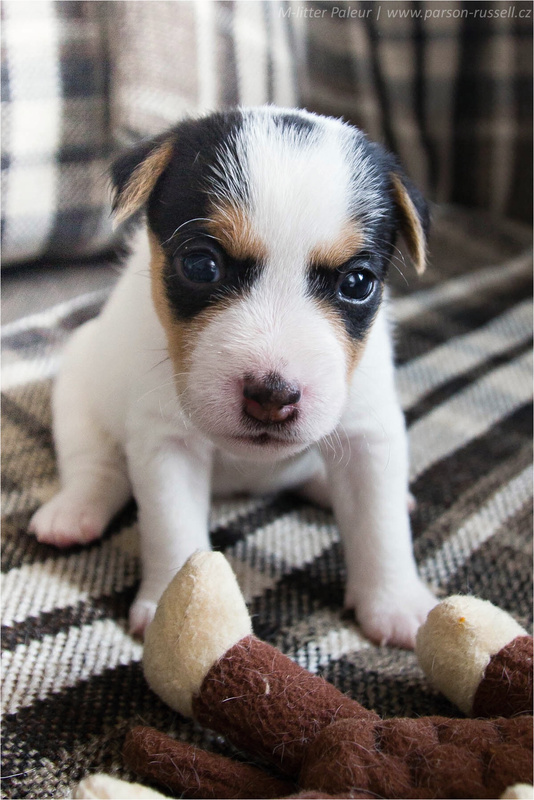 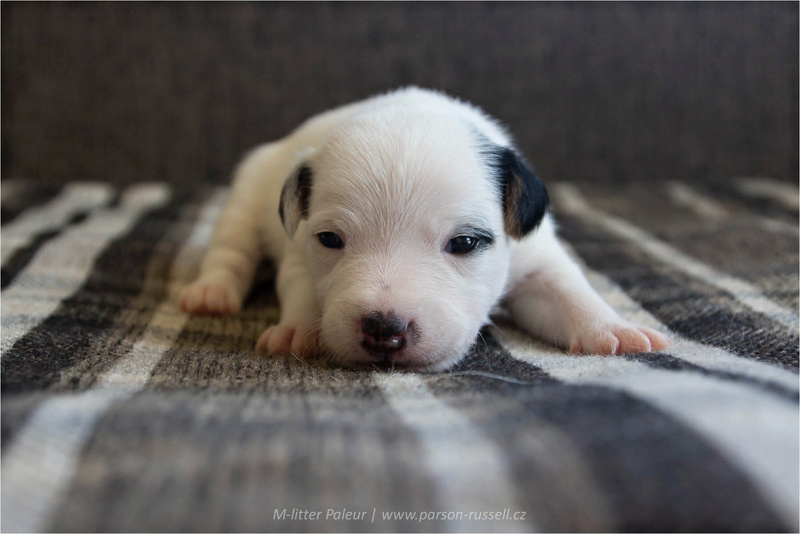 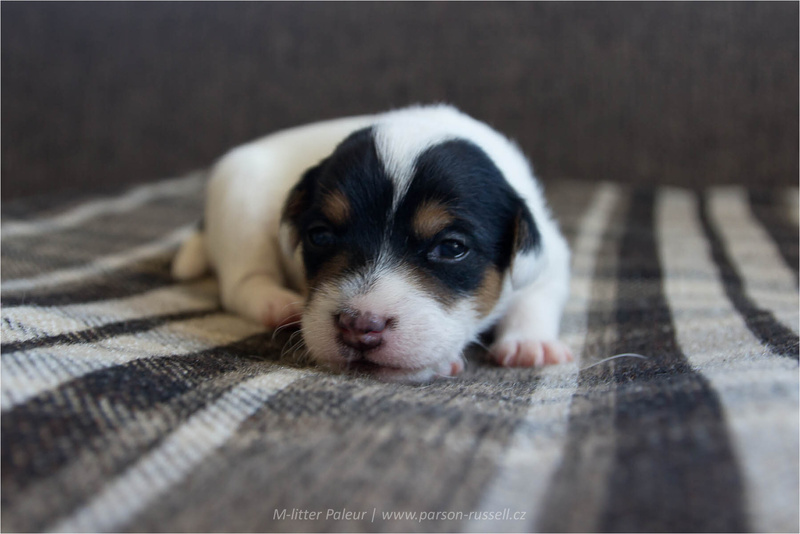 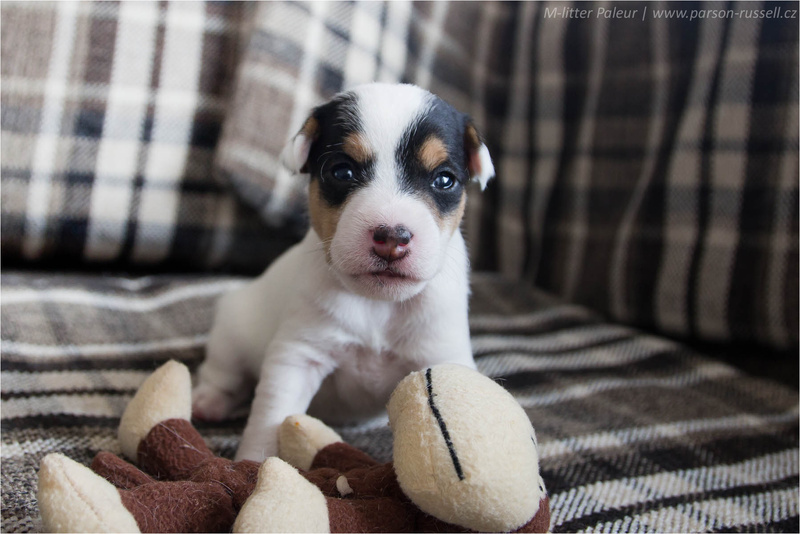 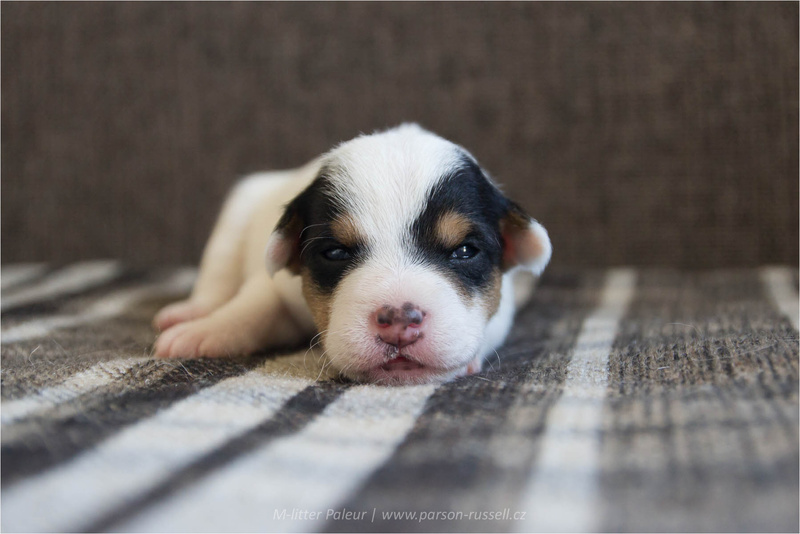 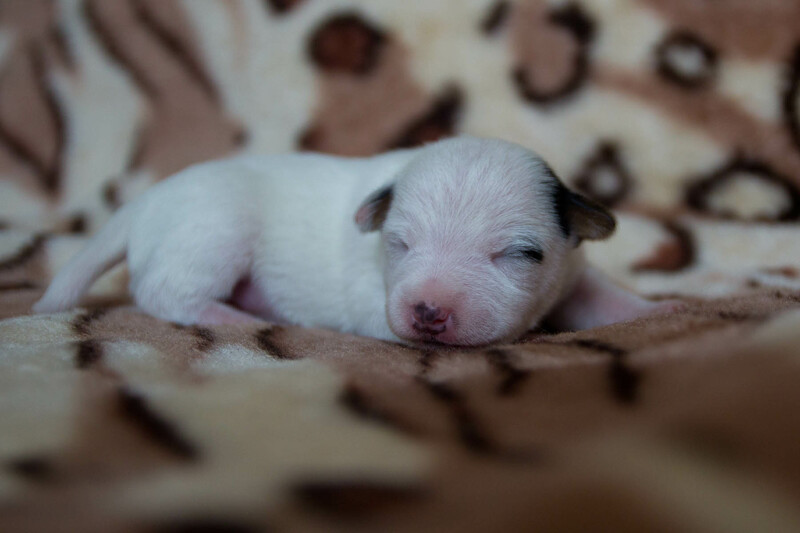 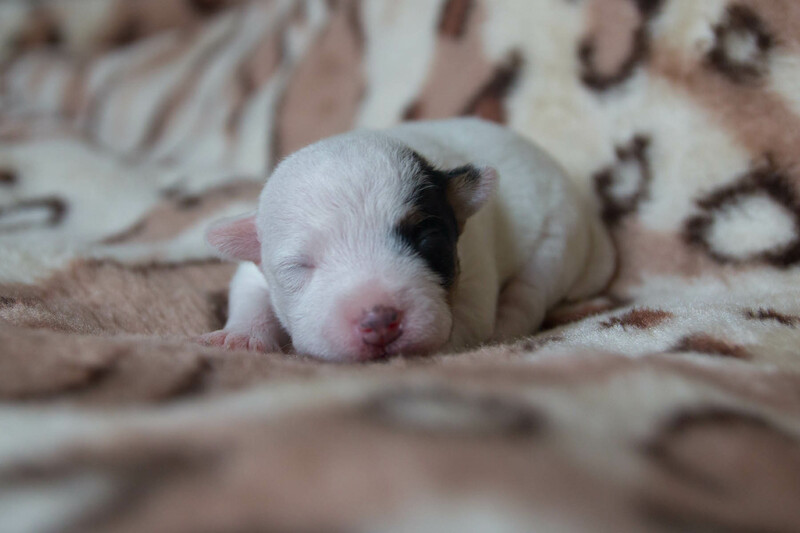 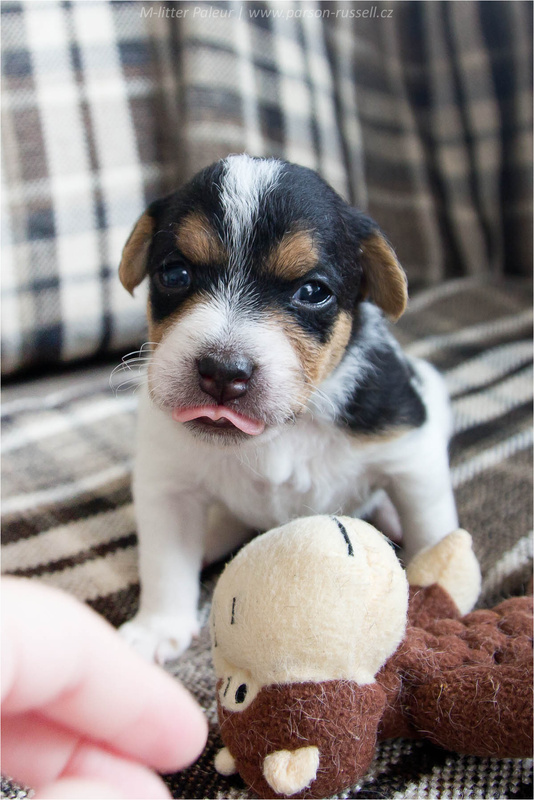 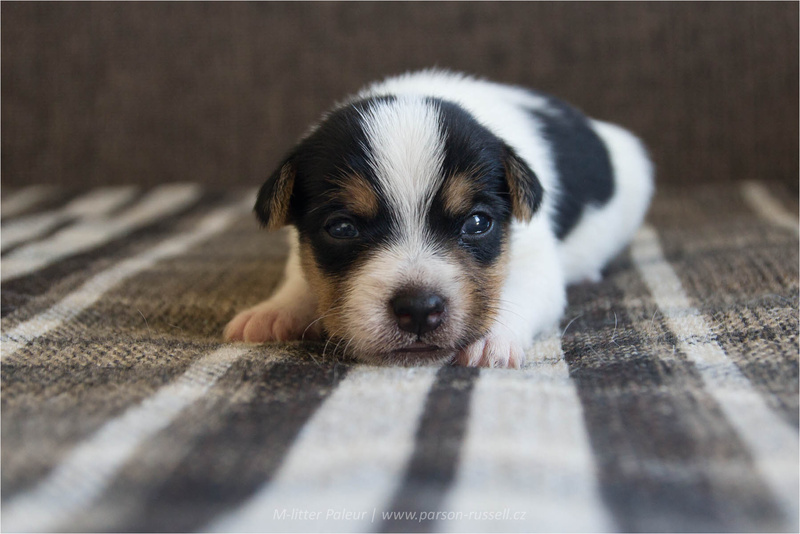 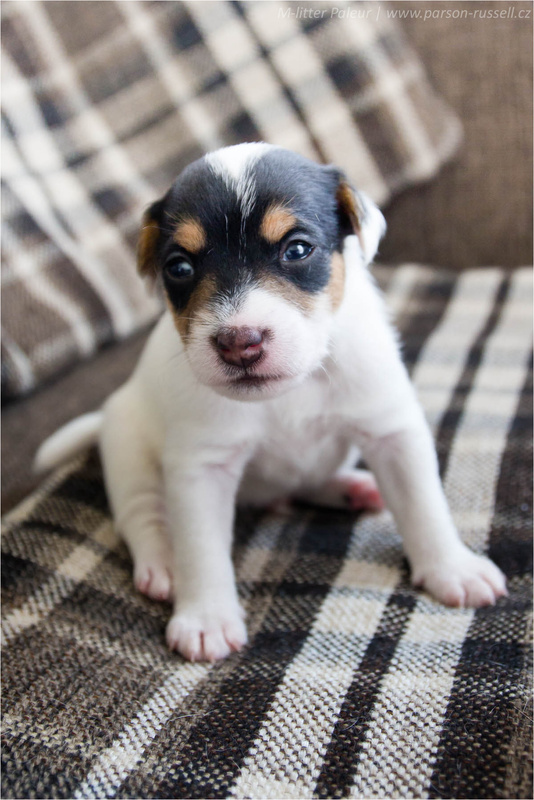 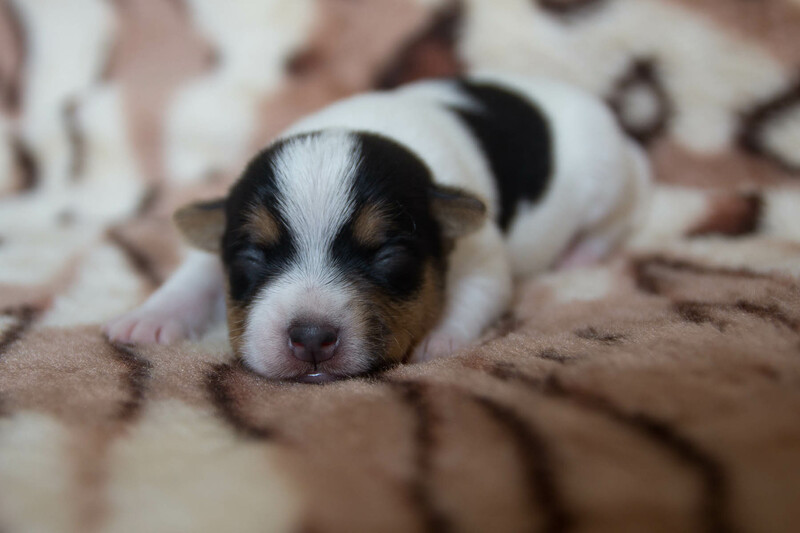 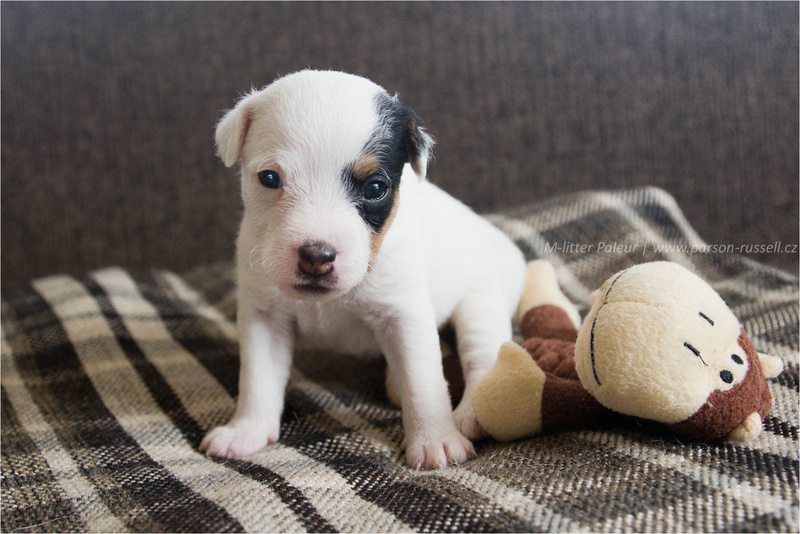 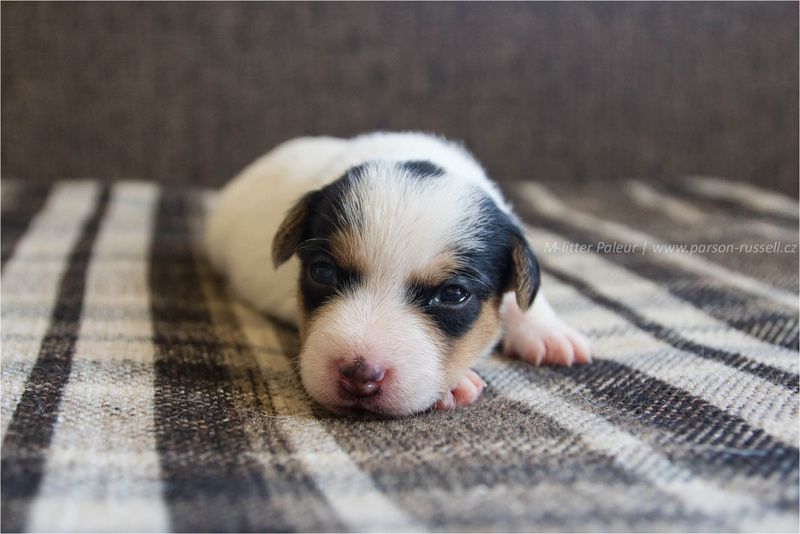 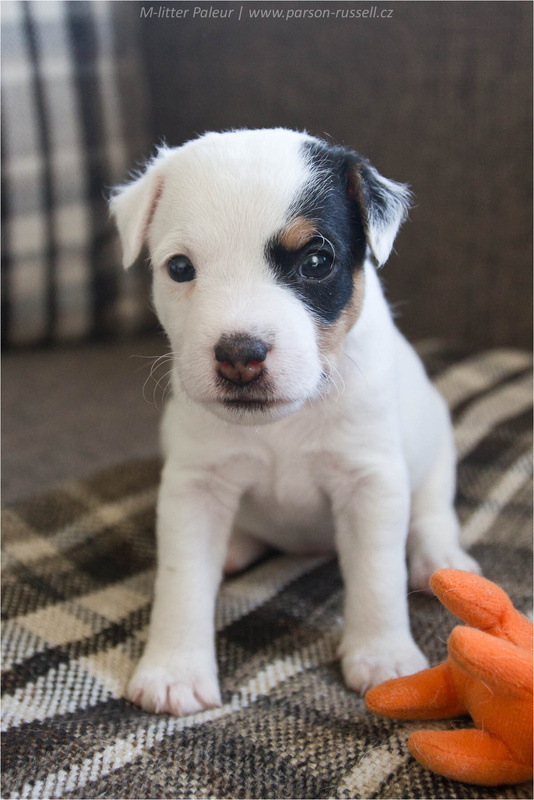 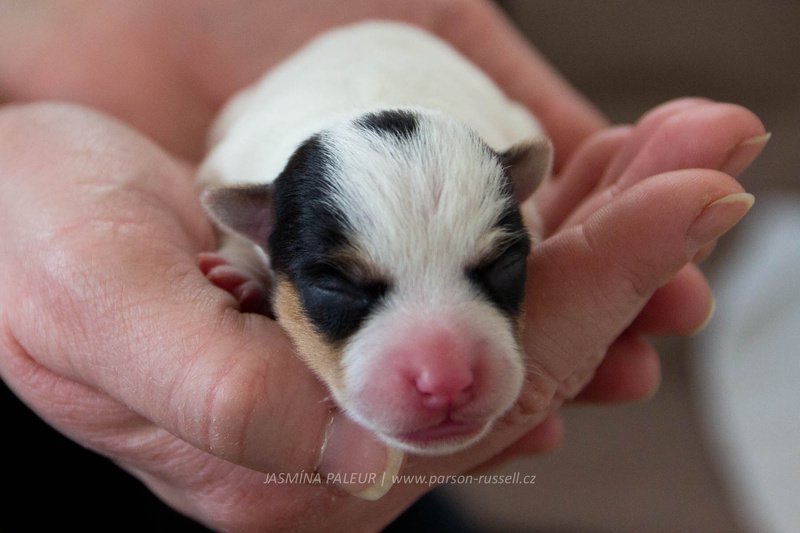 2 weeks – pups has opened their eyes (no4-“dot” first). 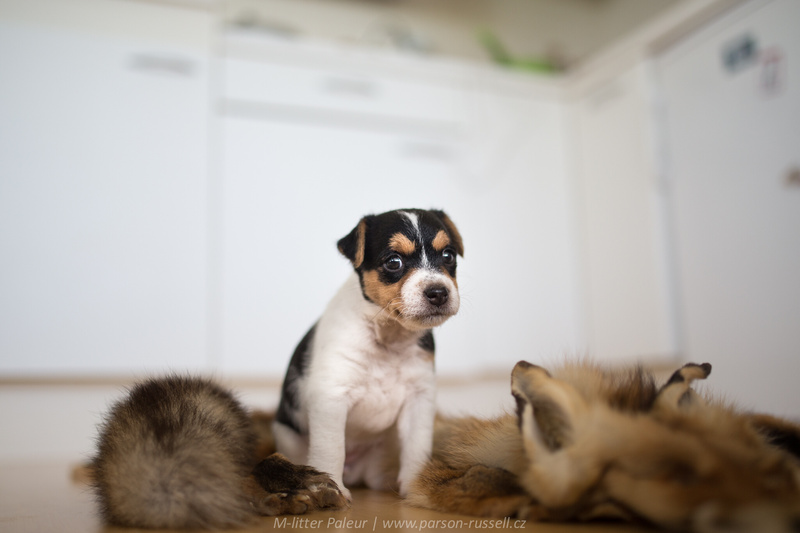 Starting to react to big noices, trying to use their legs. 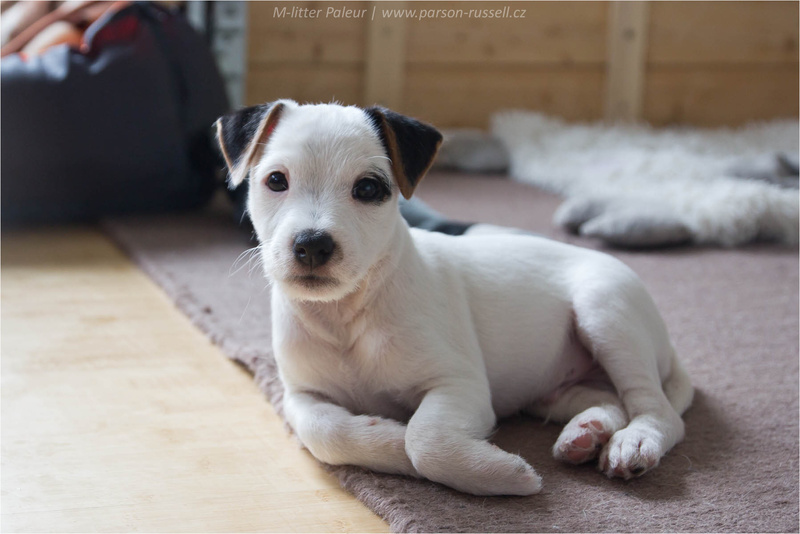 Short video HERE. 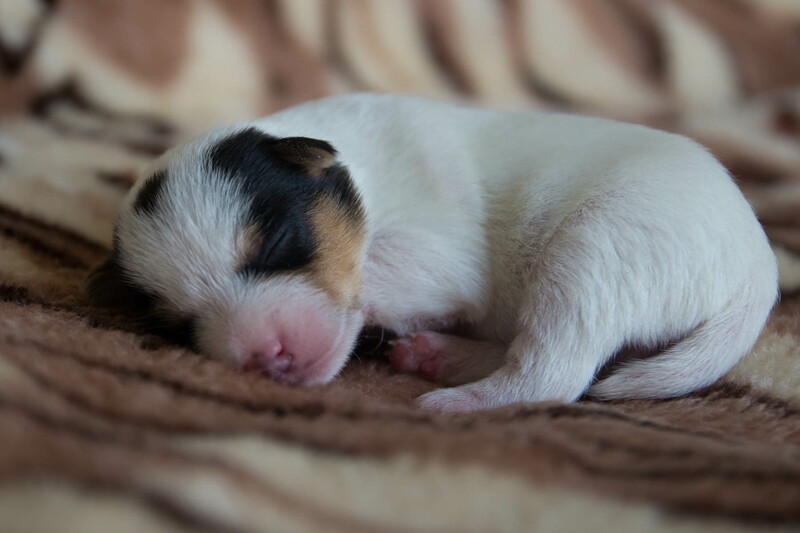 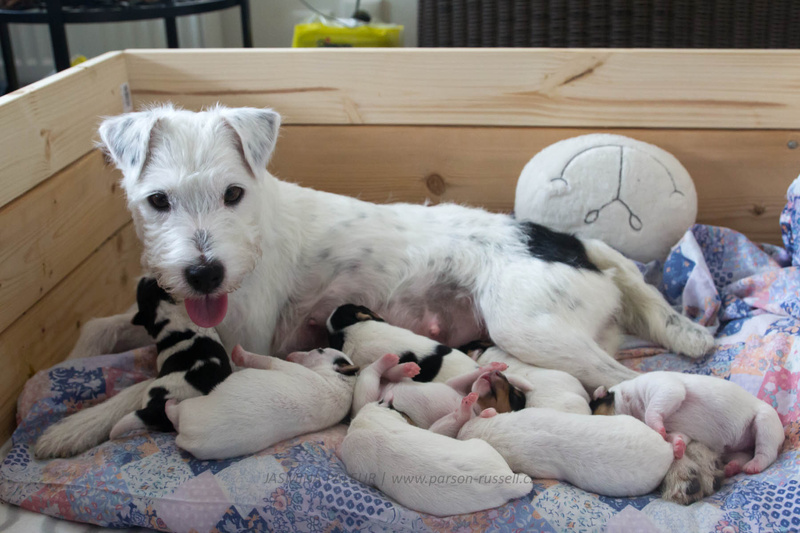 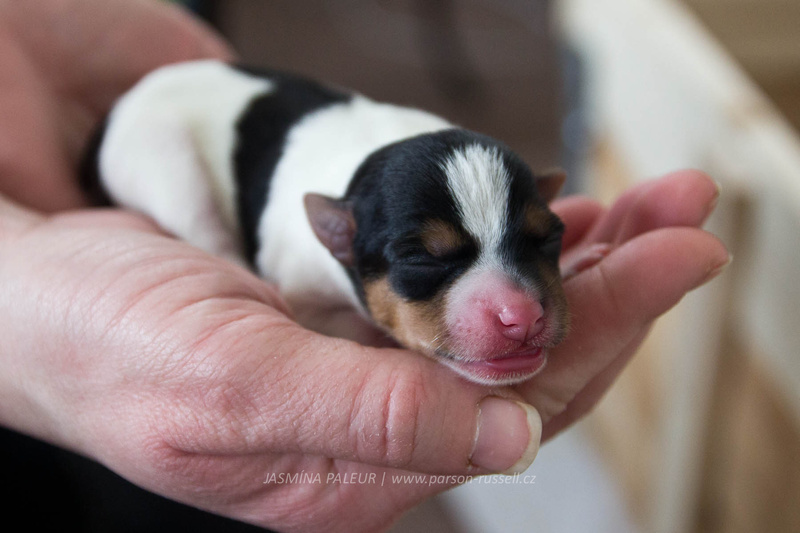 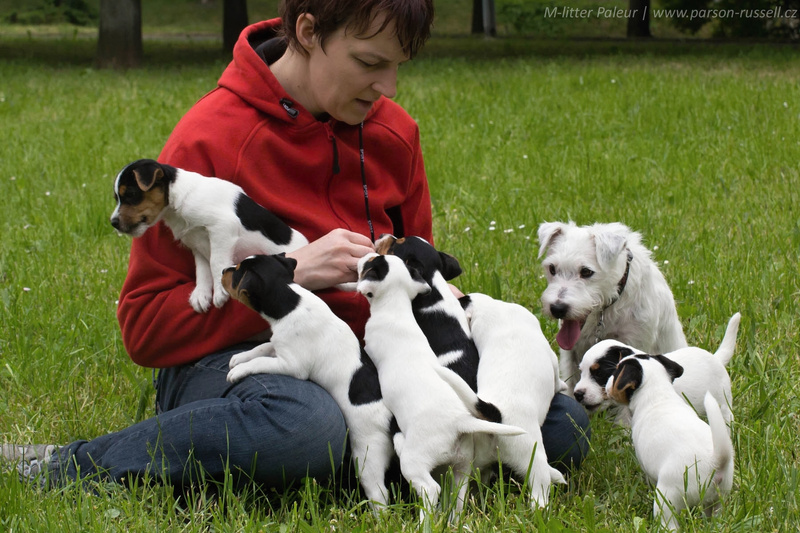 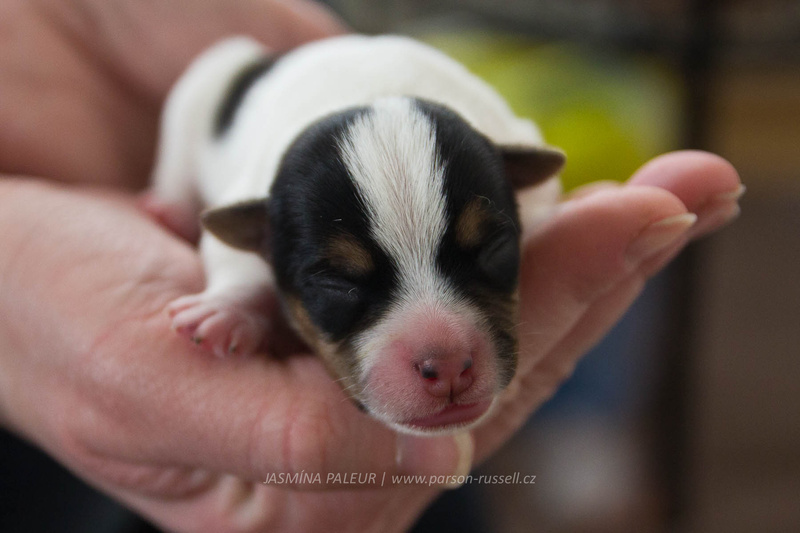 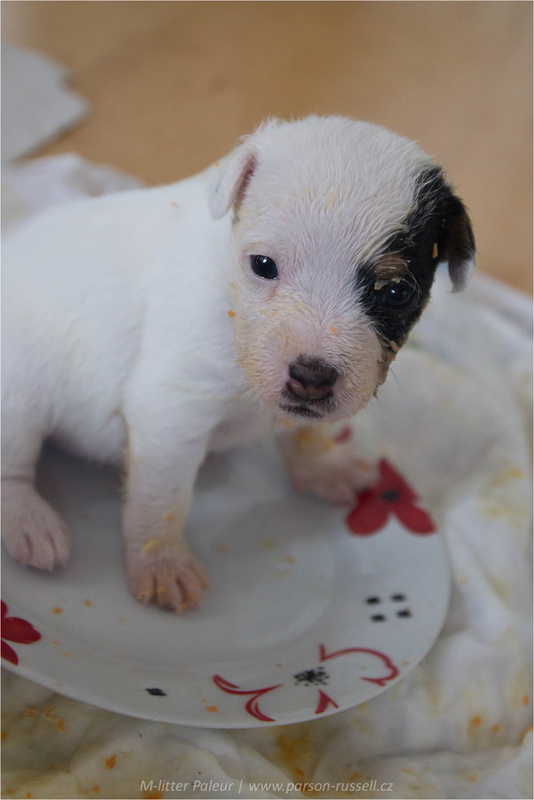 1 week – Jasmina is eating a lot and we take best care about her and pups that doubled their birth weights. 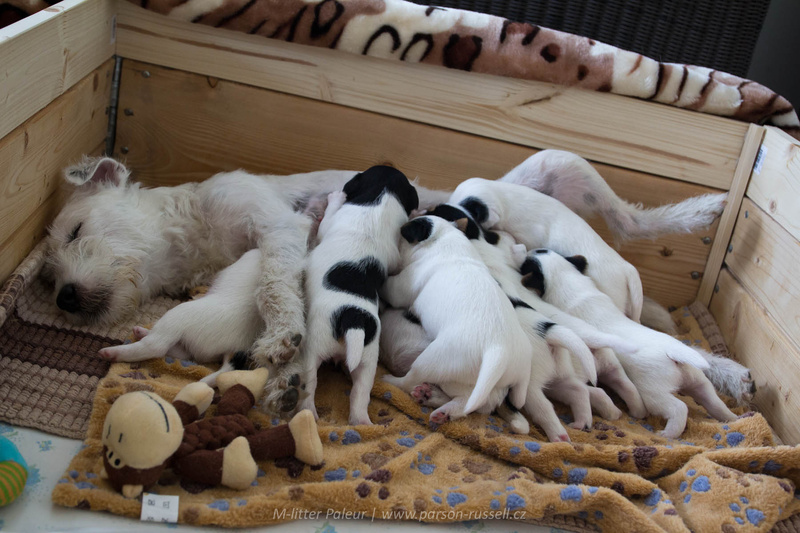 Pups are eating and sleeping, Jasmina is taking care perfectly, seems that she has enough milk. 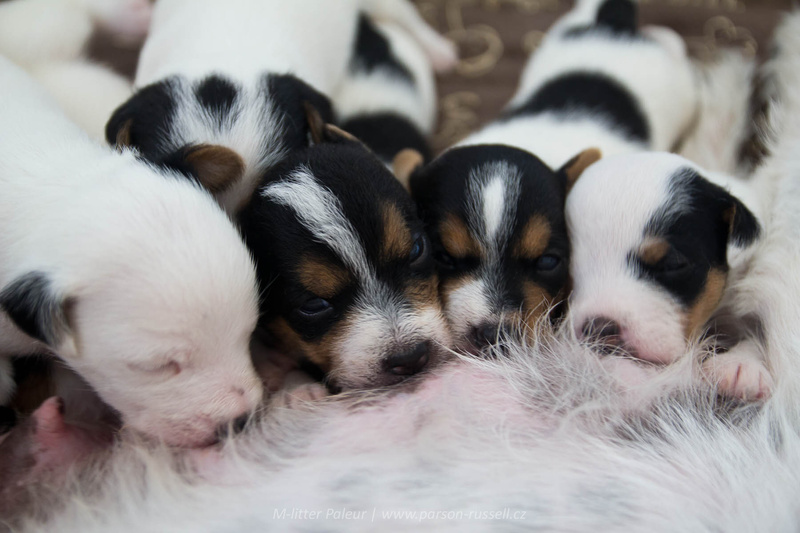 Big litter gallery on FB HERE. 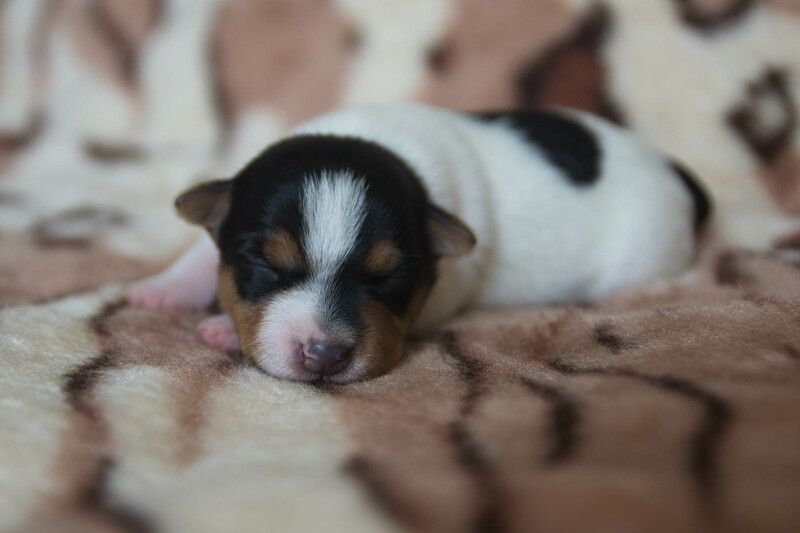 3 days and I finally took pictures as I am now able to recognize the puppies with no problems and got second breath afther such big litter birth. 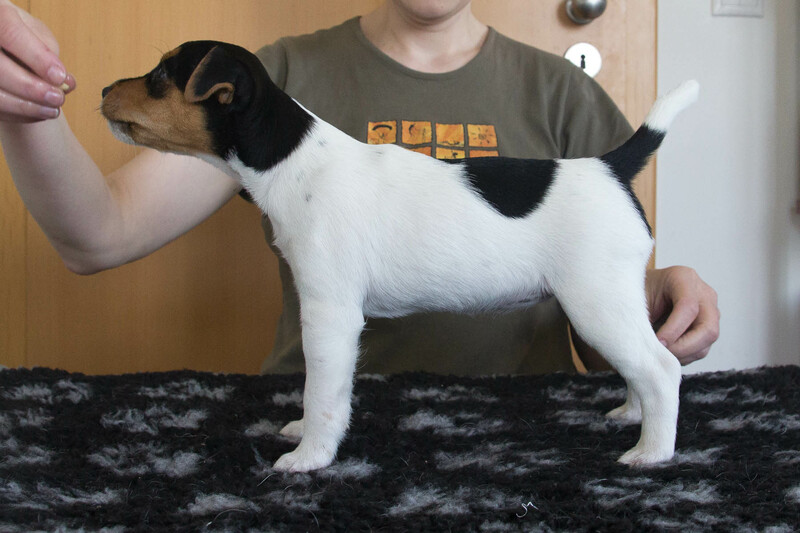 61. day – actual body temprature 36,3 °C, we are expecting puppies soon…. 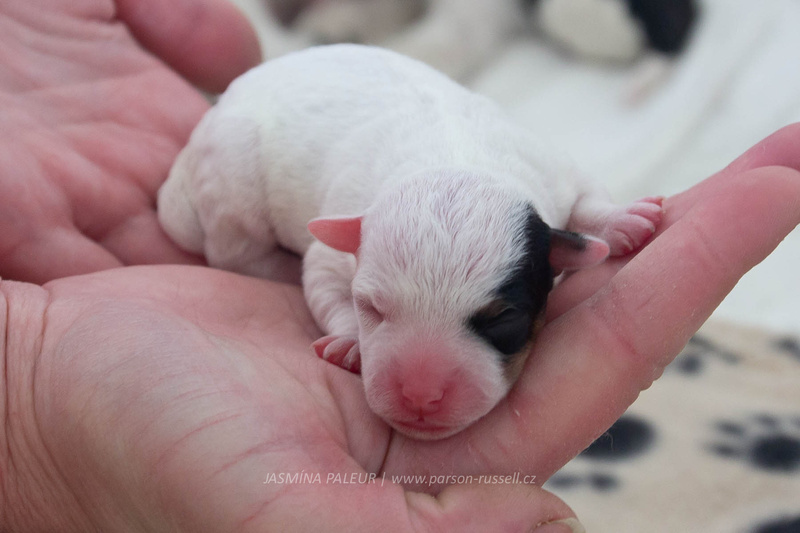 All pups and Jasmina are doing well. 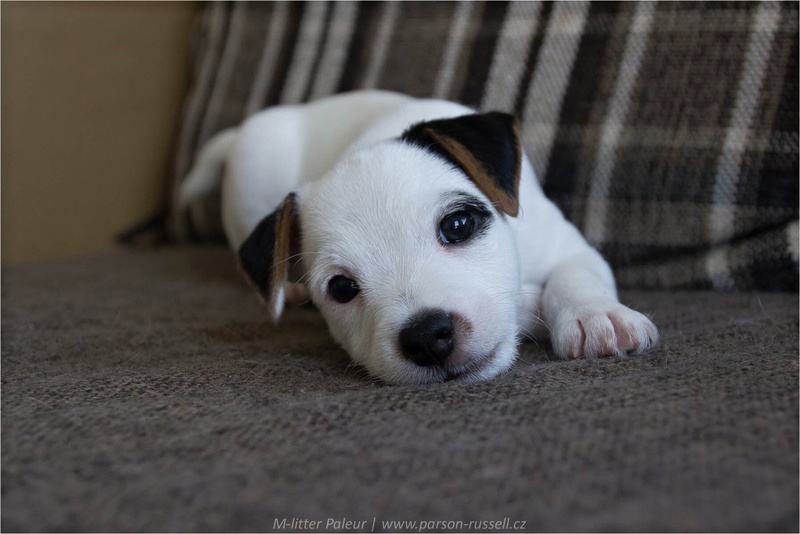 Video Few days to left…. 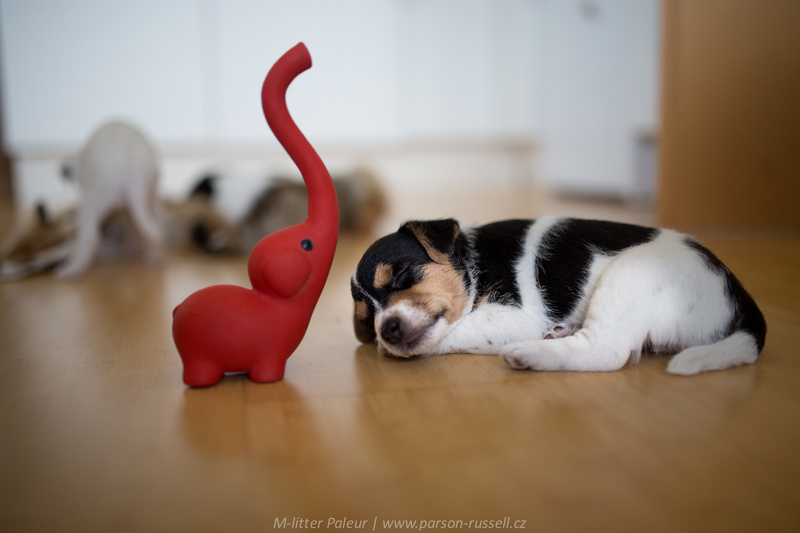 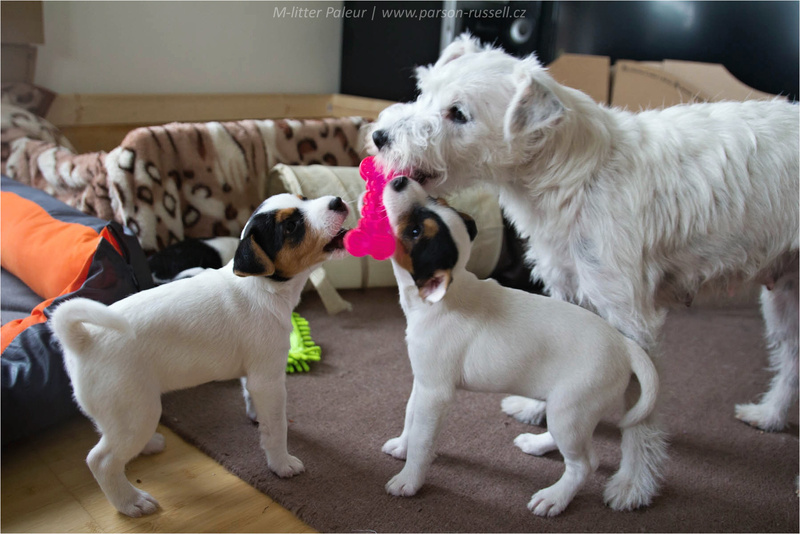 Jasmina is enjoying the toys for puppies :-D.
58. den – Last days of pregnancy. 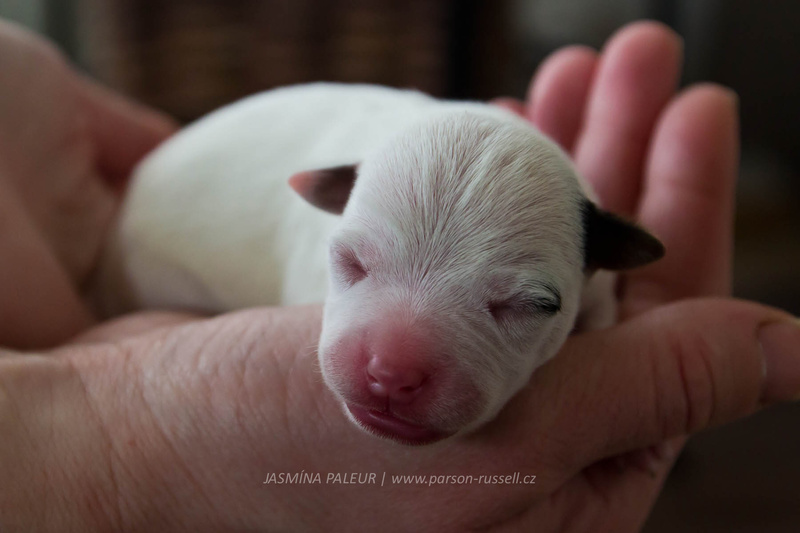 Jasmina is using whelping box and serious final count down has just started. 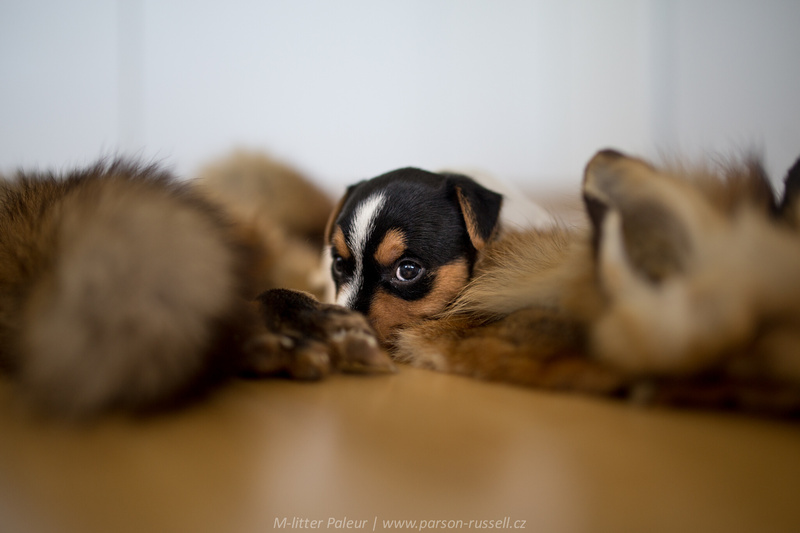 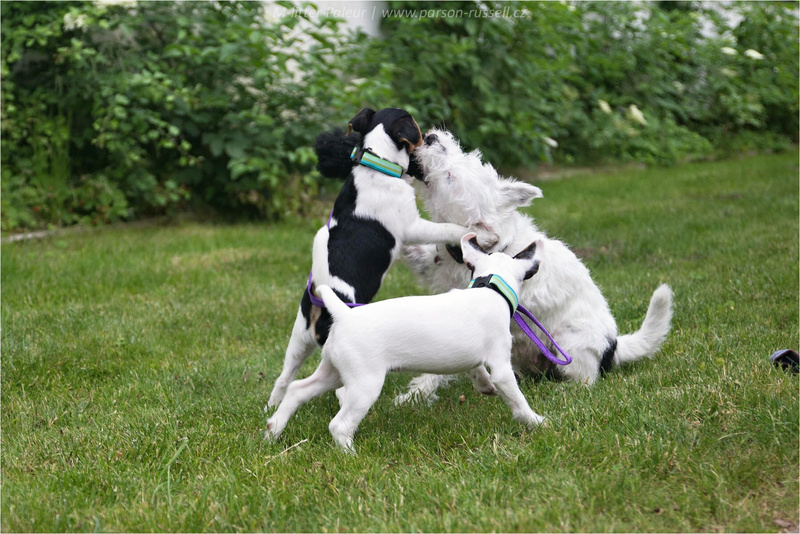 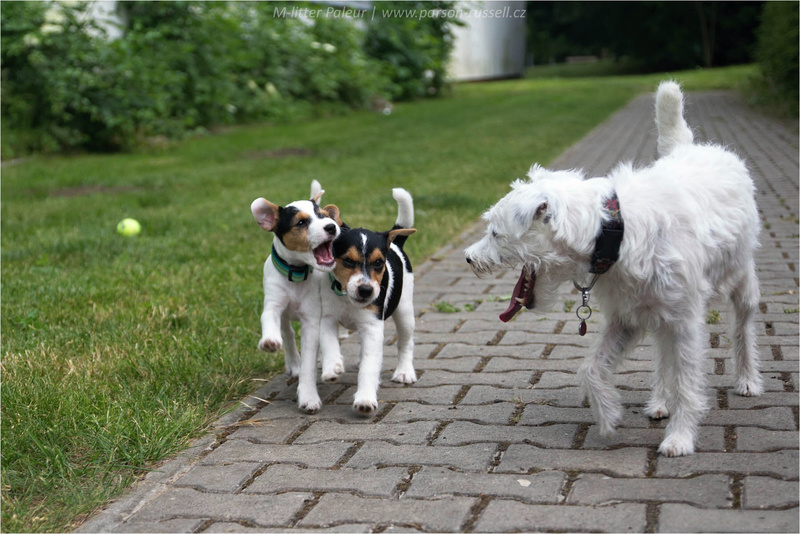 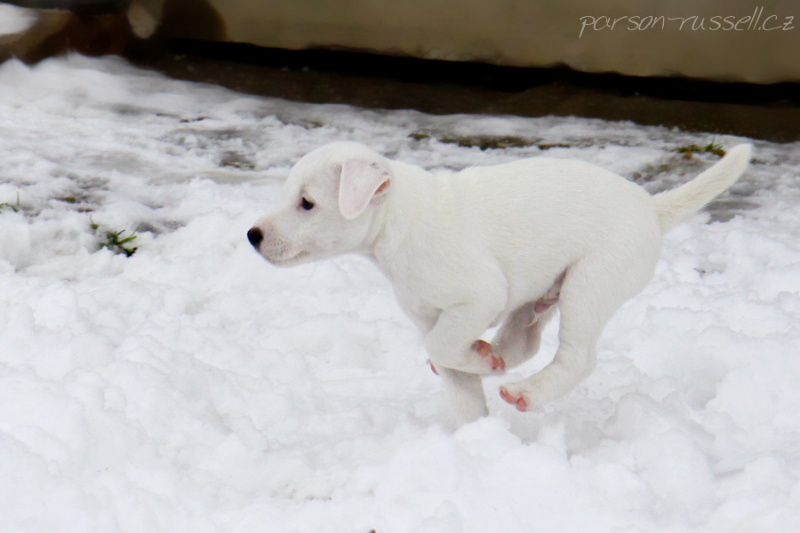 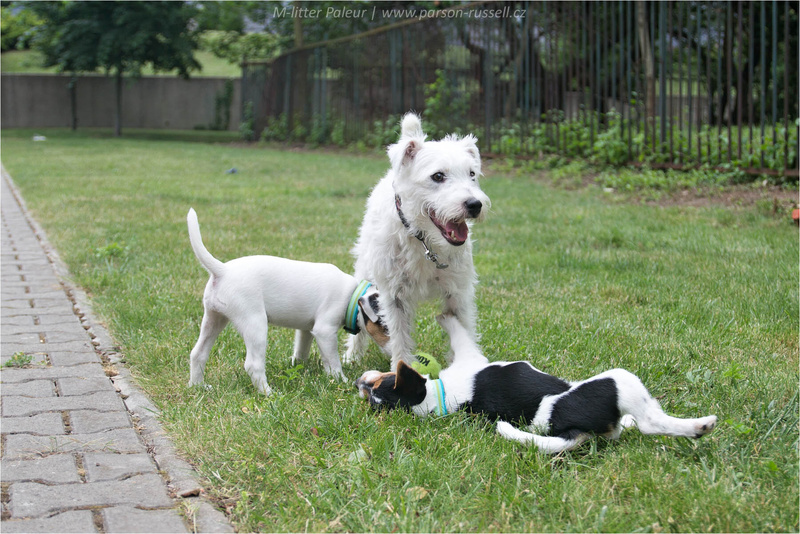 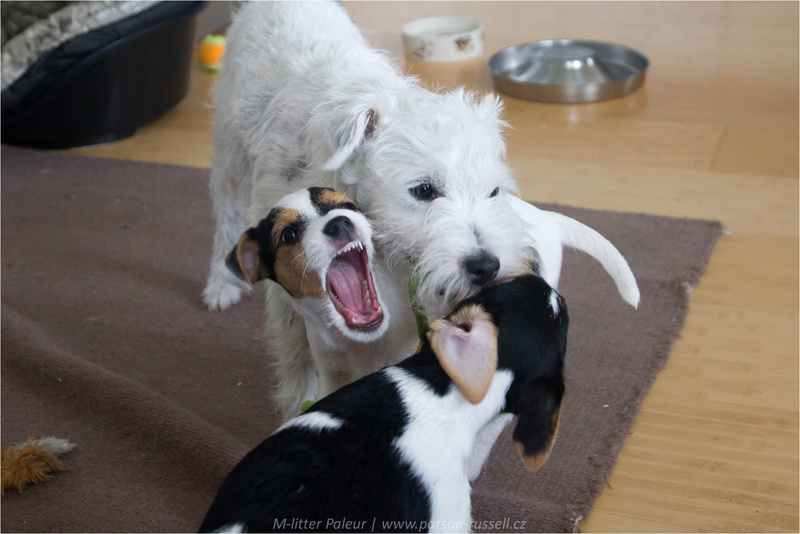 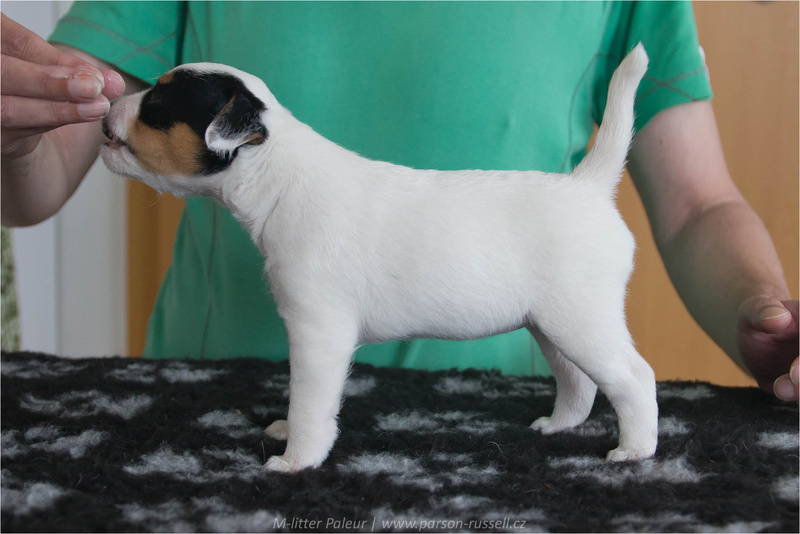 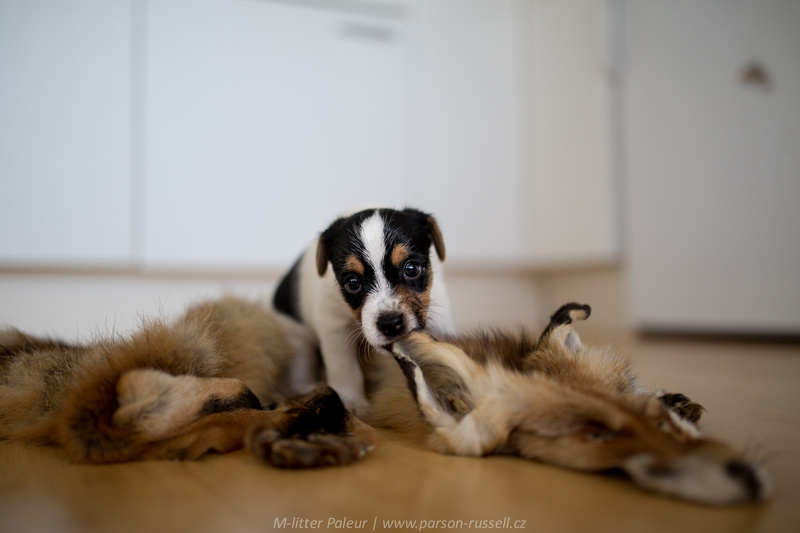 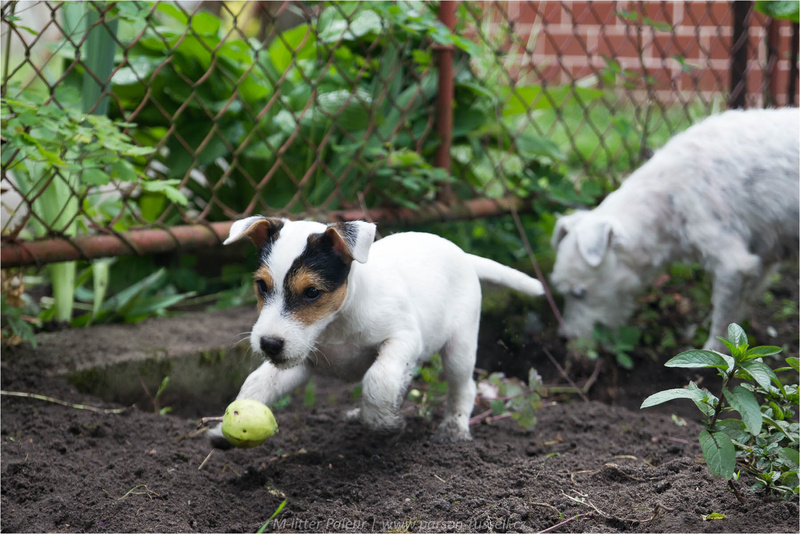 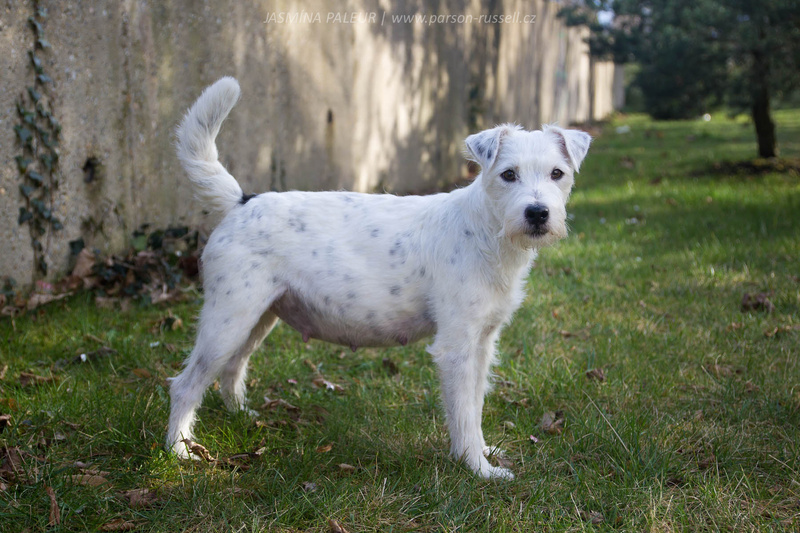 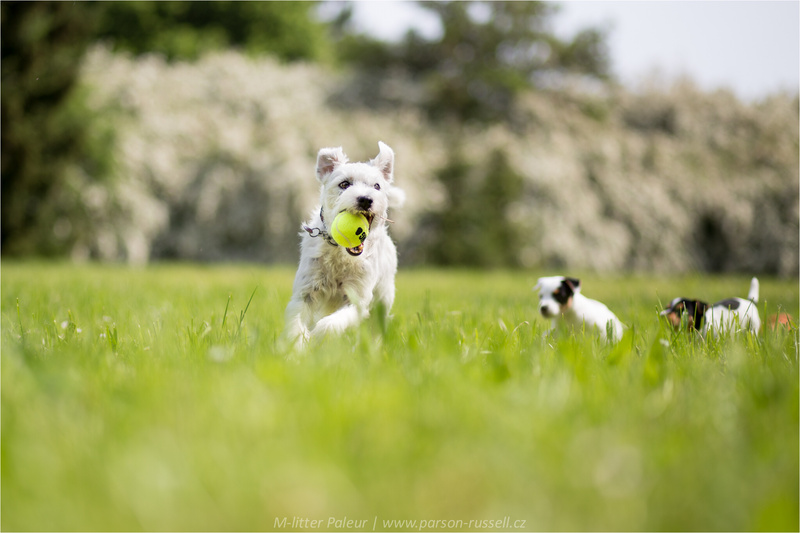 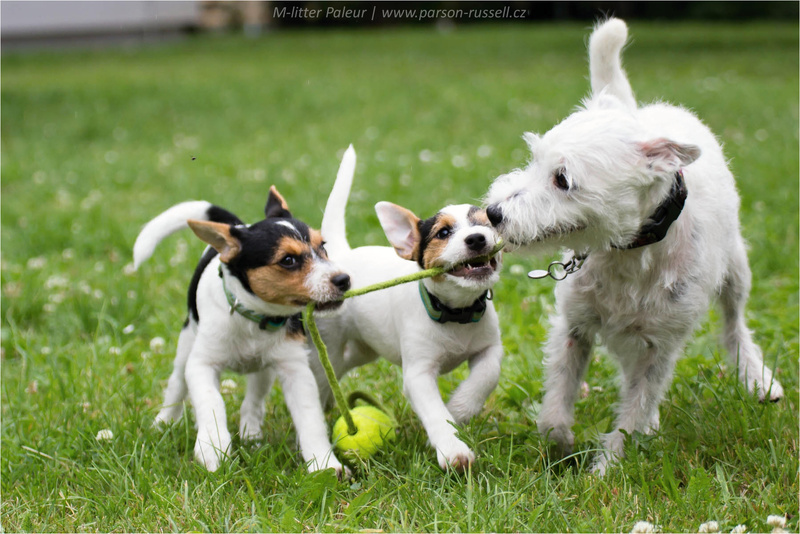 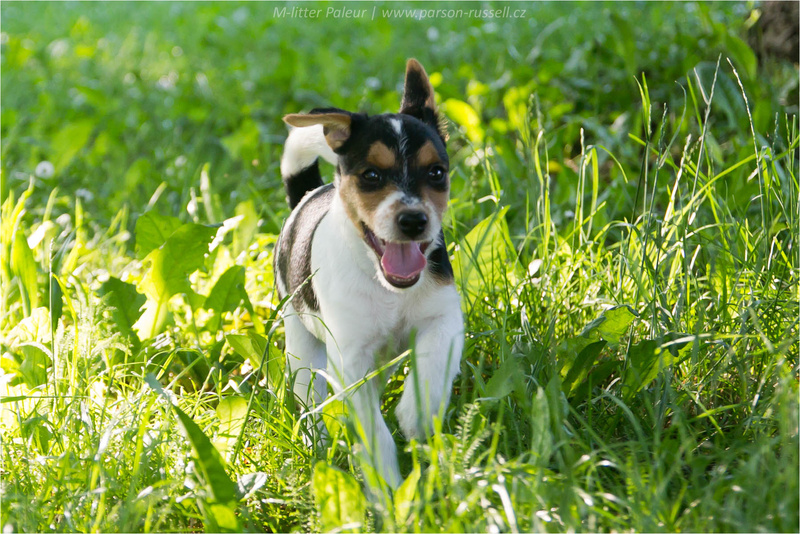 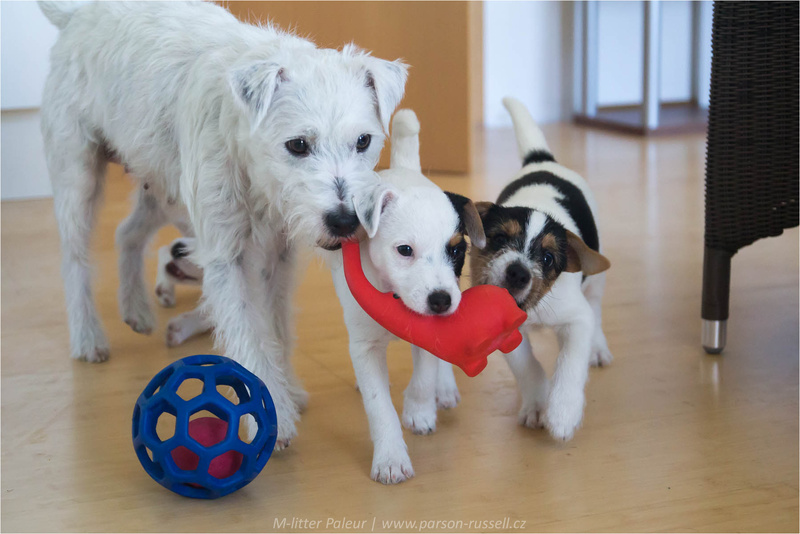 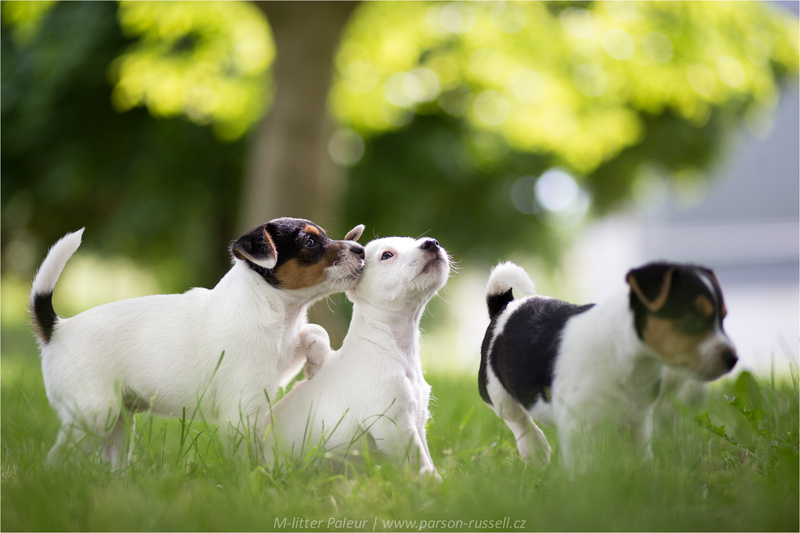 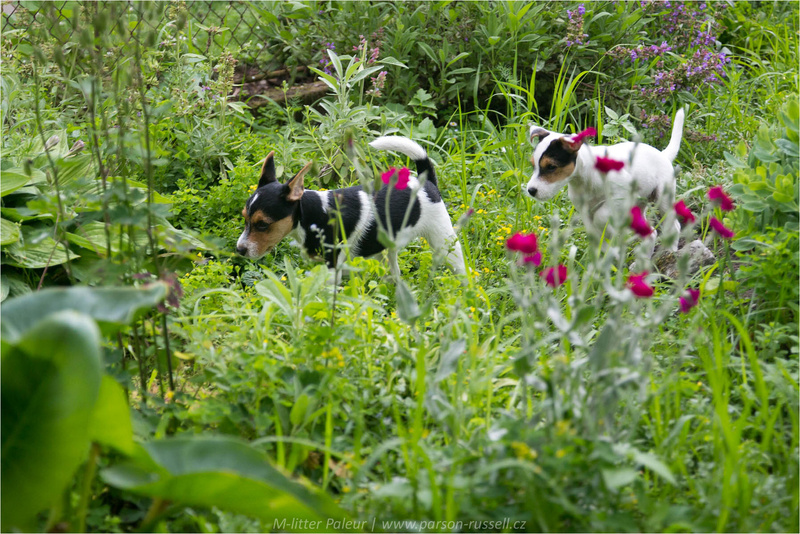 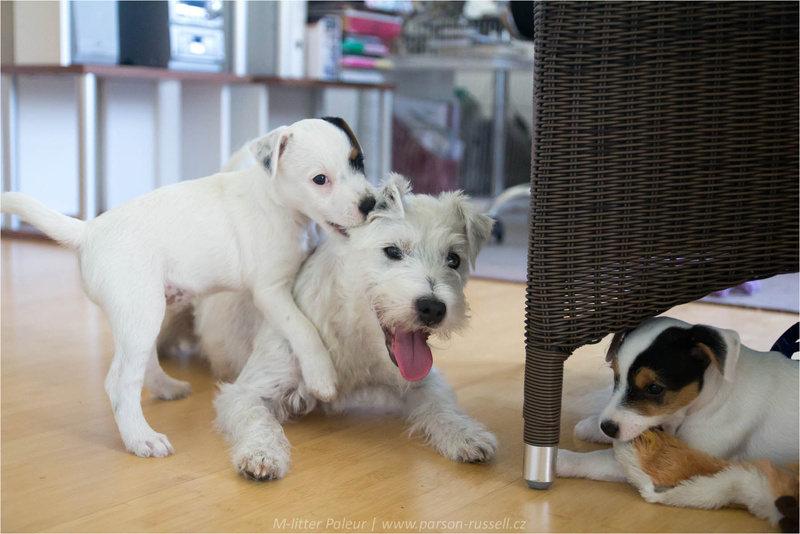 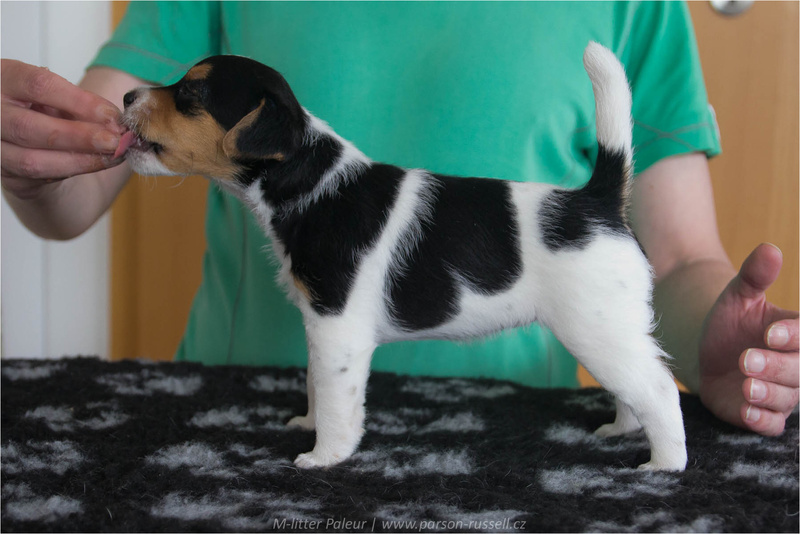 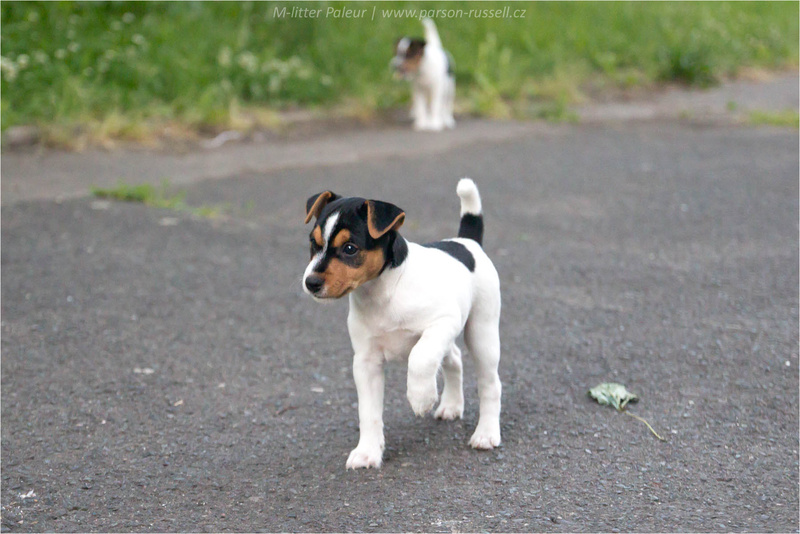 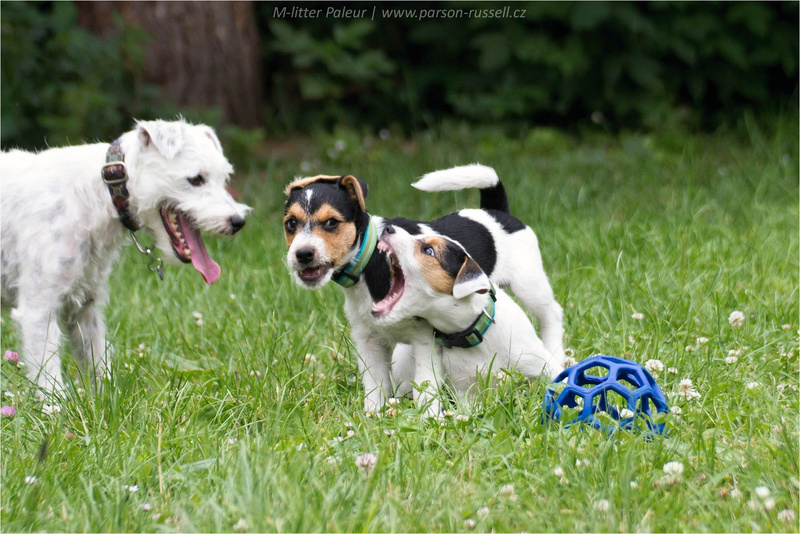 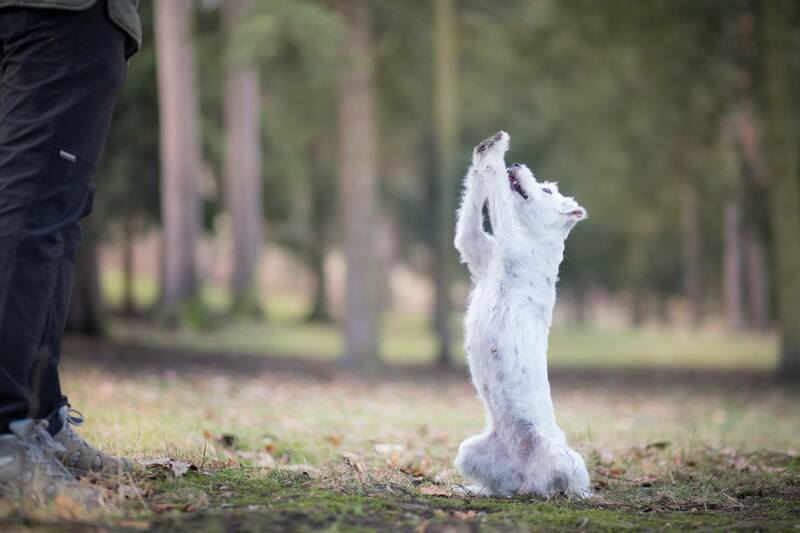 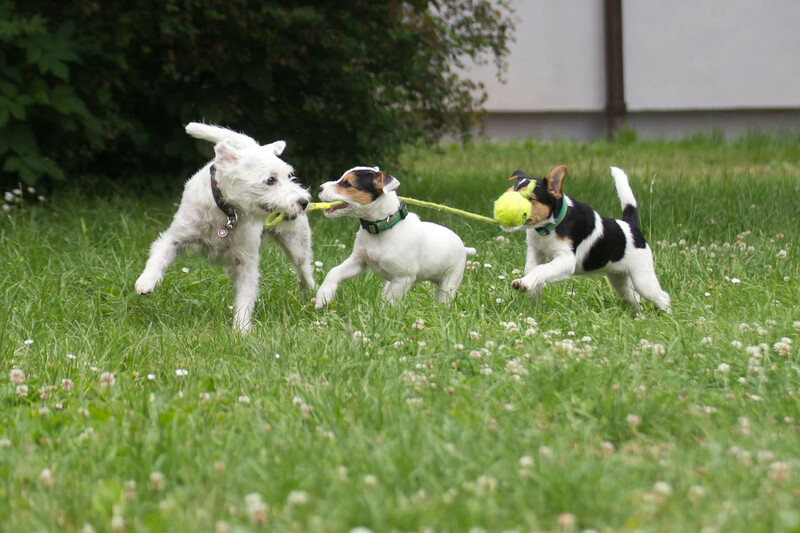 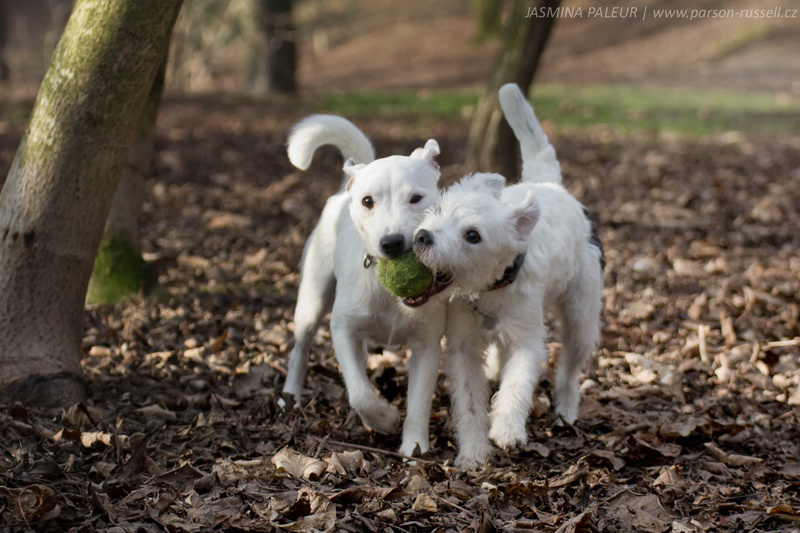 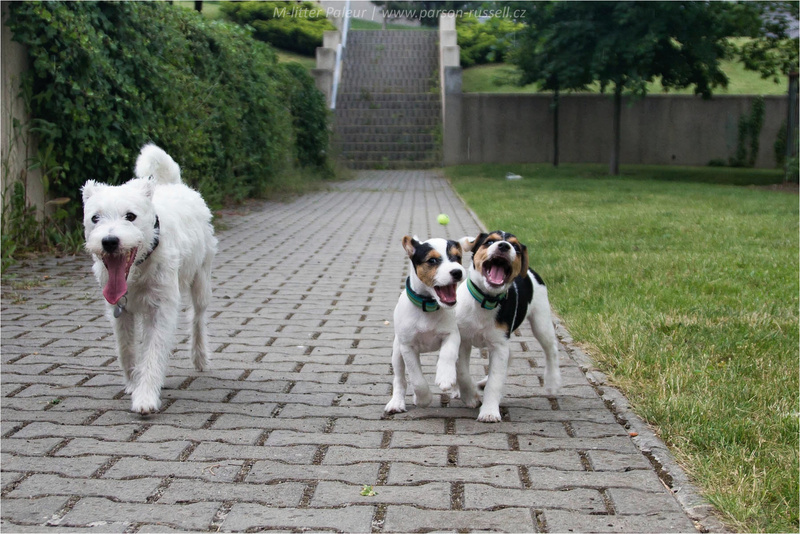 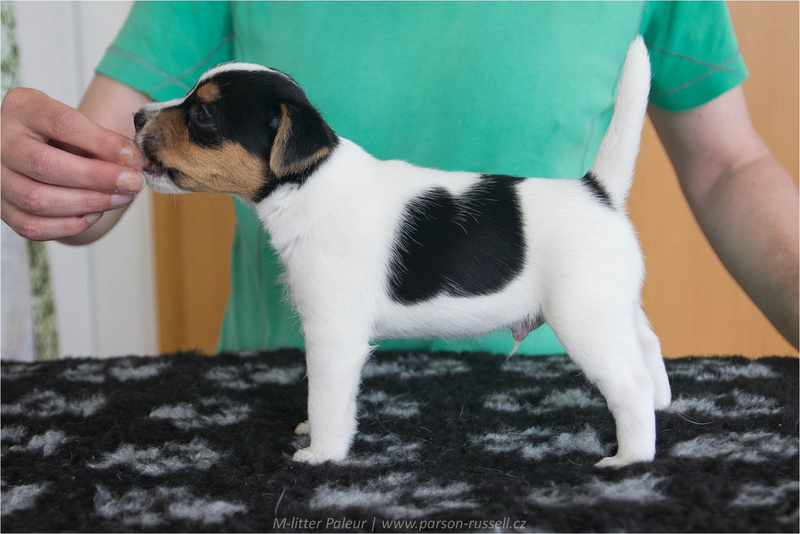 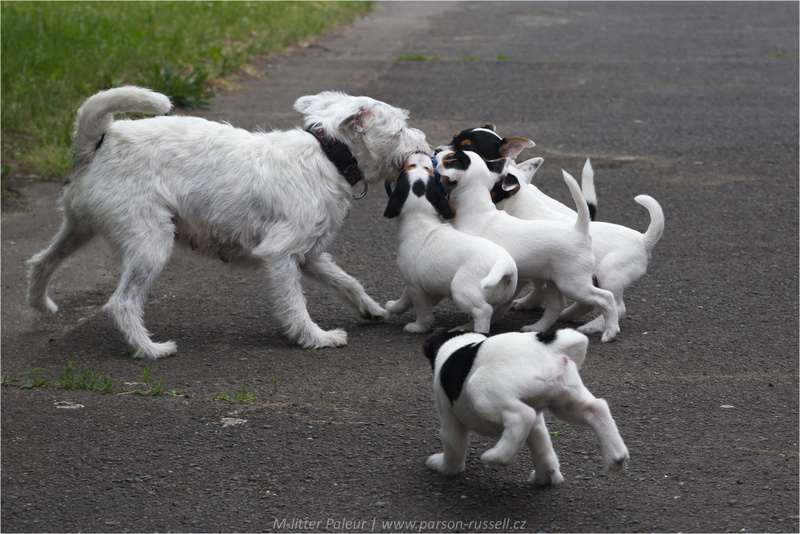 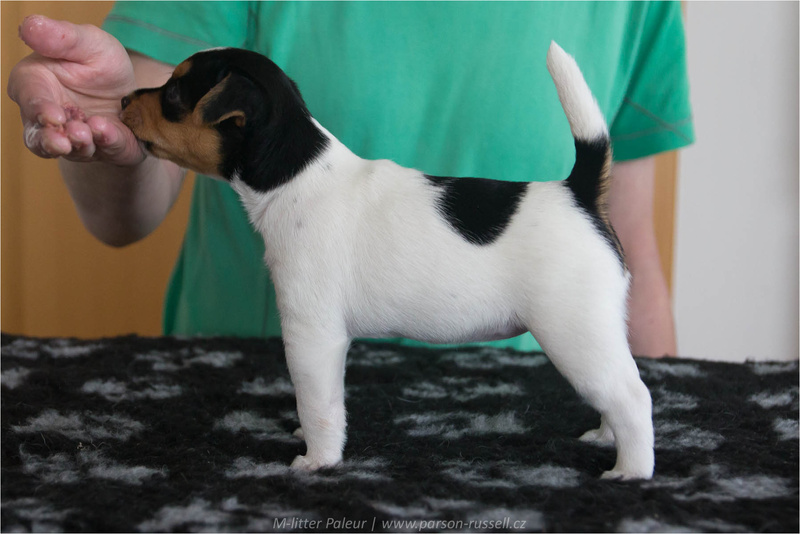 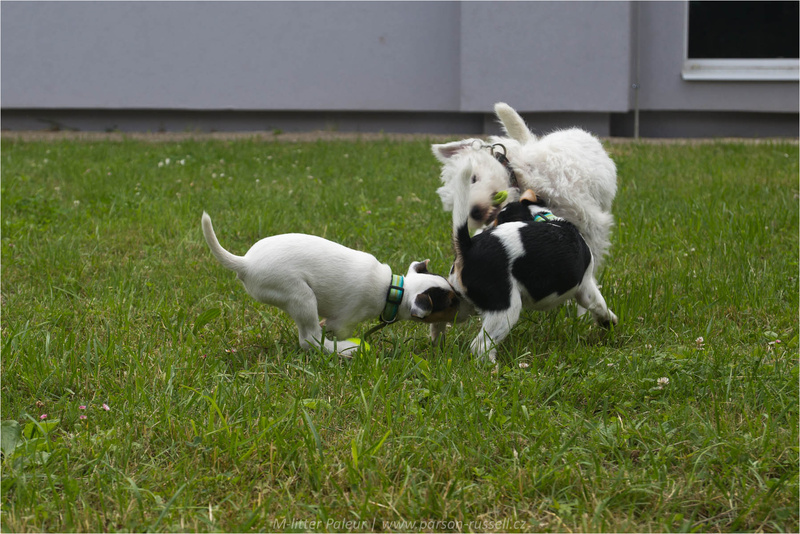 Jasmina´s belly is huge, puppies seems to play fotball in…. 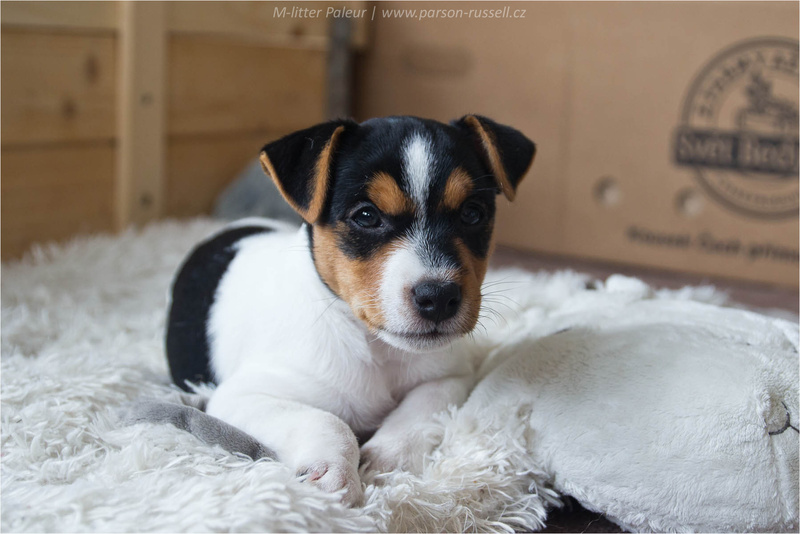 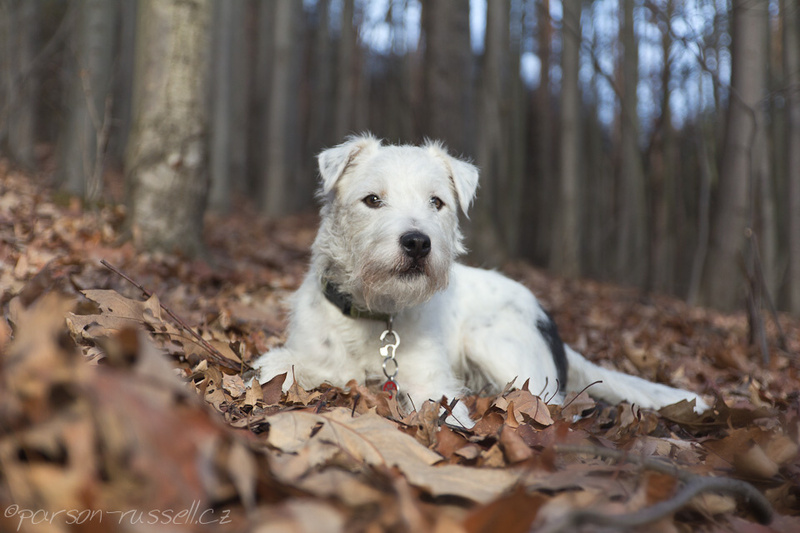 48. den – first spring day and Jasmina woke me up very early. 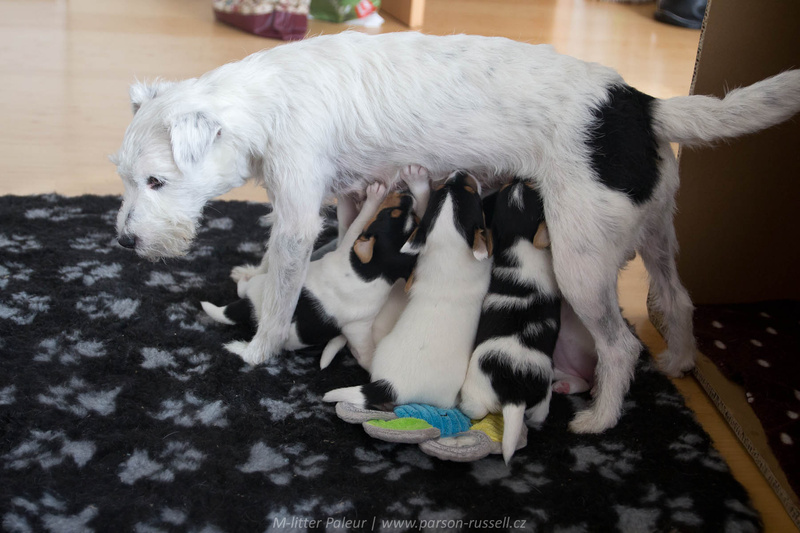 She is still active lady, although taking more care about herself. 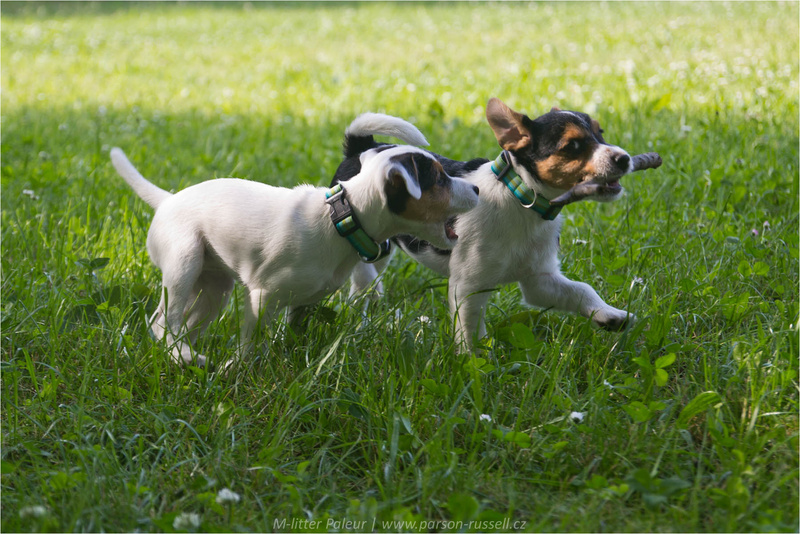 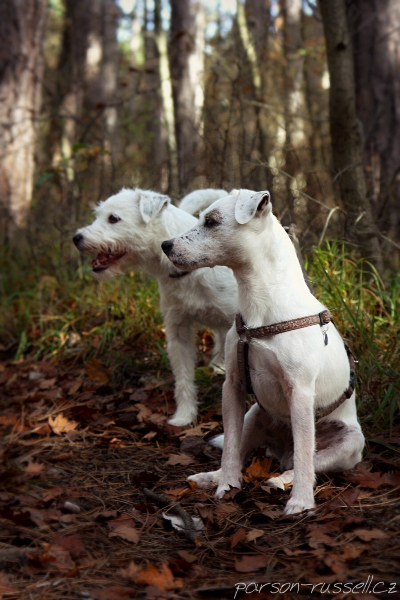 We can feel sporadic pups movement. 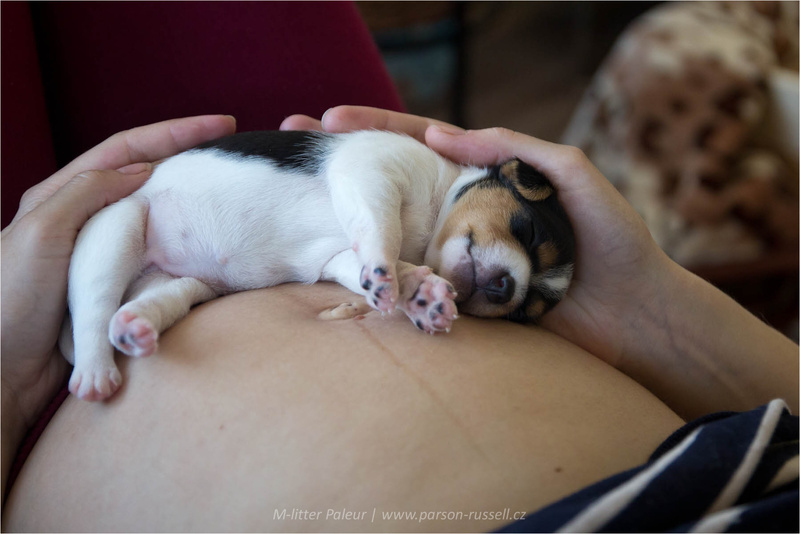 41. den – belly is growing. 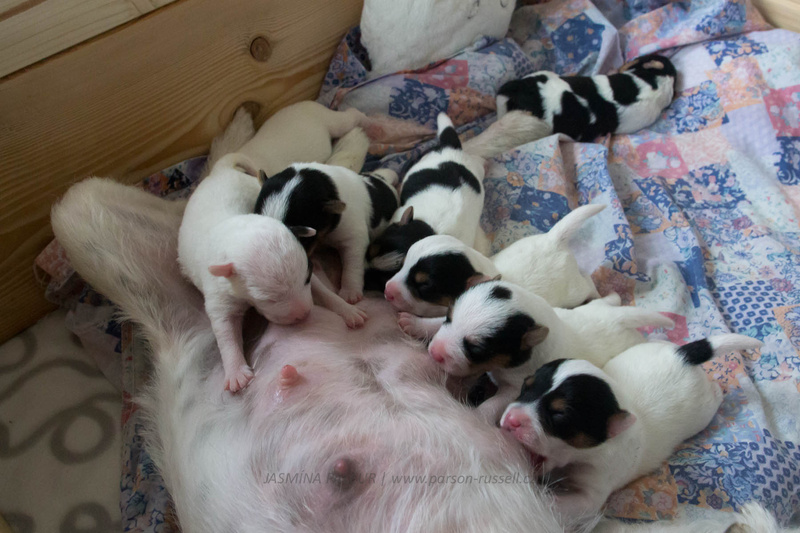 35. den – no signs on first sight (except unrelenting greed) but puppies are going to grow fast in next days. 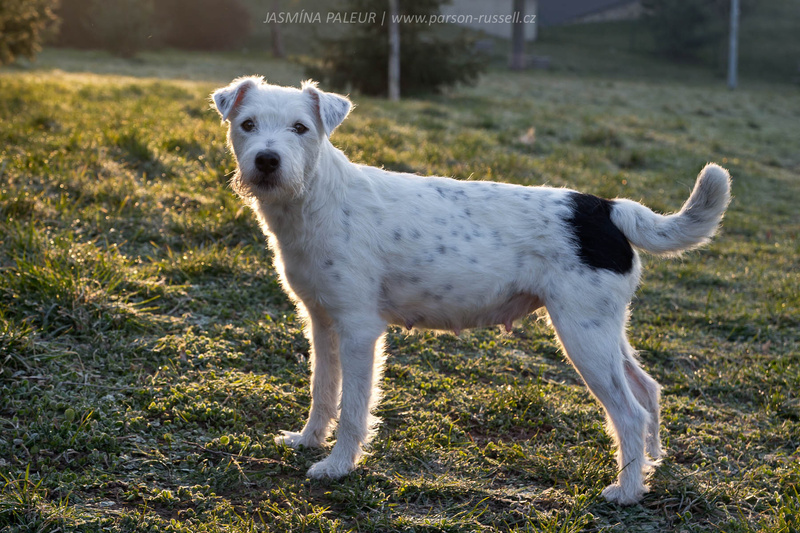 30. den – Ultrasound check confirmed that Jasmina is pregnant! 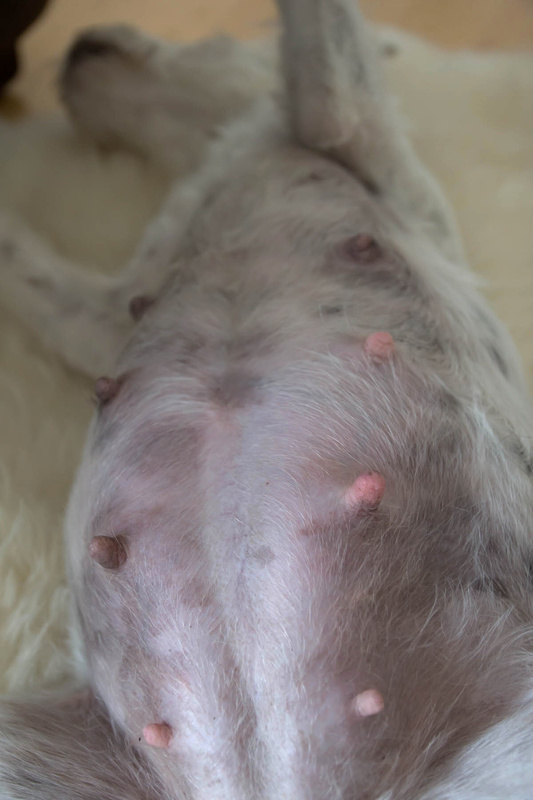 Puppies are in the belly and hearts are beating, at least 4. 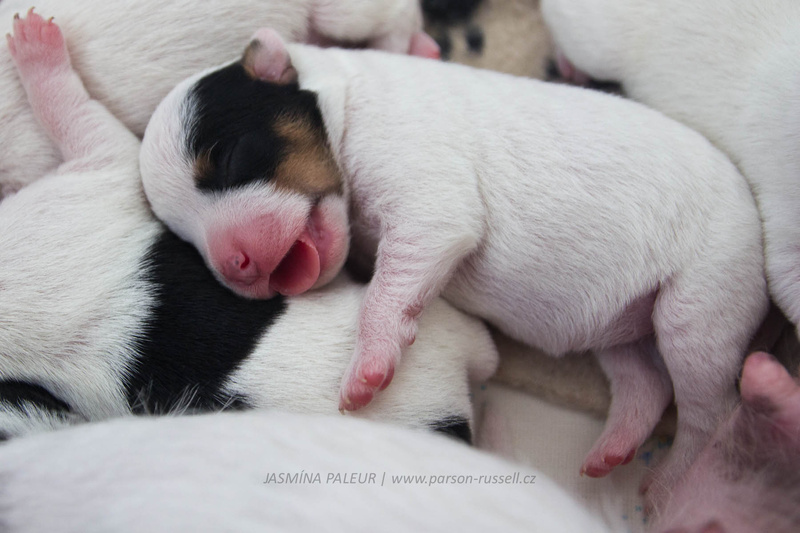 We did not particularly bother Jasmina so the true number of puppies is still secret. 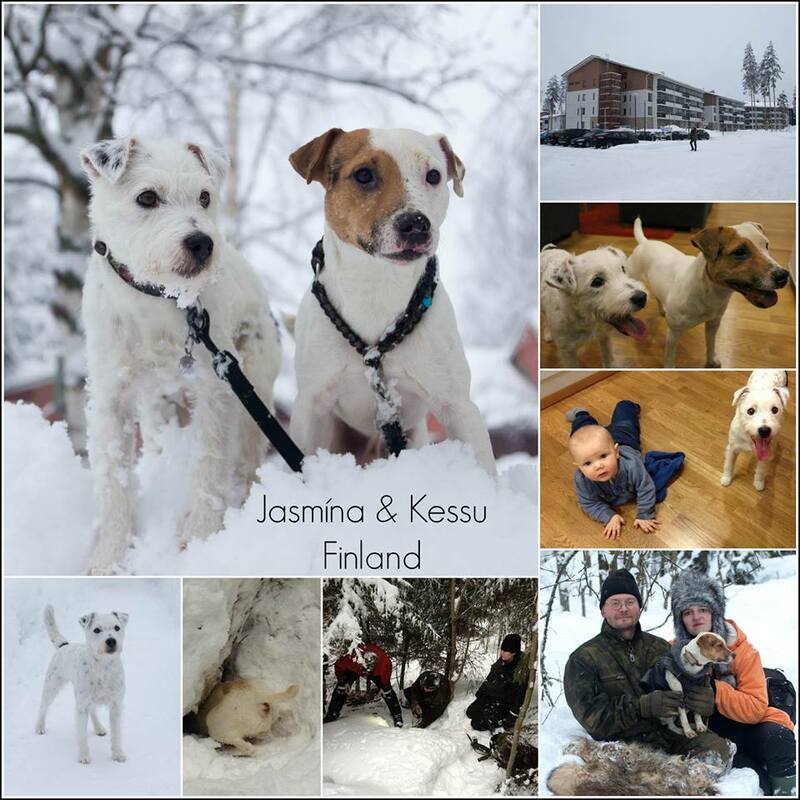 We are very pleased that our trip to Finland was successful and WE CAN EXPECT SMALL KESSUJAS AT THE BEGINNING OF APRIL! 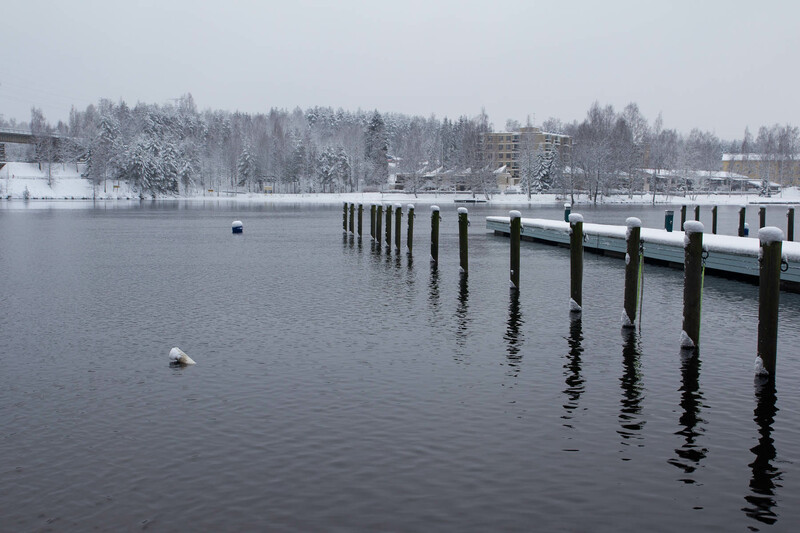 Almost one year dream about mating trip to Finland came true! 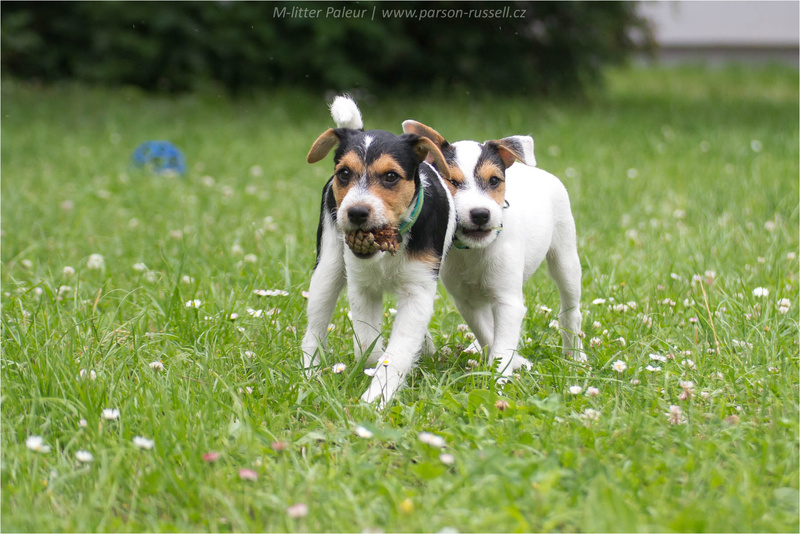 It was wonderfull holiday! 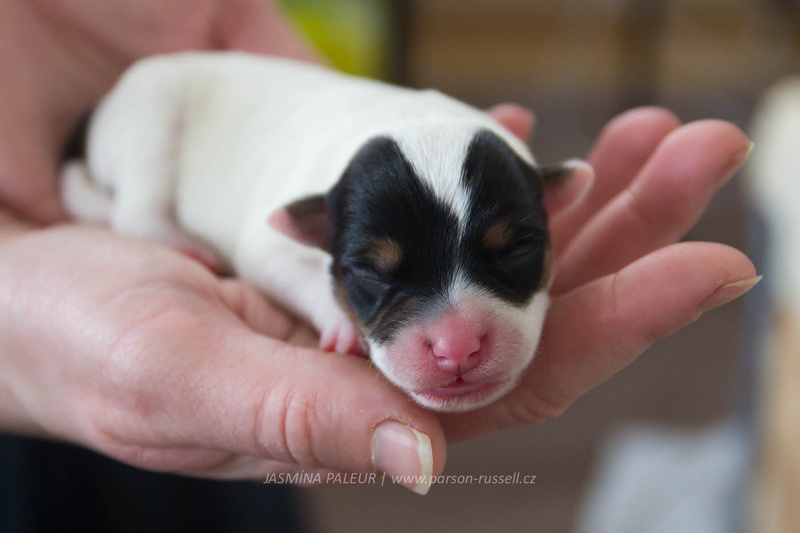 Jasmina was mated by Kingsway Coroner during the days 2.-5.2.2015. 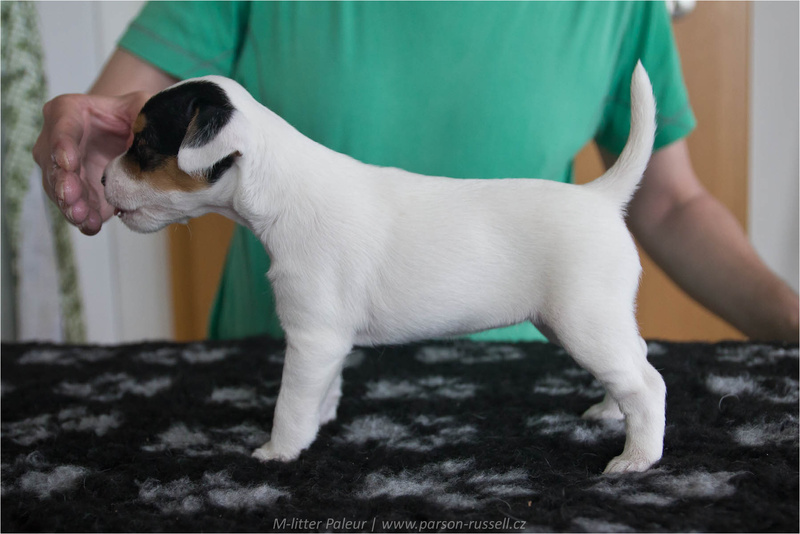 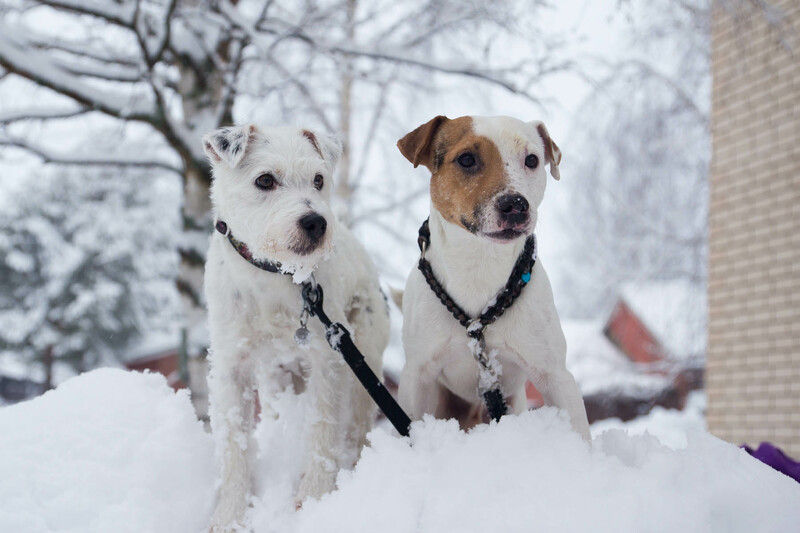 Shortly about our trip: beautifull city Vierumäki, trip to Heinola, training on finish artificial burrow with Jasmina, possibility to see Kessu during his hunting (raccondogs), many nice people. 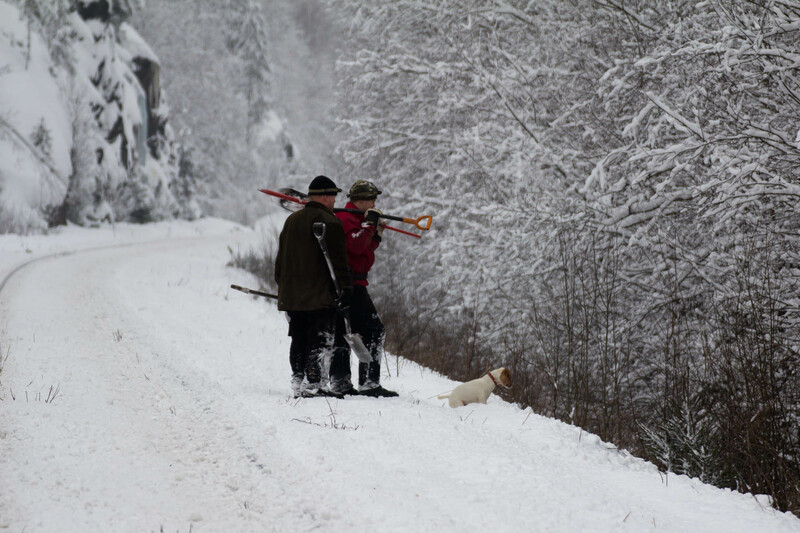 Big thanks to Kessu owners for their great support and special care about us! 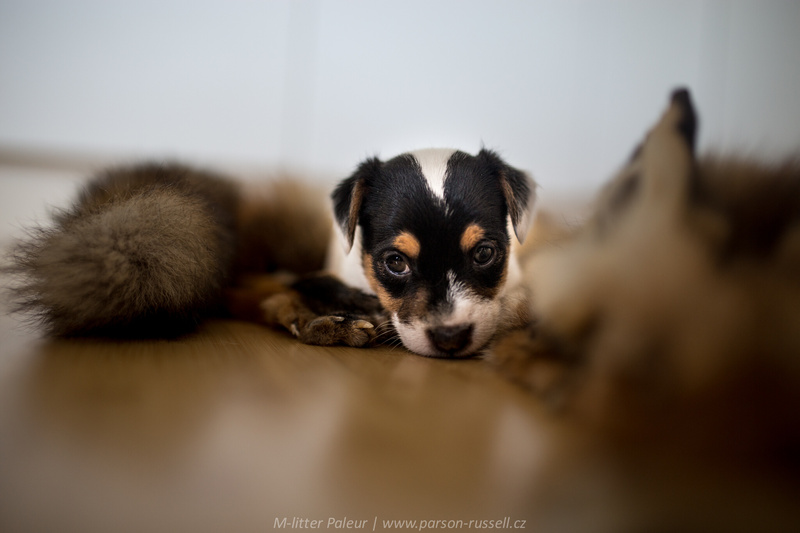 More about our amazing trip on Fan Page Jasmína Paleur! 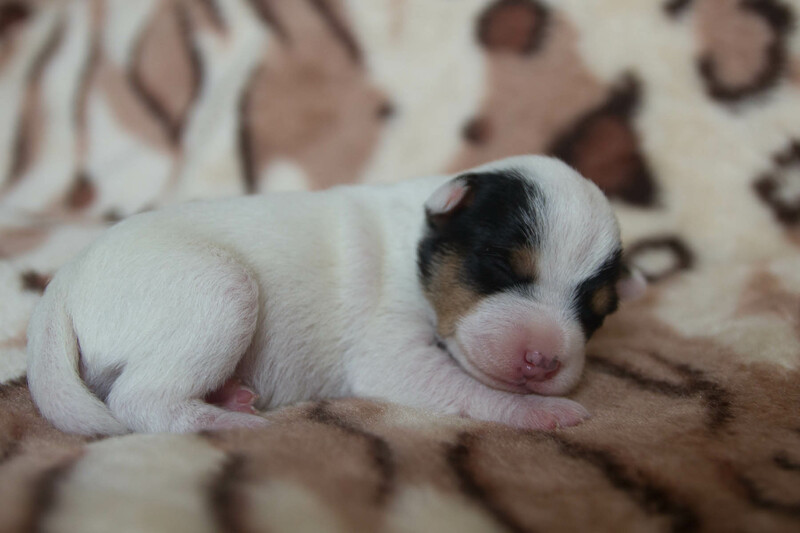 Hopefully, we could get puppies arround 6.4.2015. 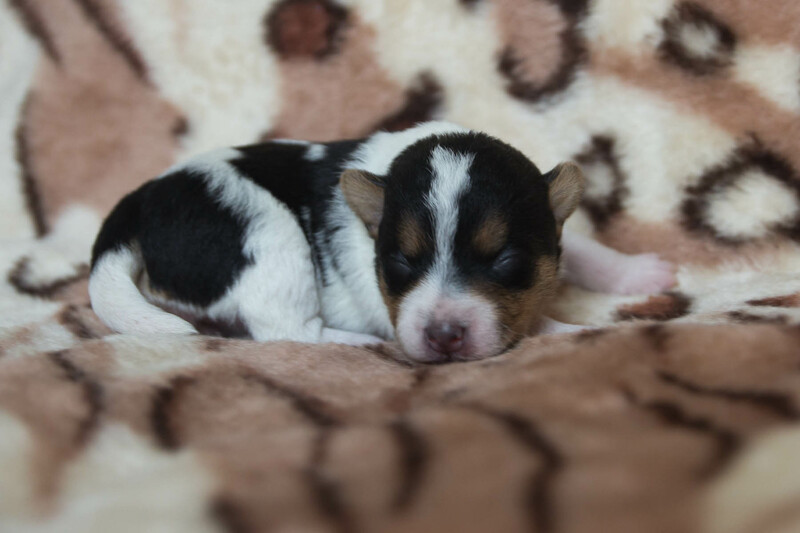 We expect tricolor pups, all coat type possible. 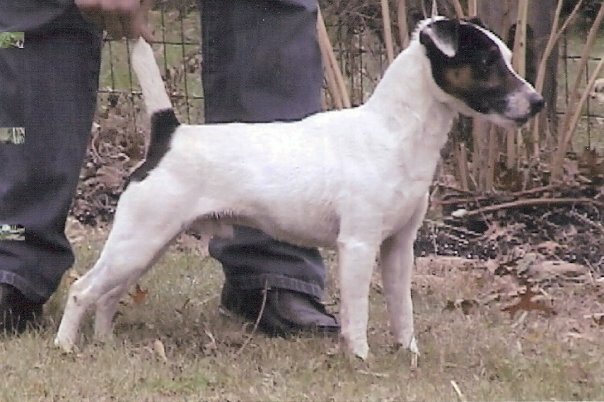 Both parents are DNA tested (PLL, LOA, SCA). 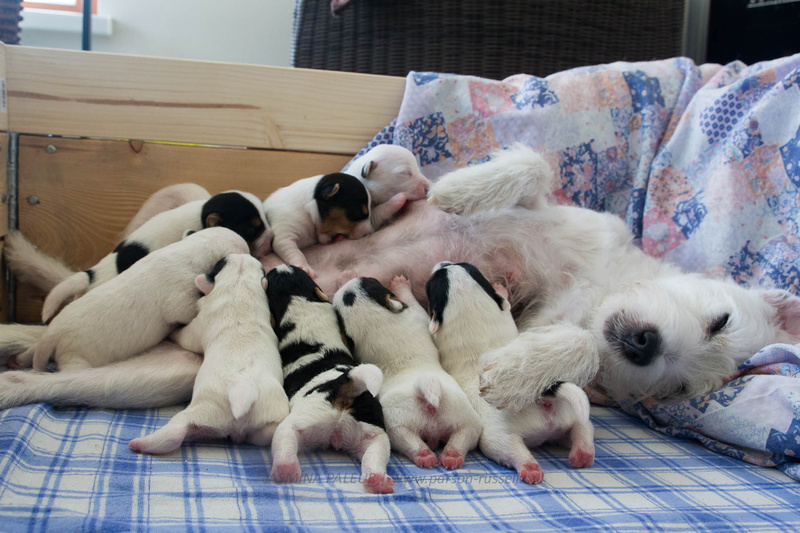 Arrangements are culminating. 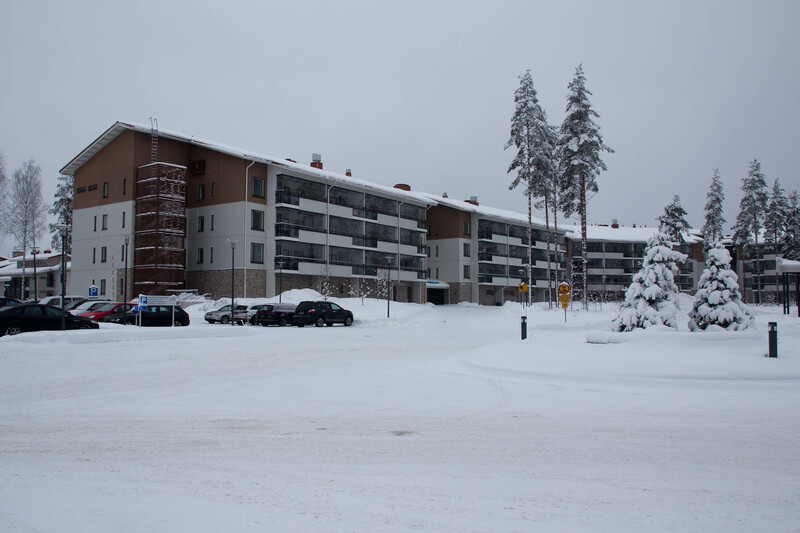 Necessary paperwork and arranging everything for our big journey to future husband Kessu. 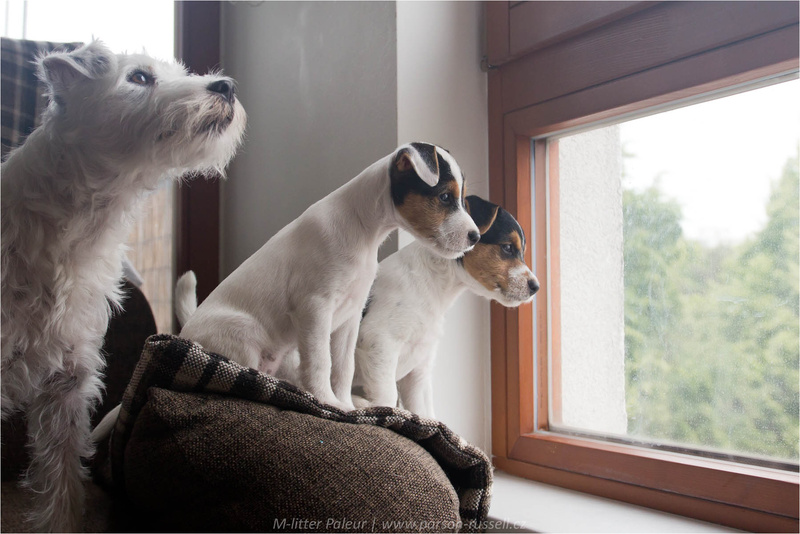 “Keep Calm and wait“ was our motto during the days when there was some fear if everything could go well. 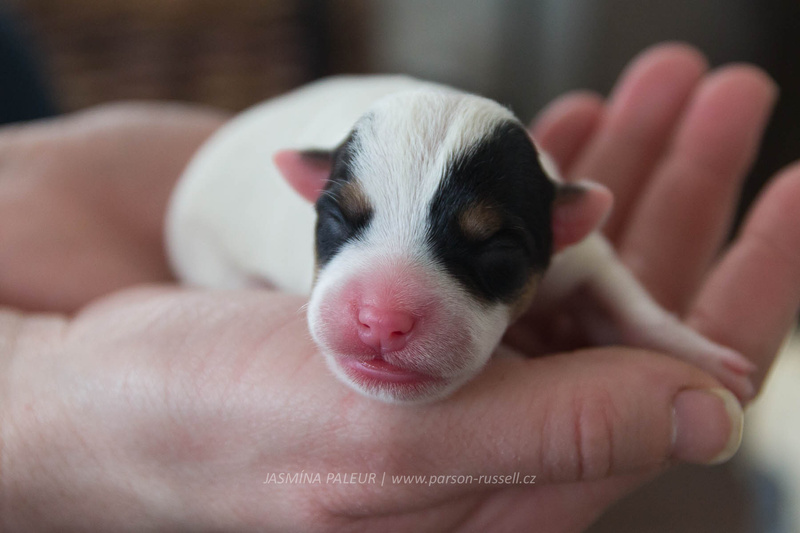 We did progesterone test to be sure and it seems we booked flight tickets to the ideal time. 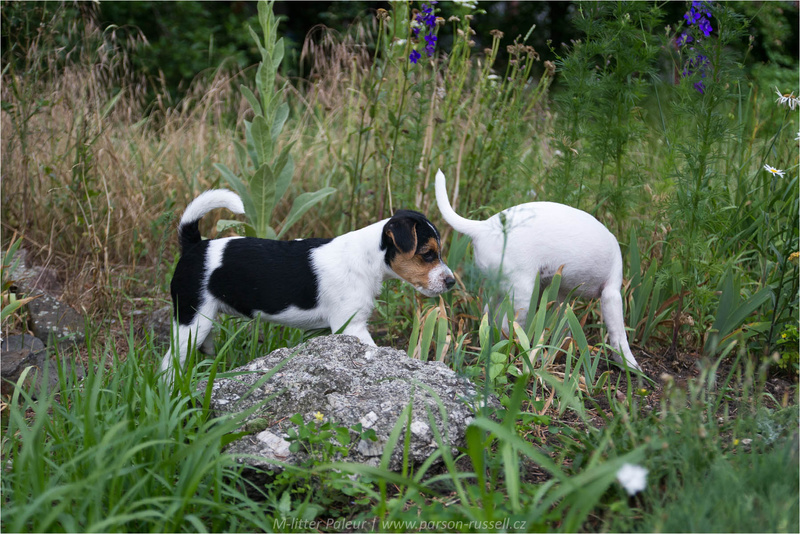 In cooperation with great photographer Lukas Skalicky we managed the pre-departure shooting in Stromovka. 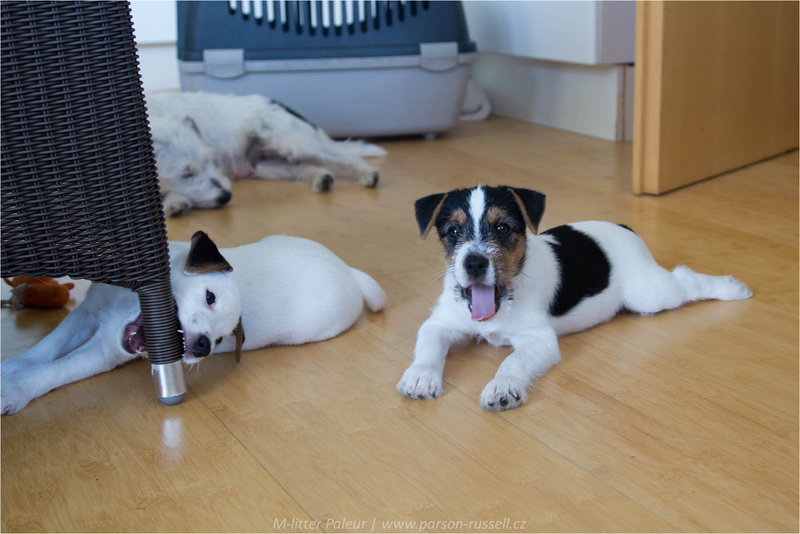 Now, we are ready to go to Helsinki! 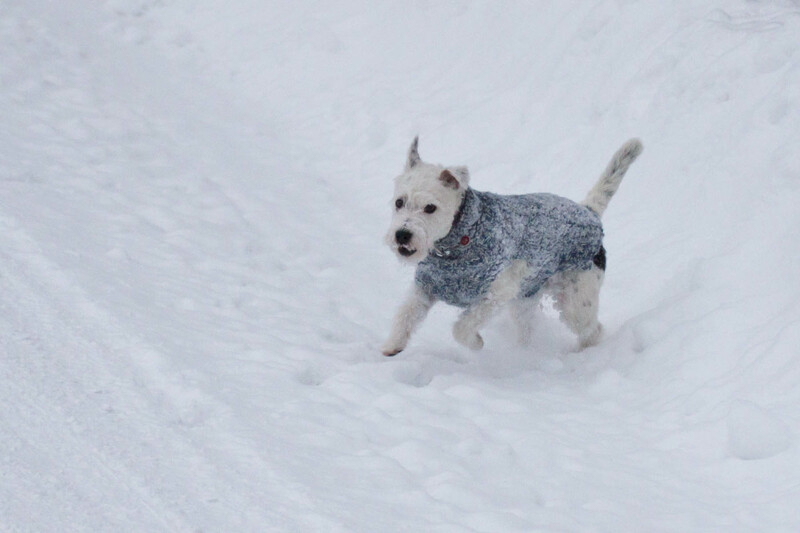 According to various sights I am ready from Christmas but Jasmina took her time. 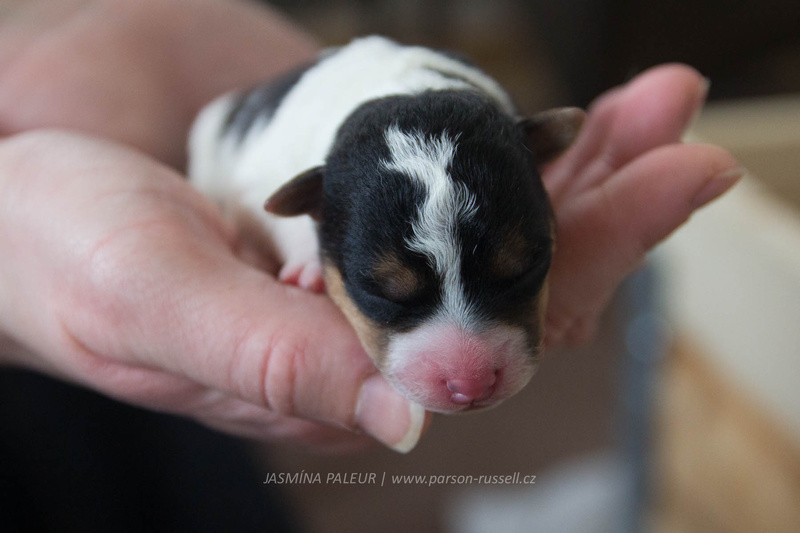 Once we are ready to visit her birthplace Paleur at Valasske Mezirici, Jasmina has just started heating.